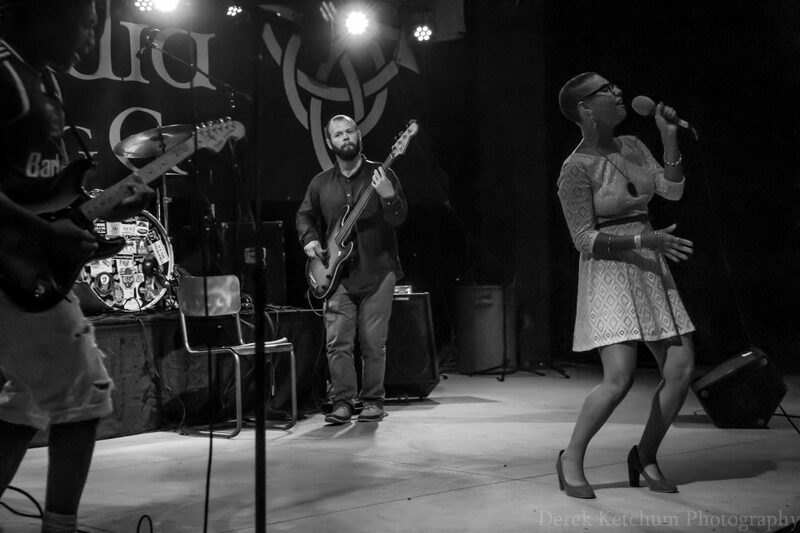 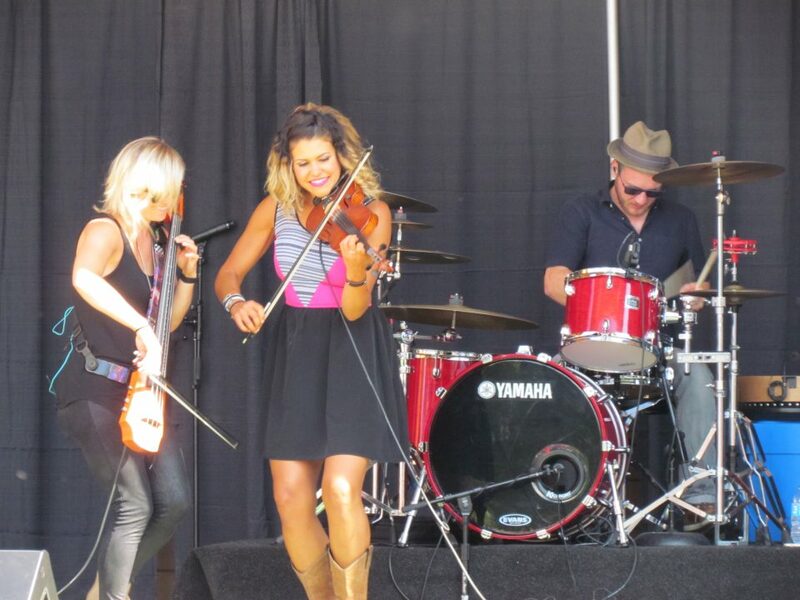 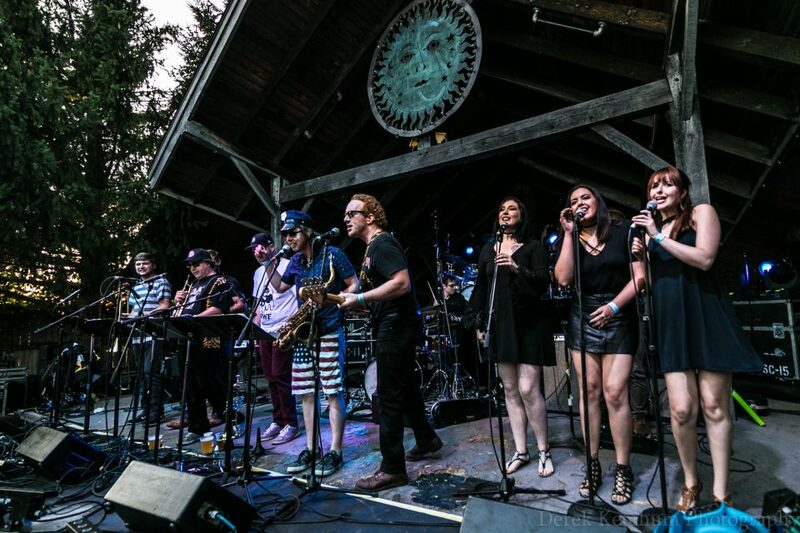 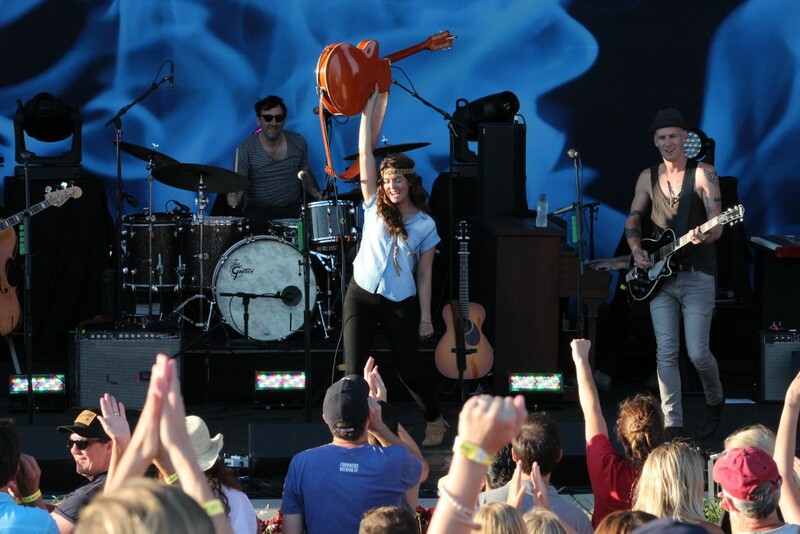 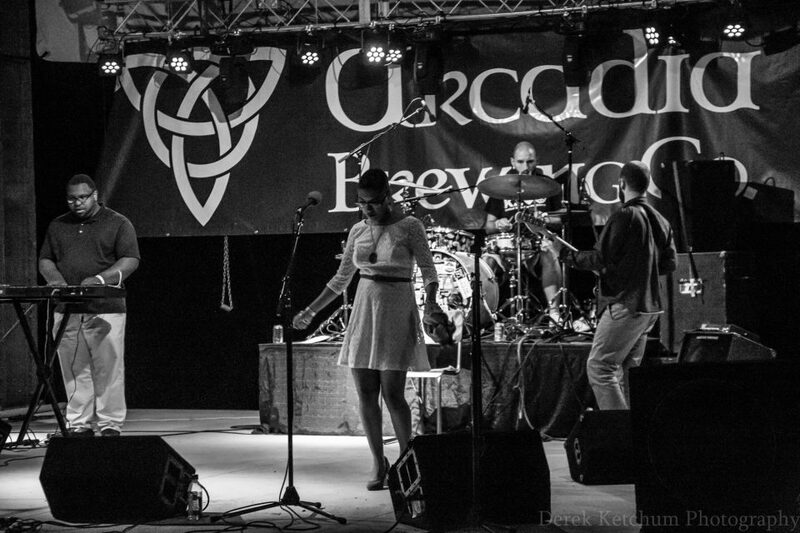 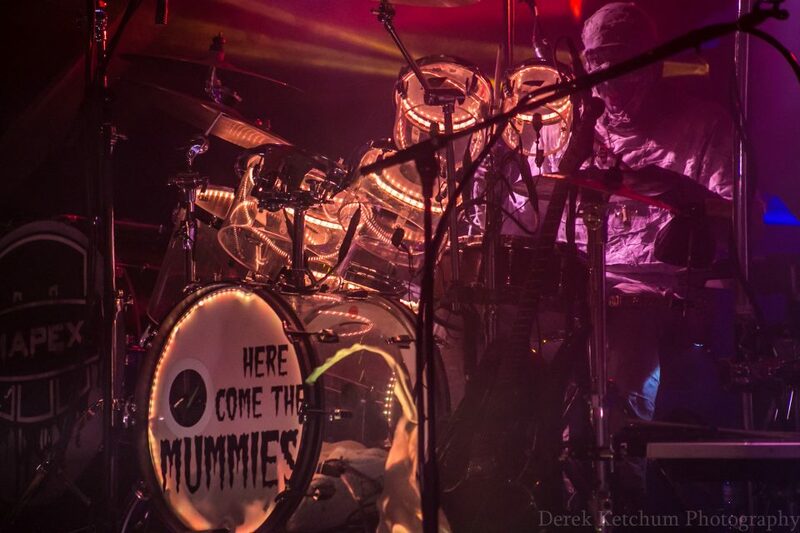 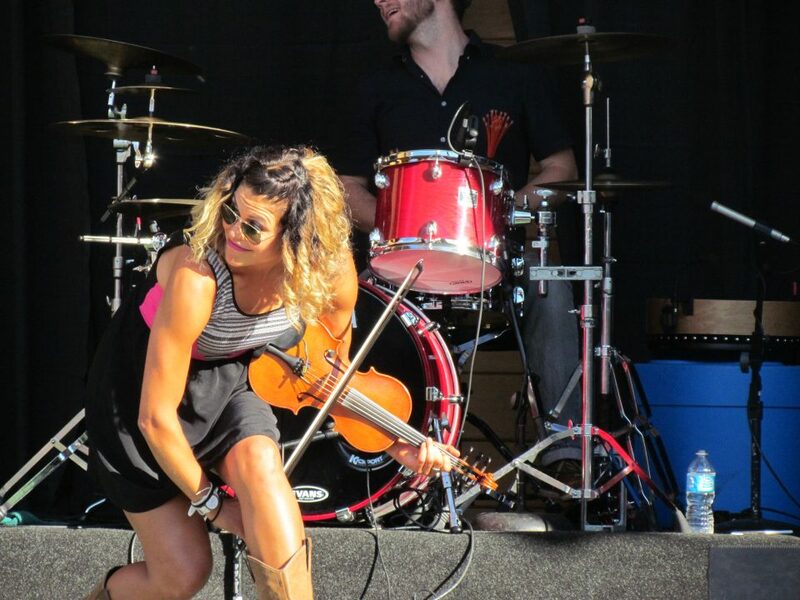 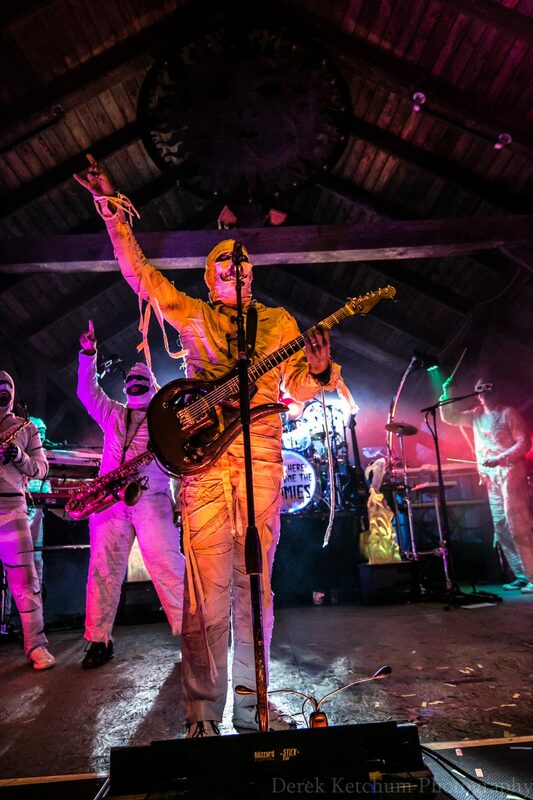 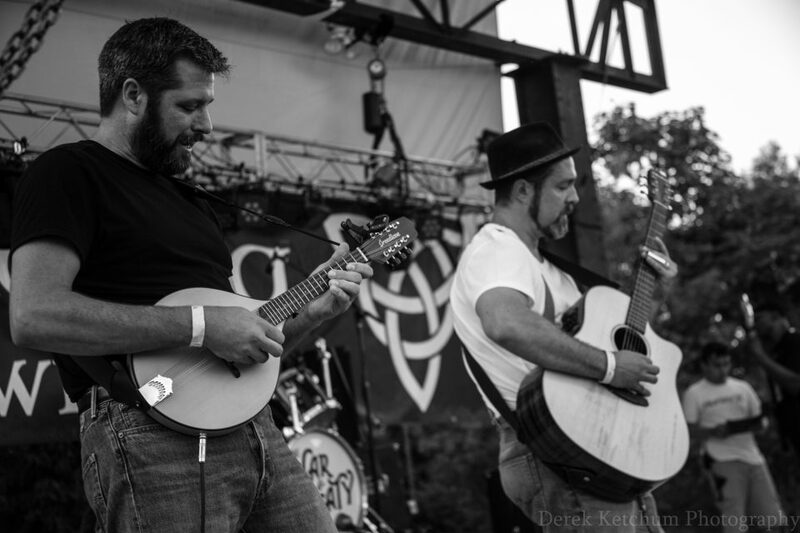 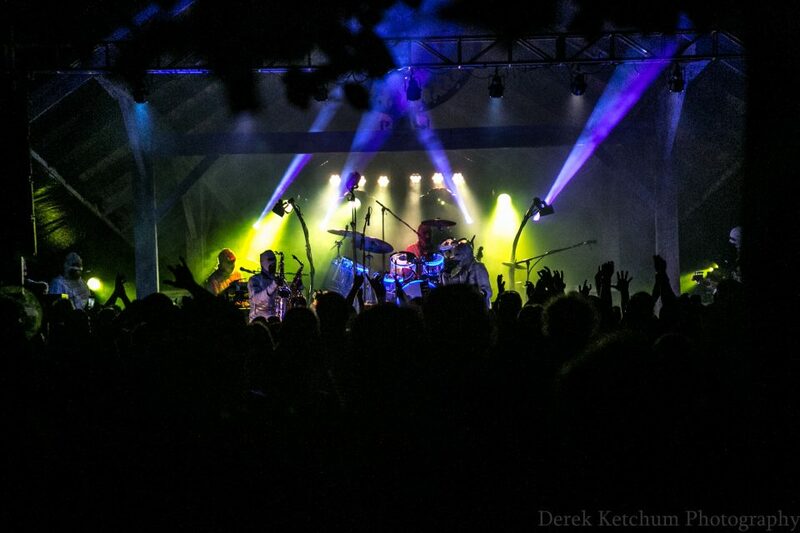 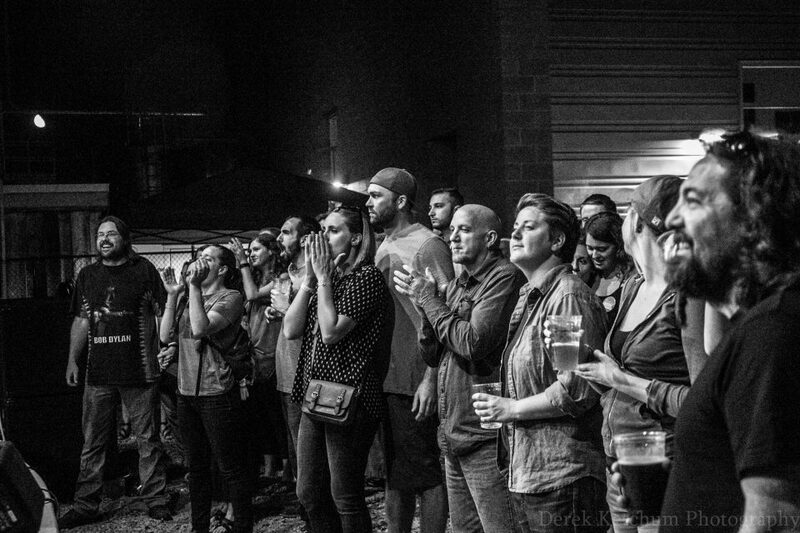 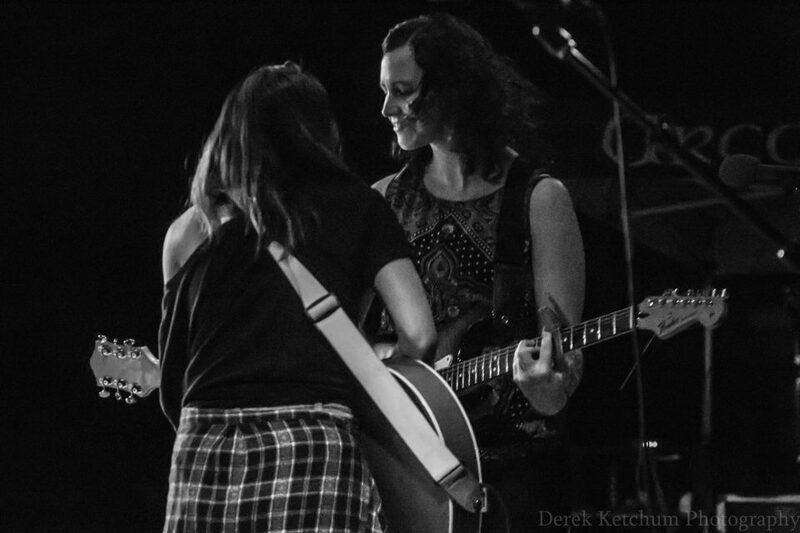 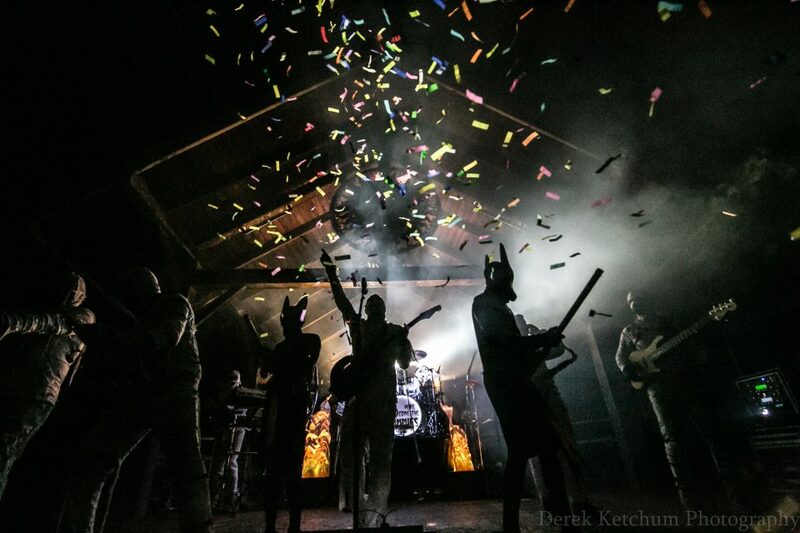 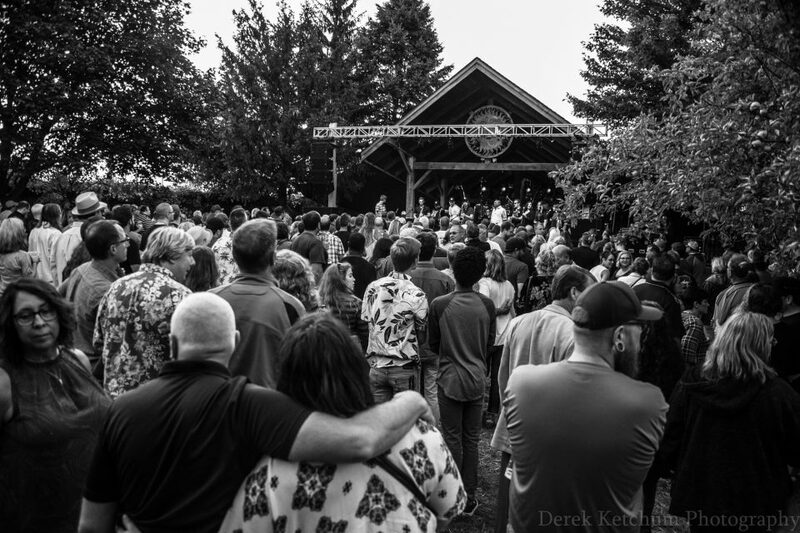 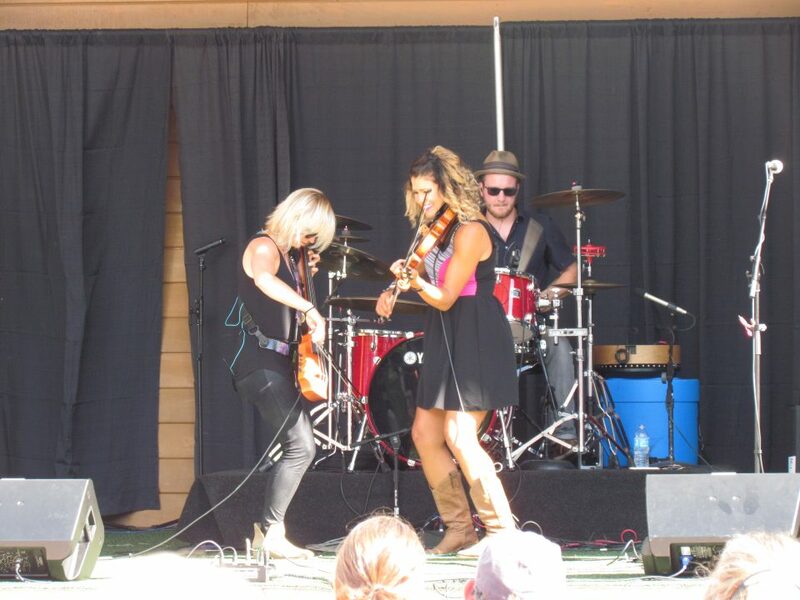 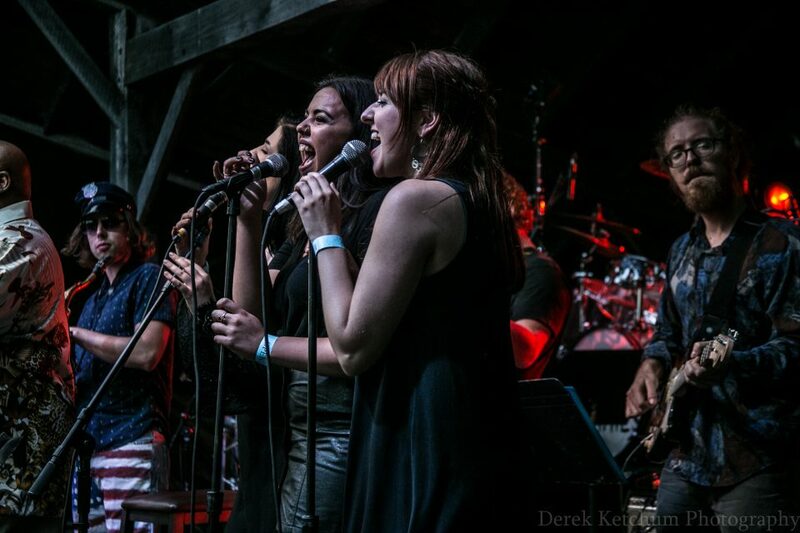 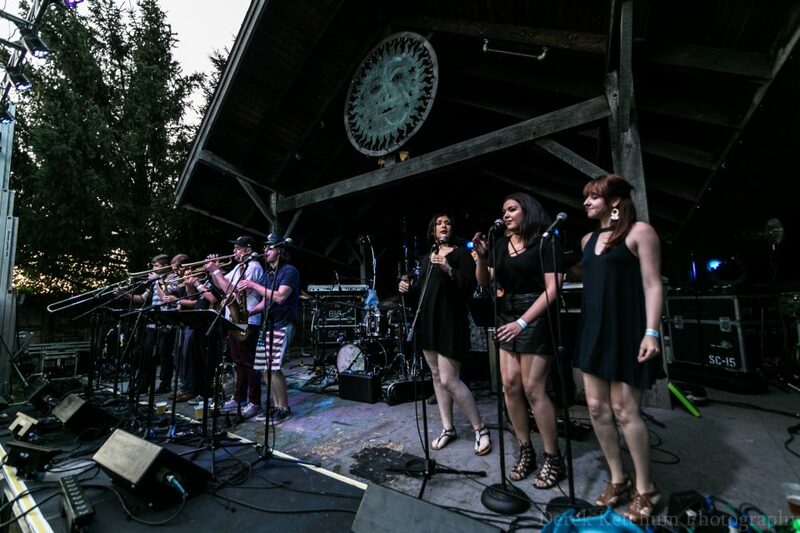 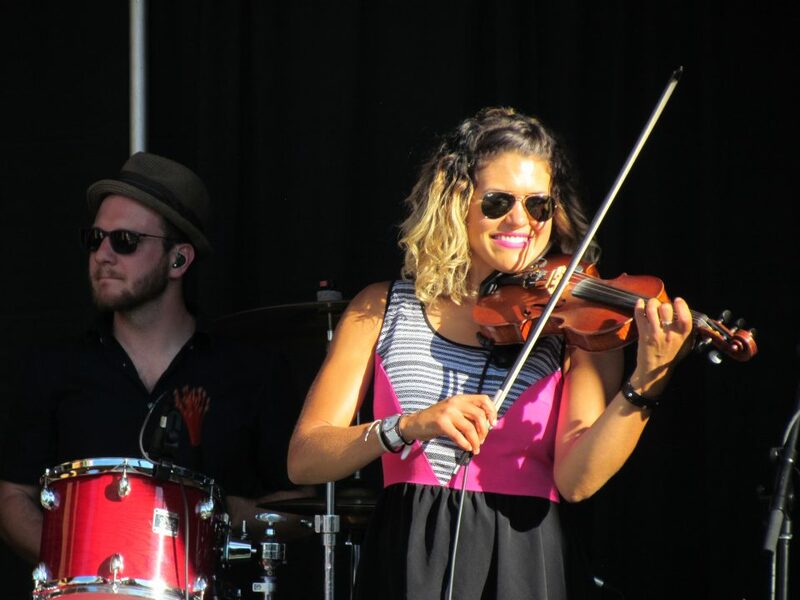 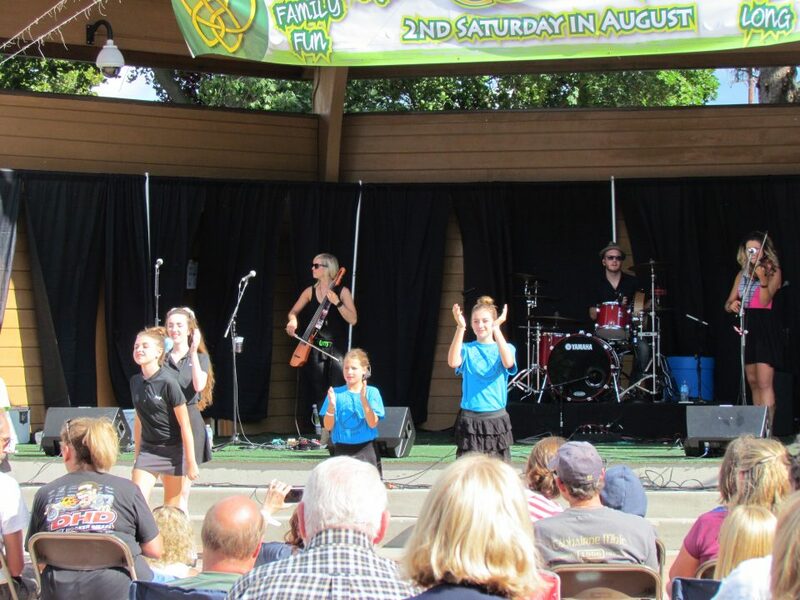 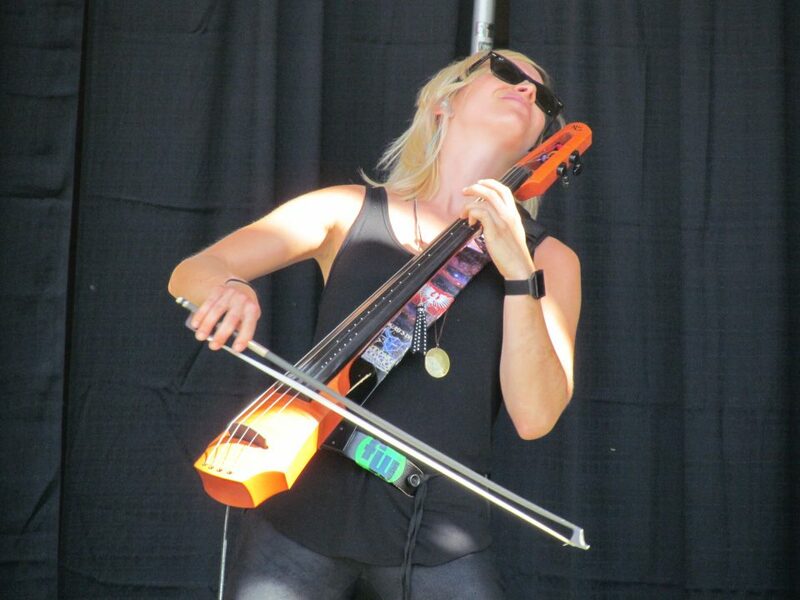 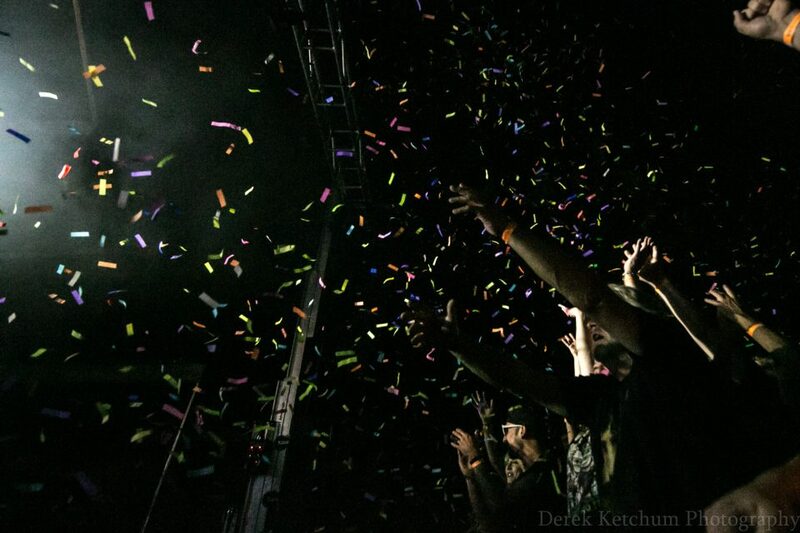 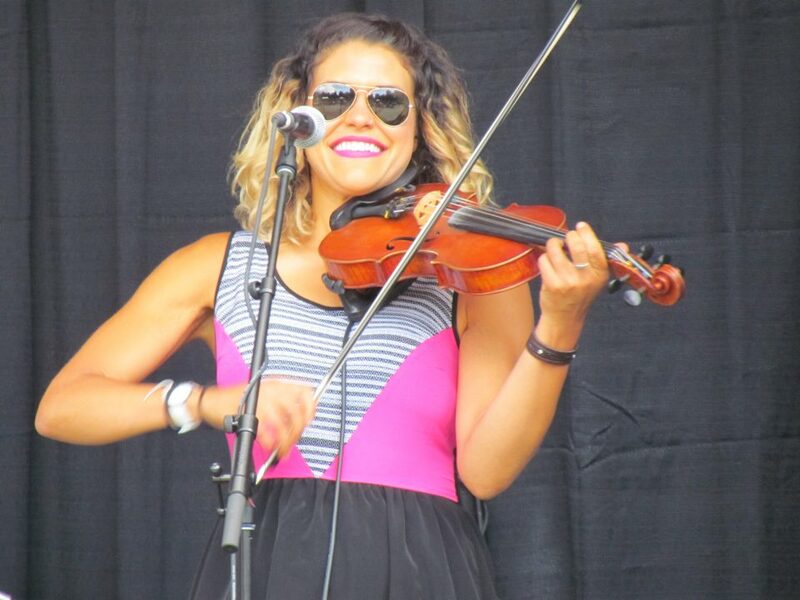 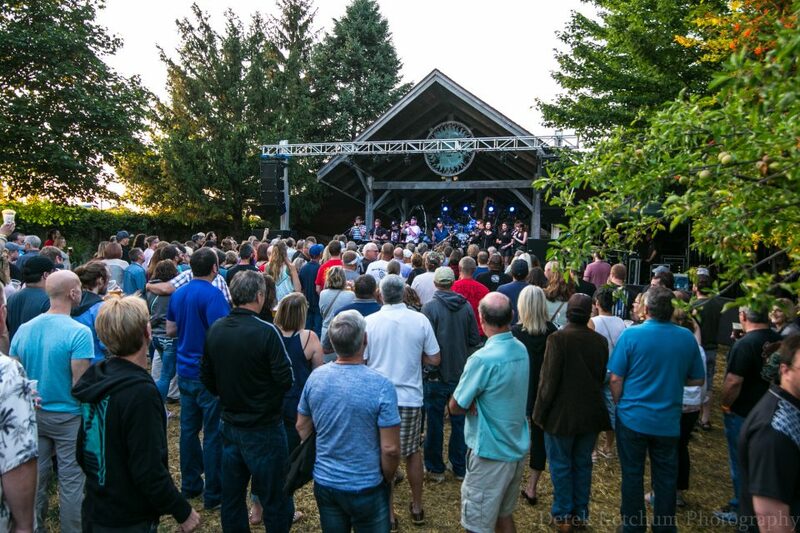 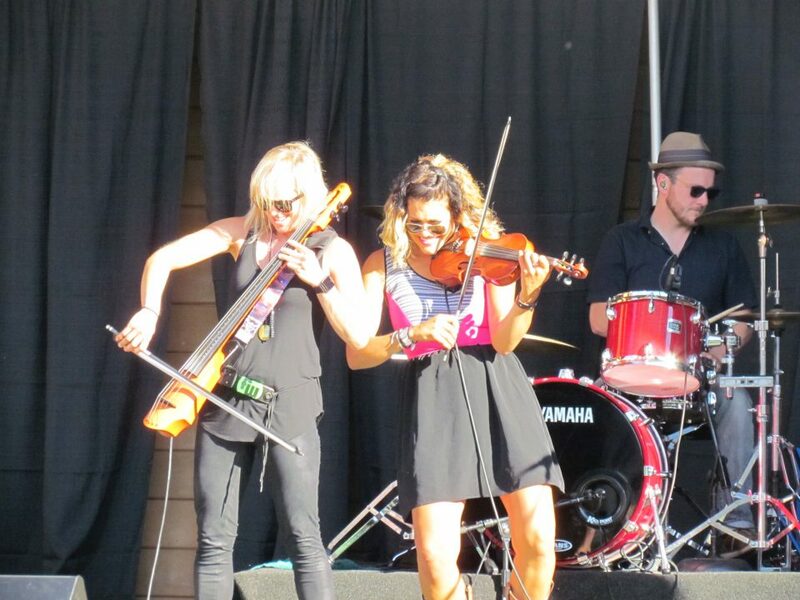 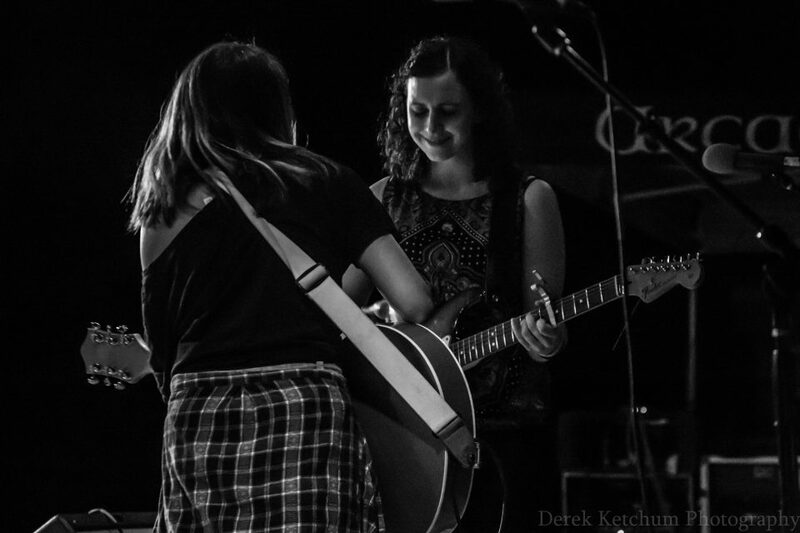 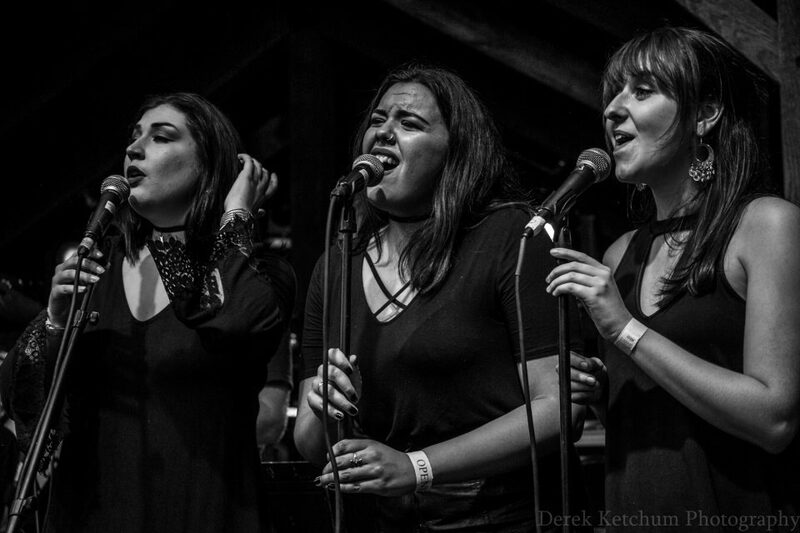 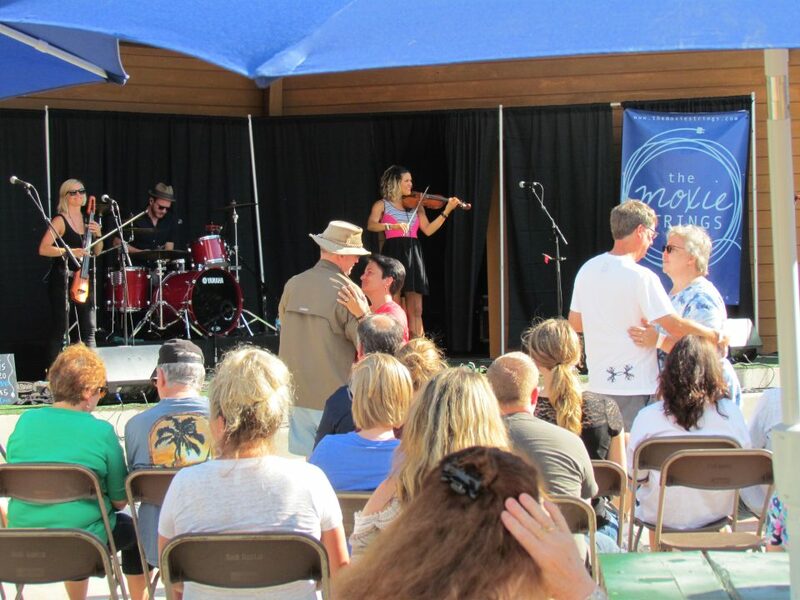 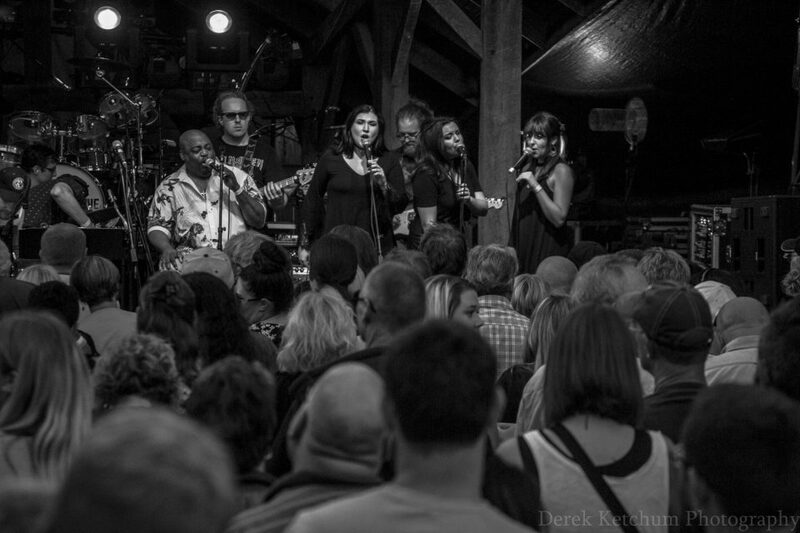 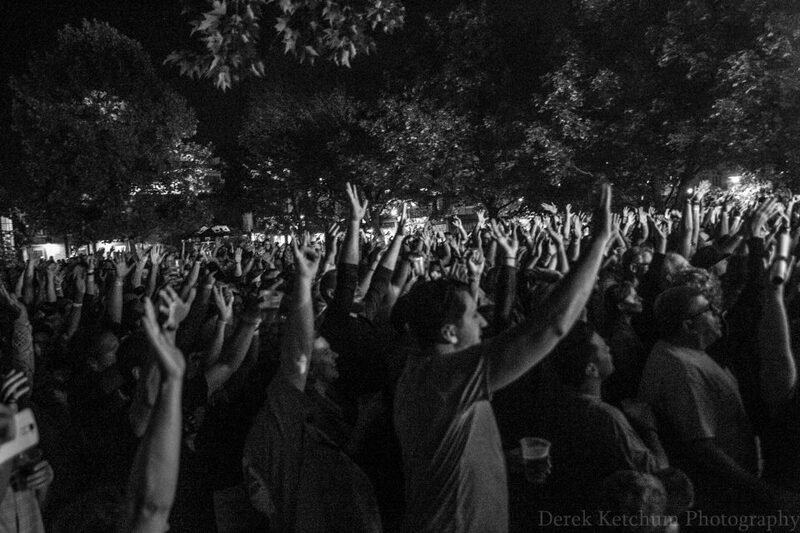 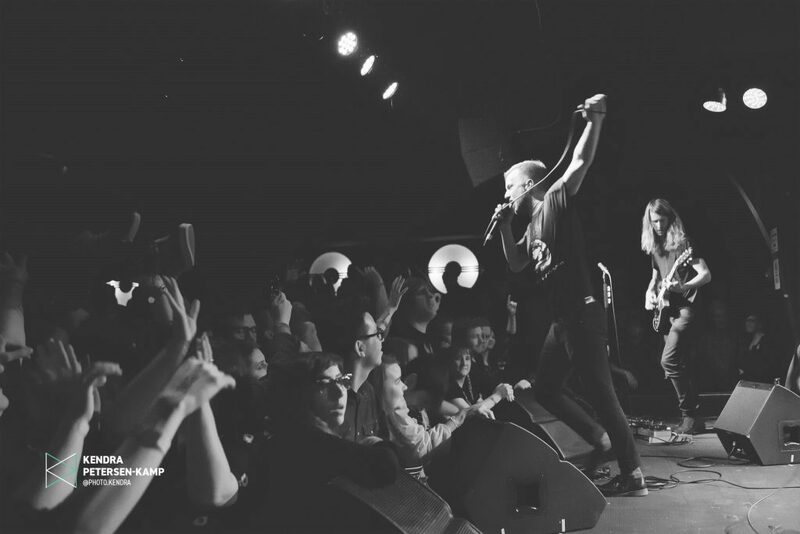 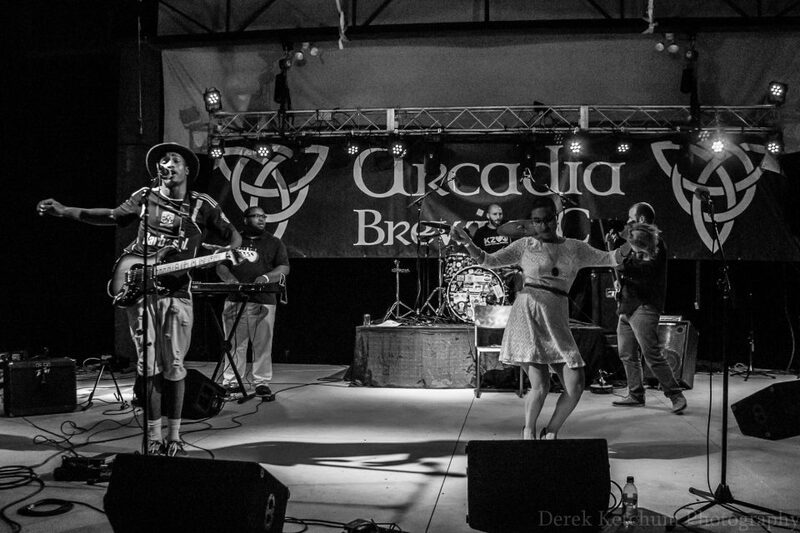 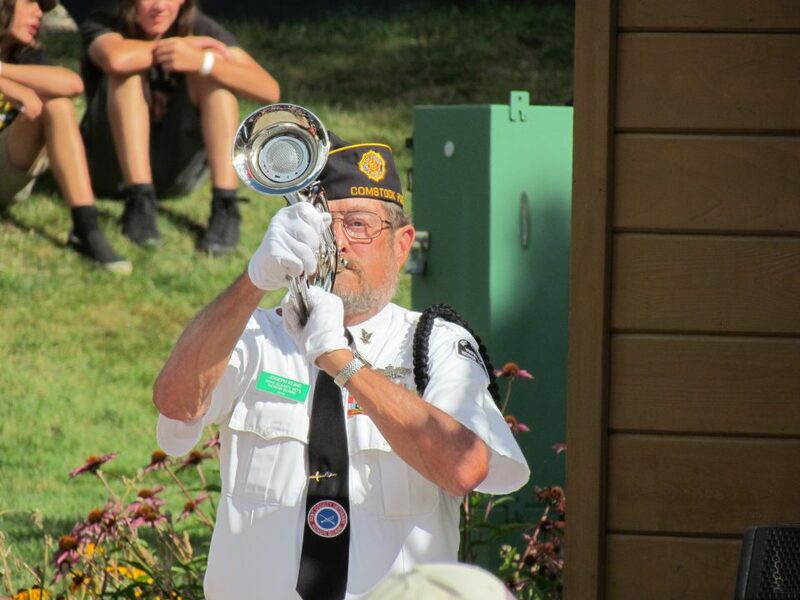 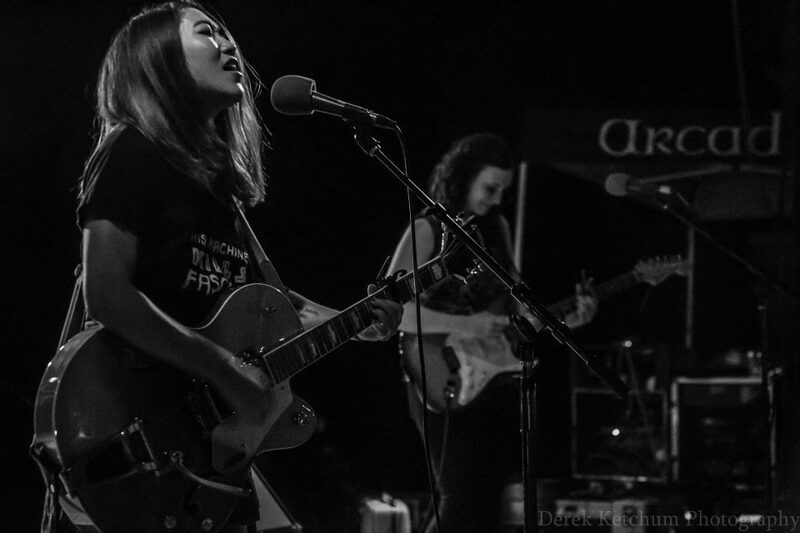 Big crowds cheered The Soul Syndicate, Grasshoppah, Jake Kershaw, Jimmie Stagger, The Crane Wives, Michigander and all manner of Celtic bands in a week that embraced summer’s musical magic. 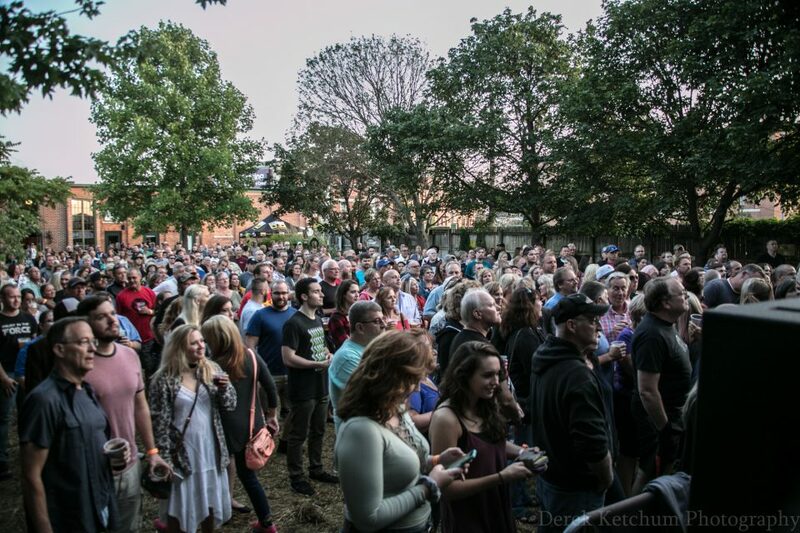 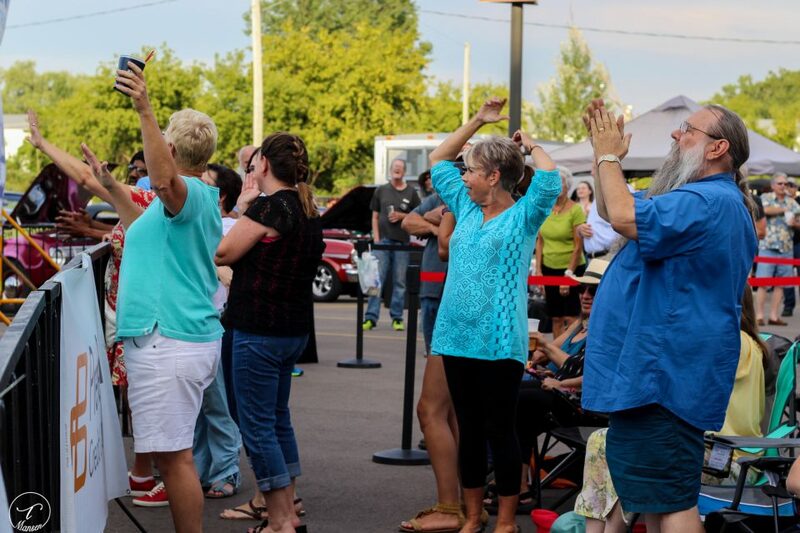 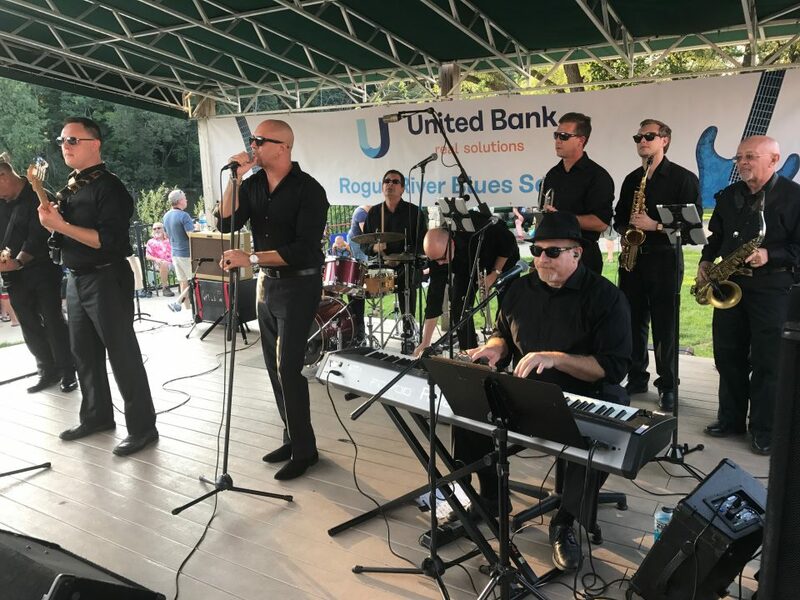 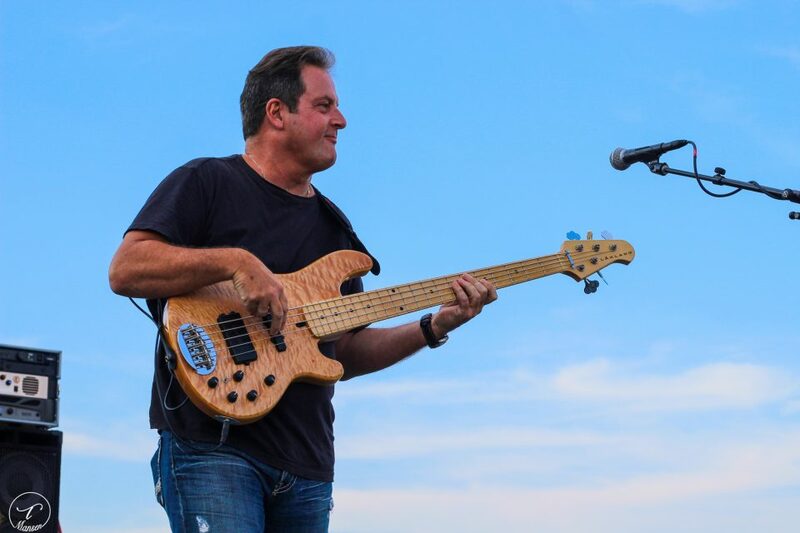 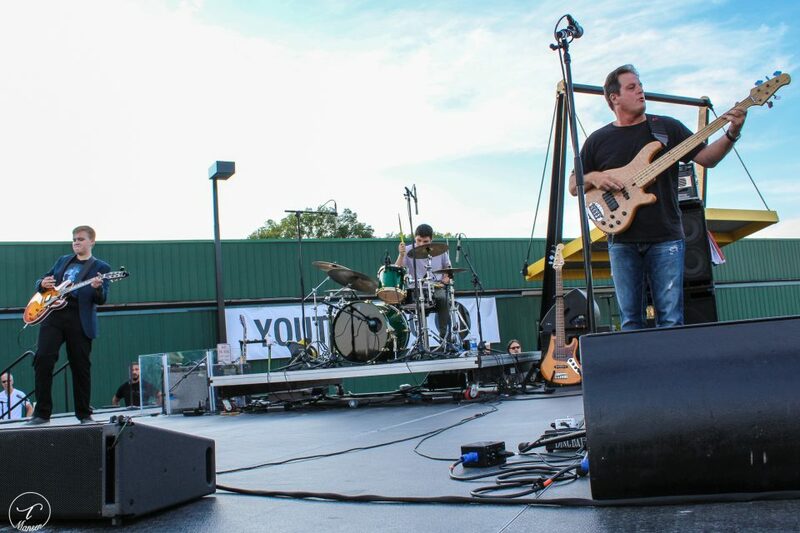 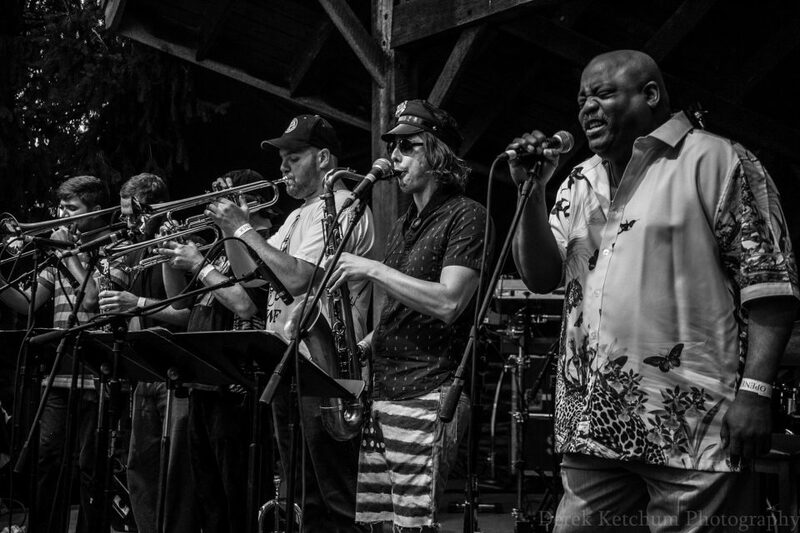 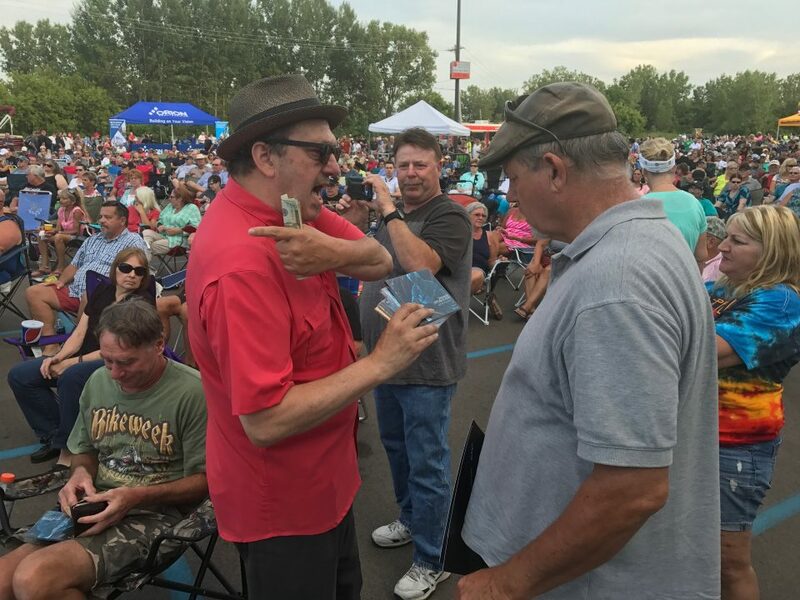 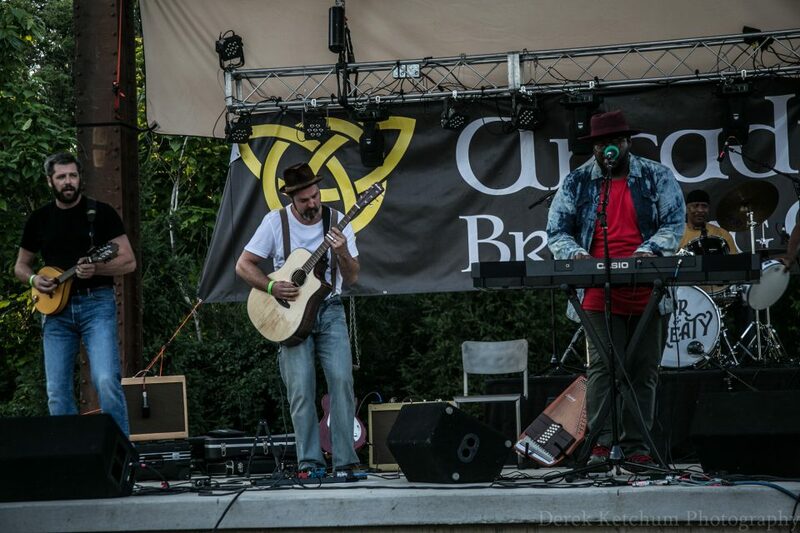 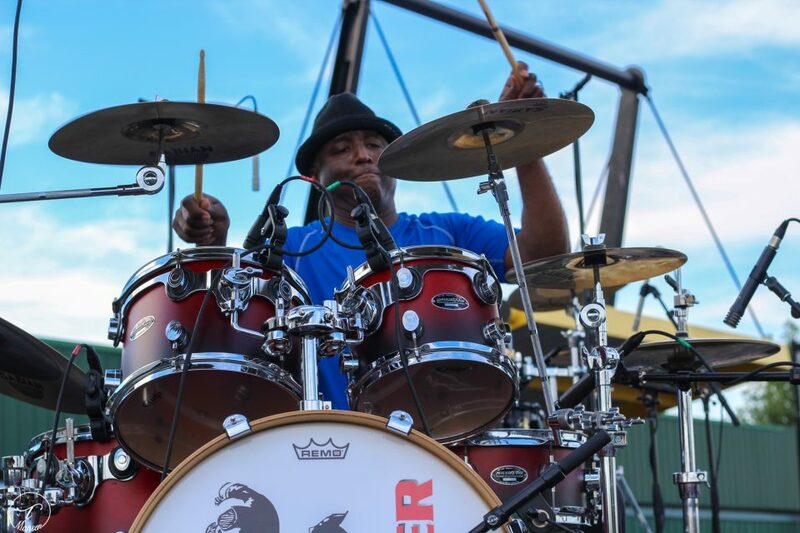 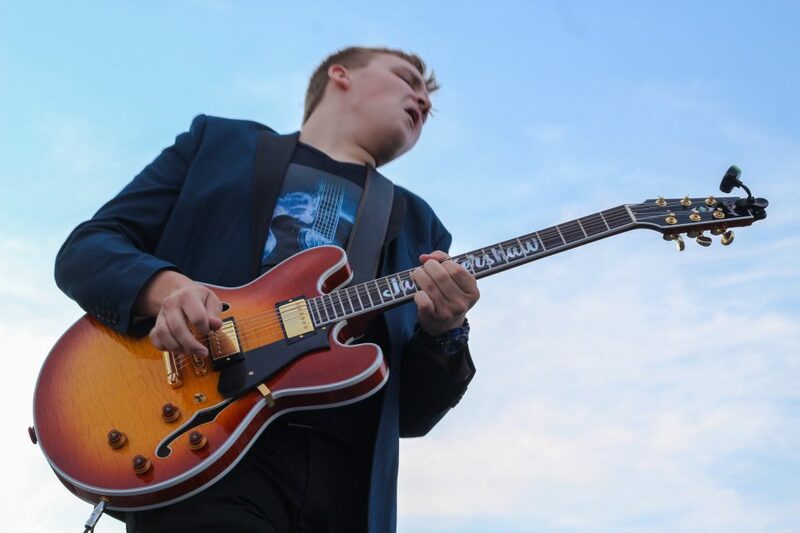 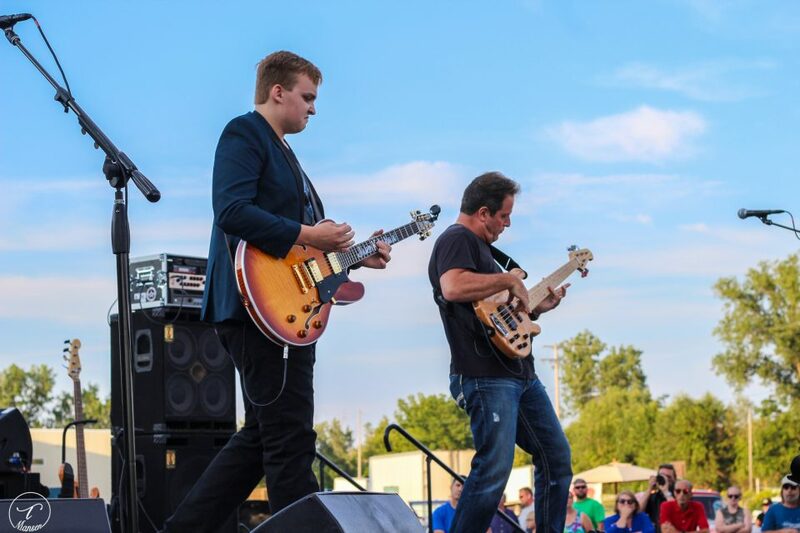 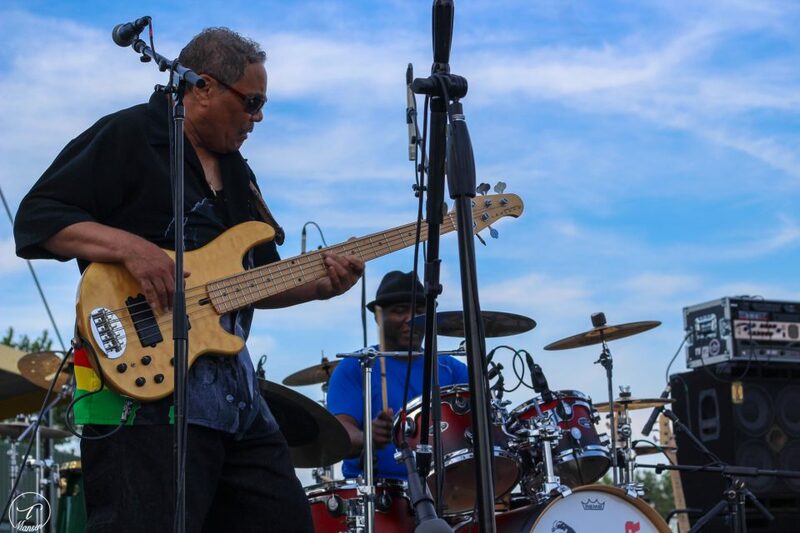 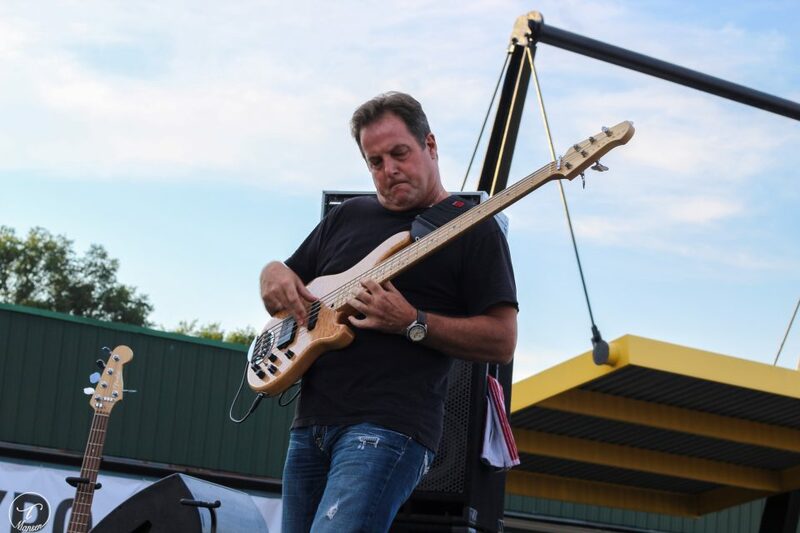 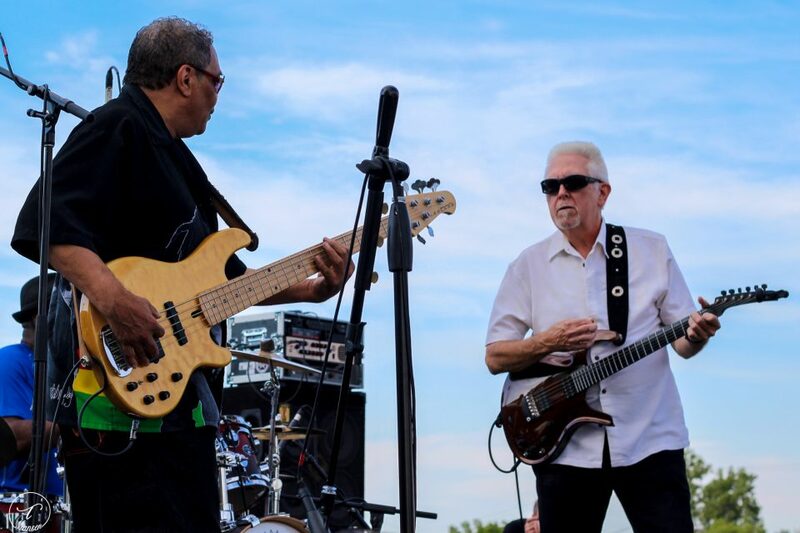 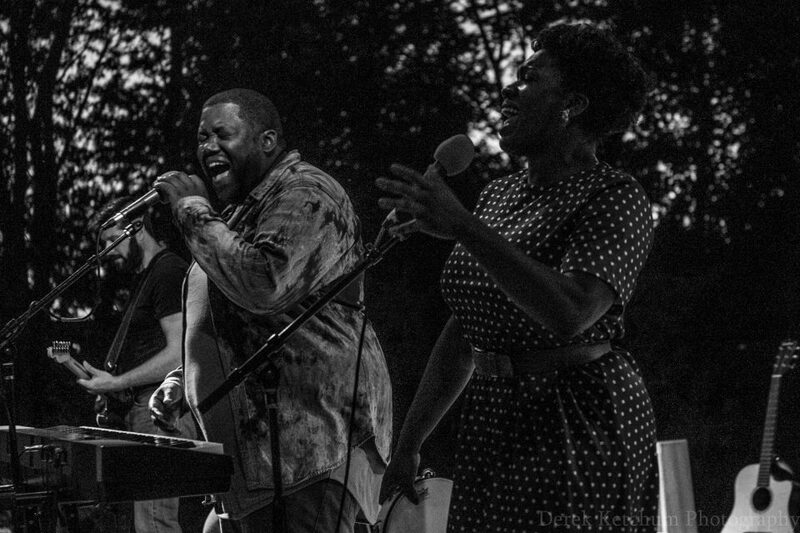 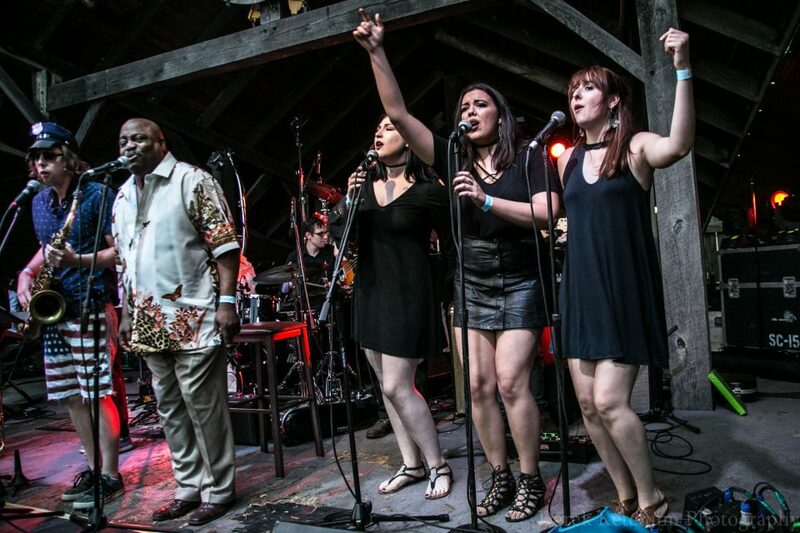 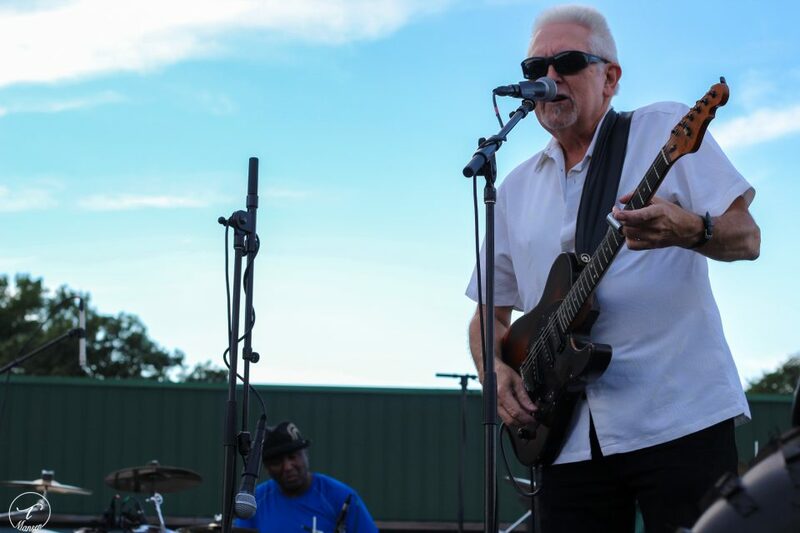 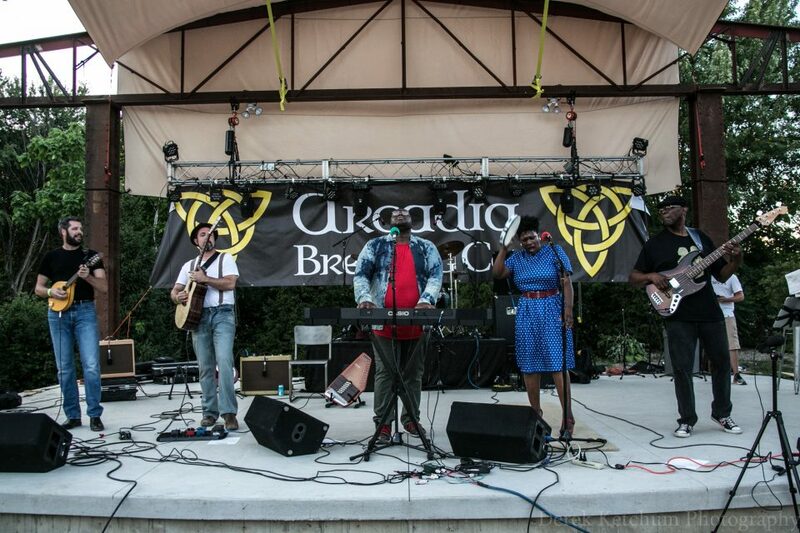 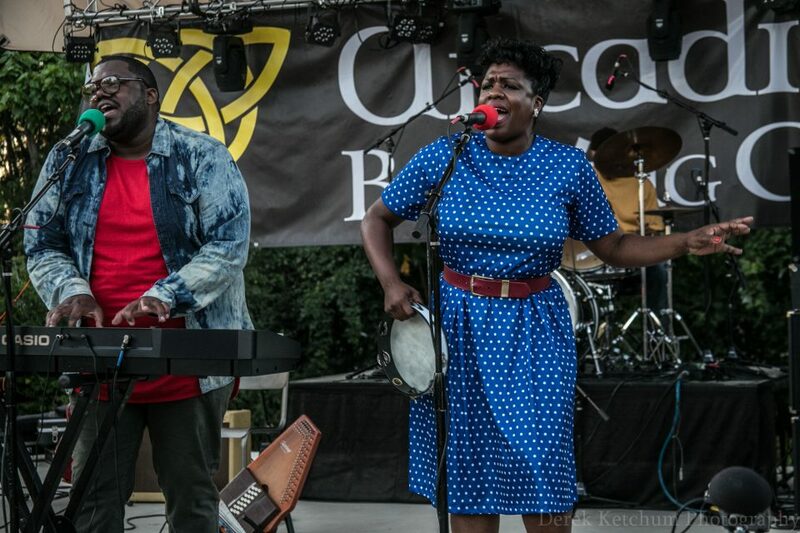 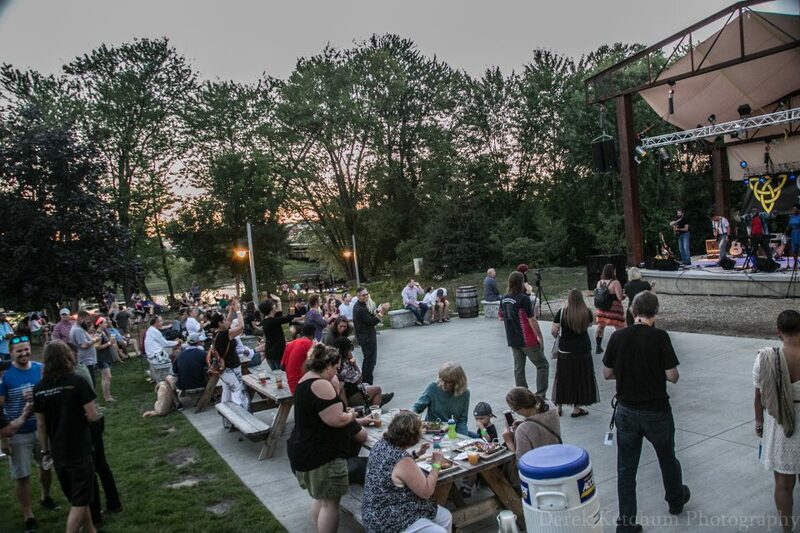 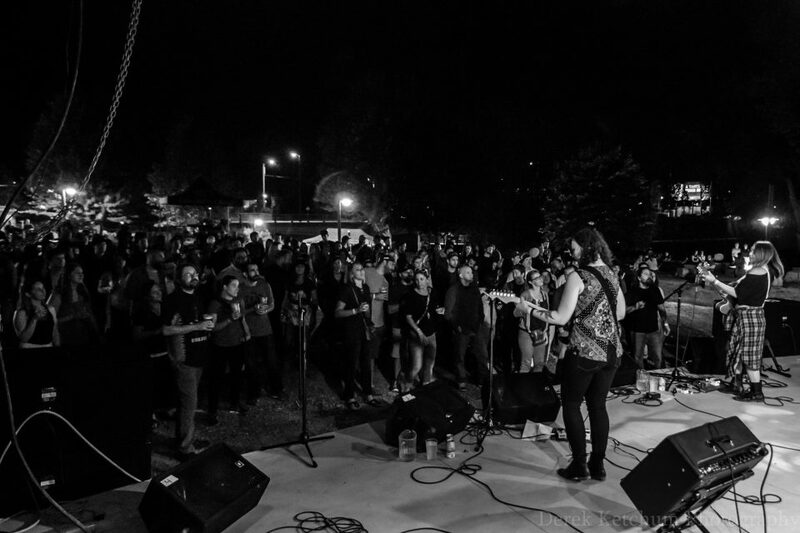 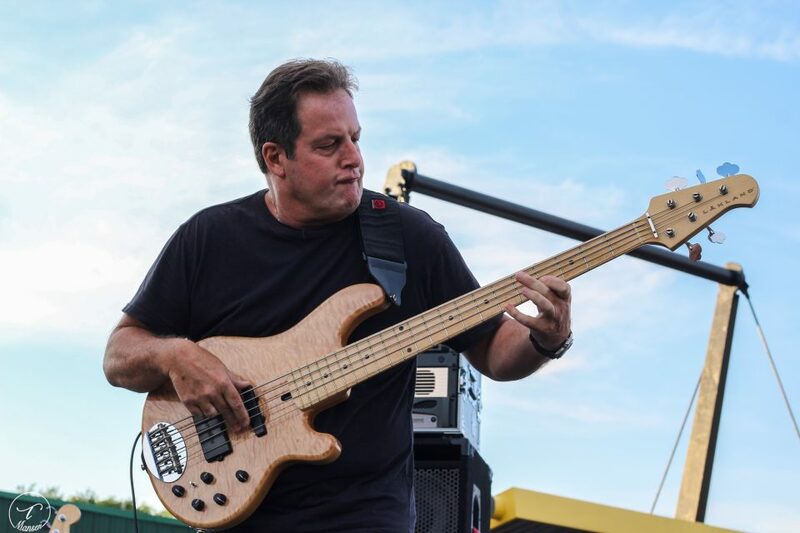 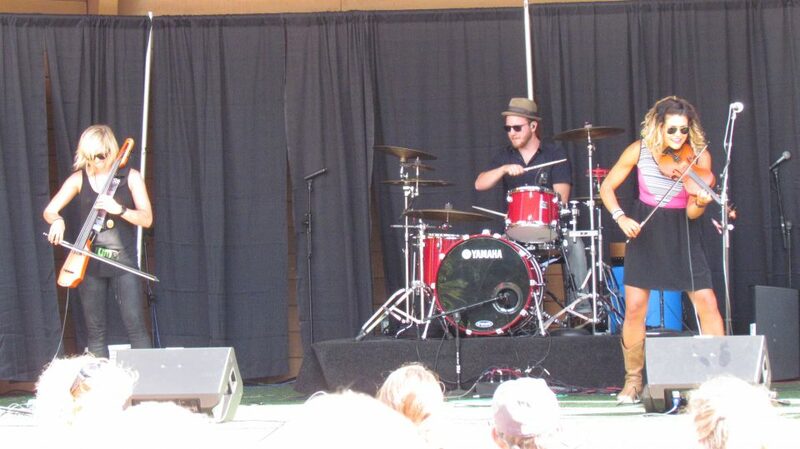 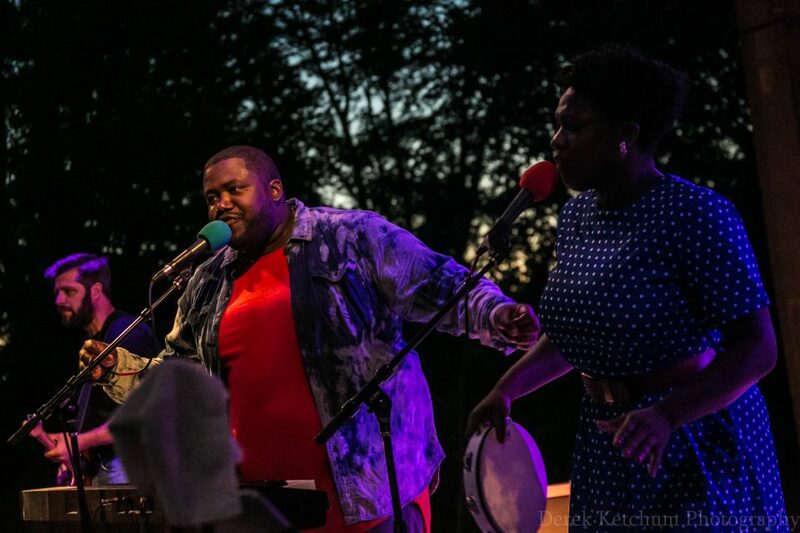 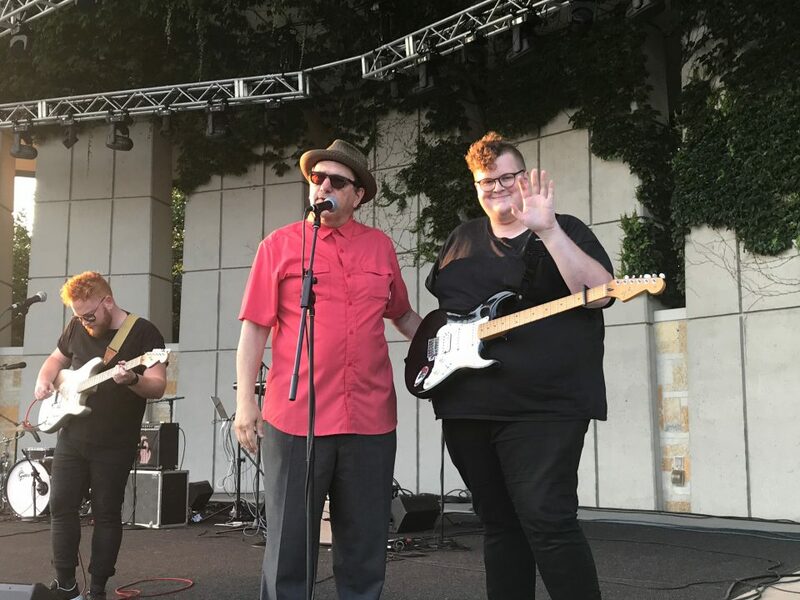 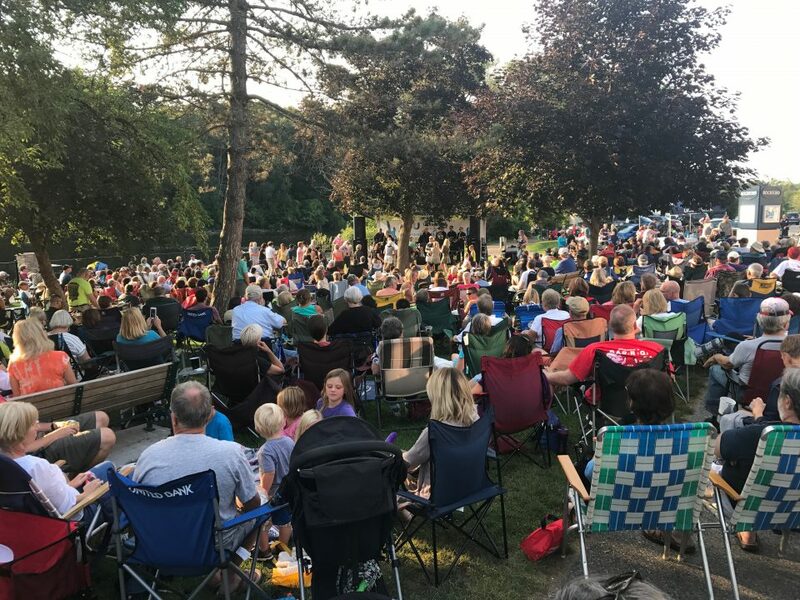 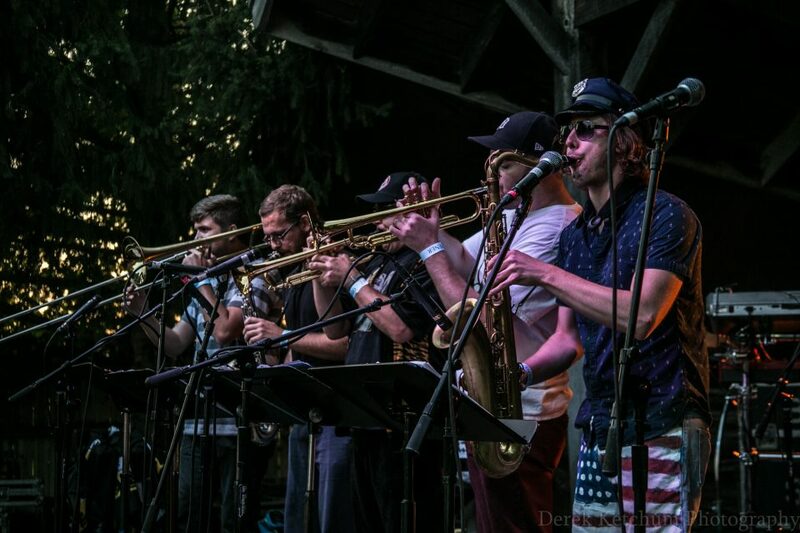 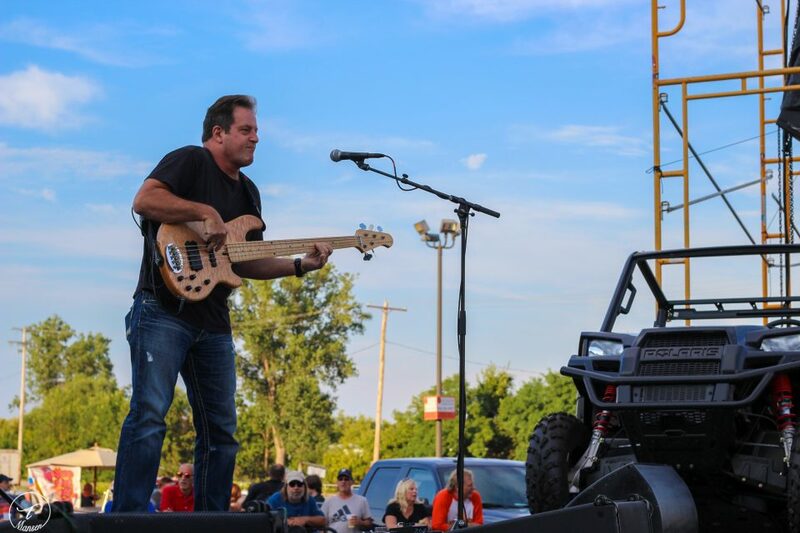 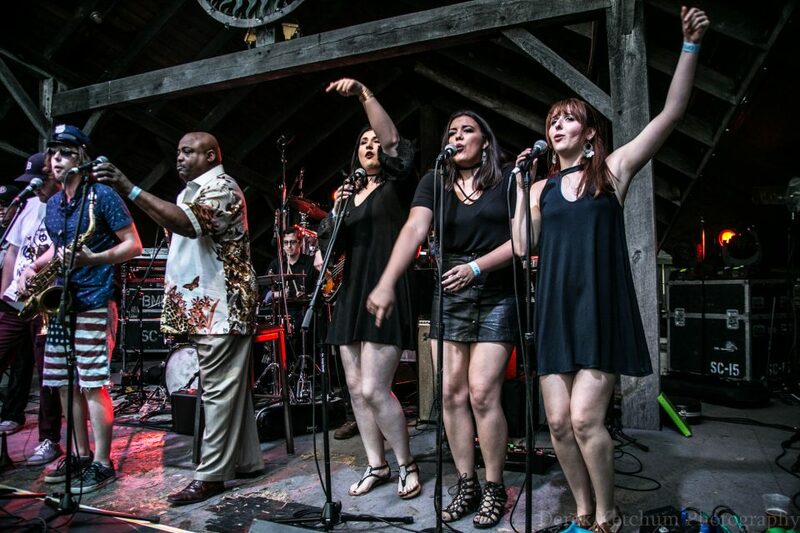 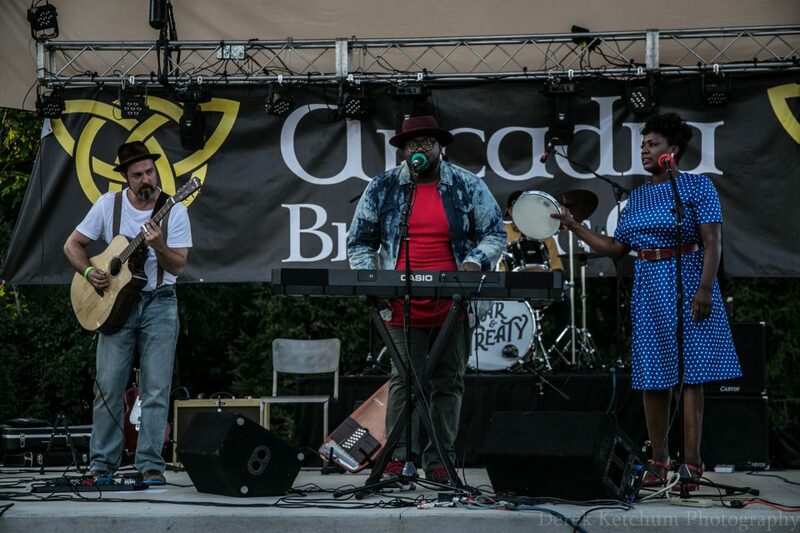 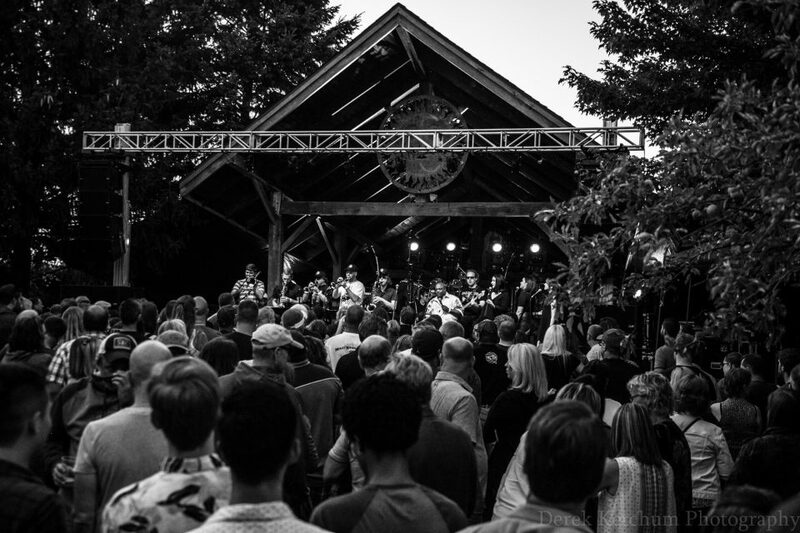 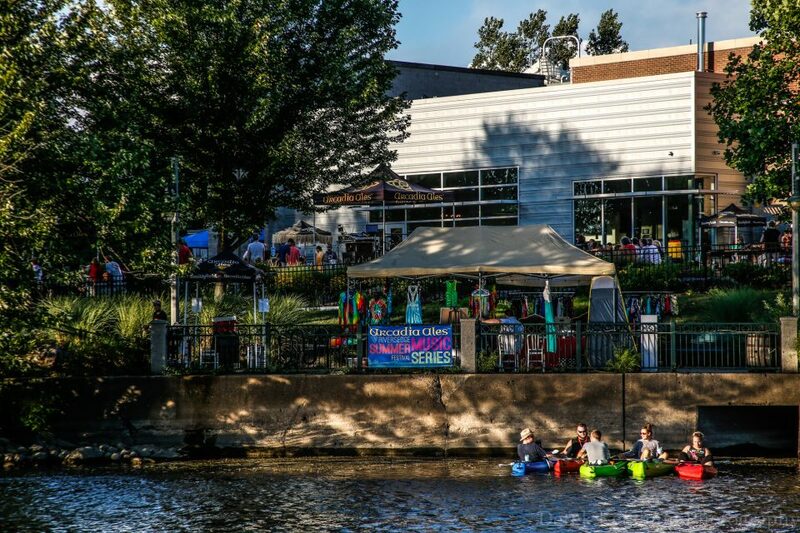 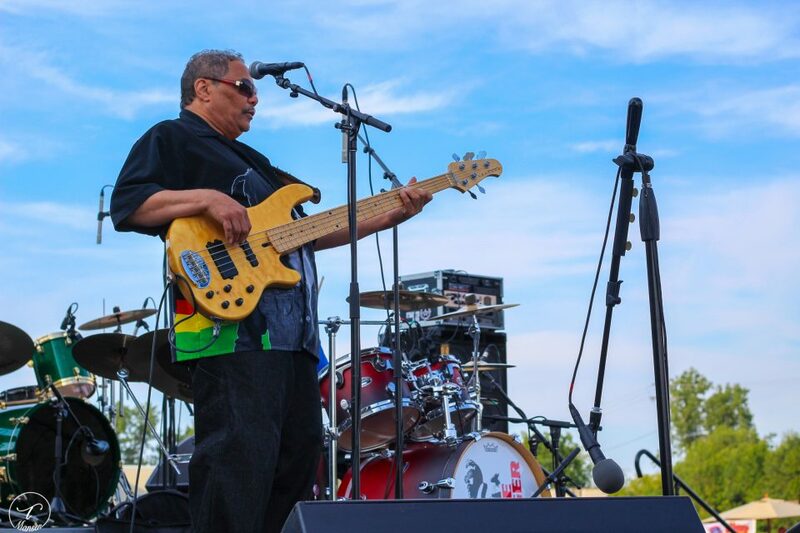 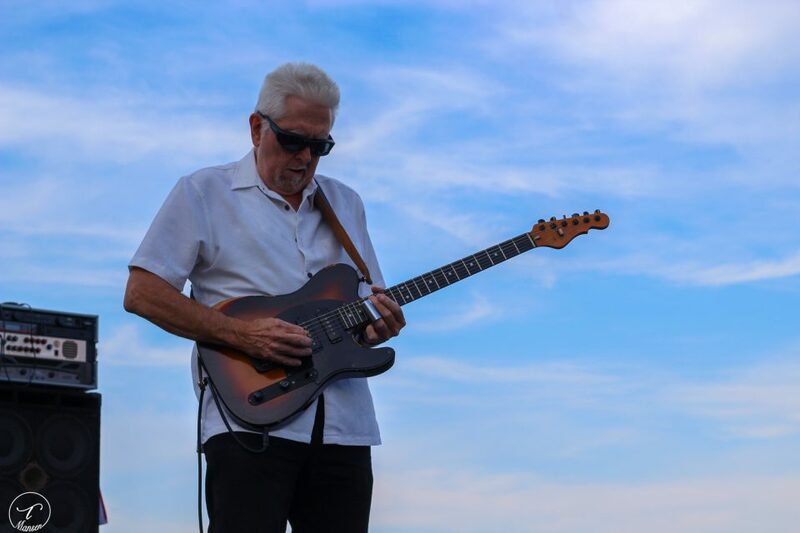 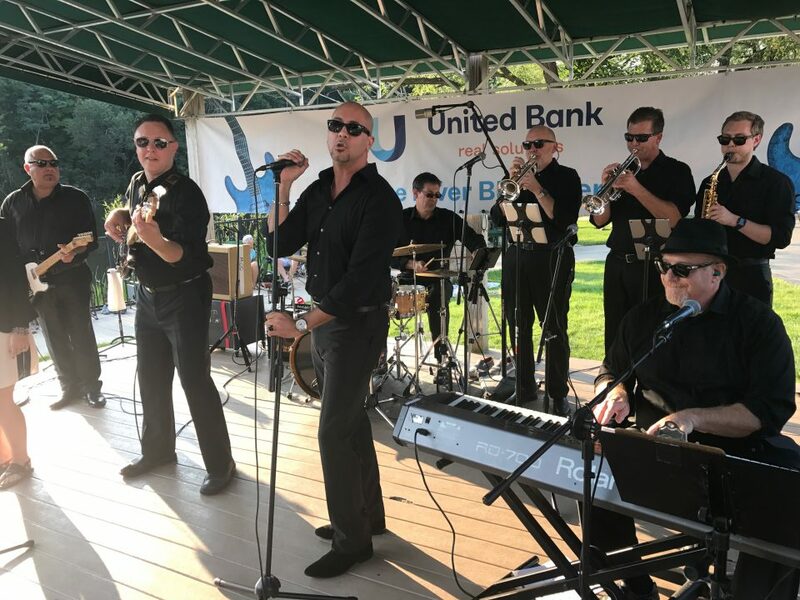 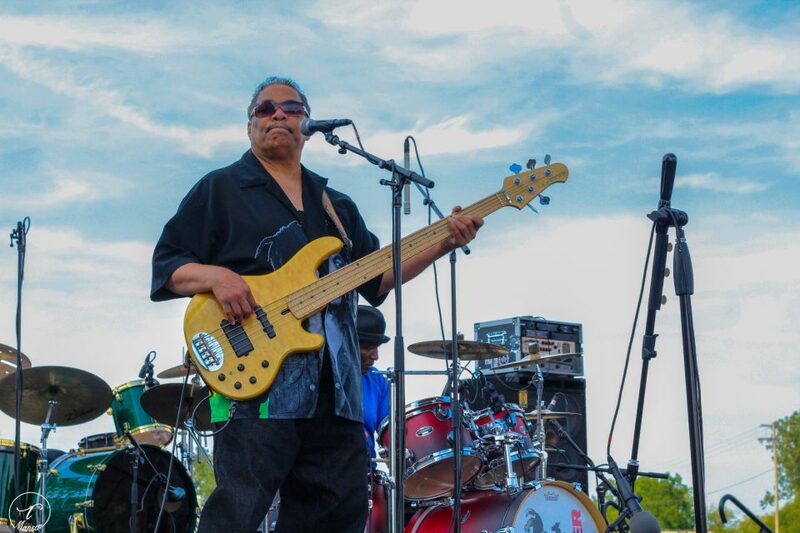 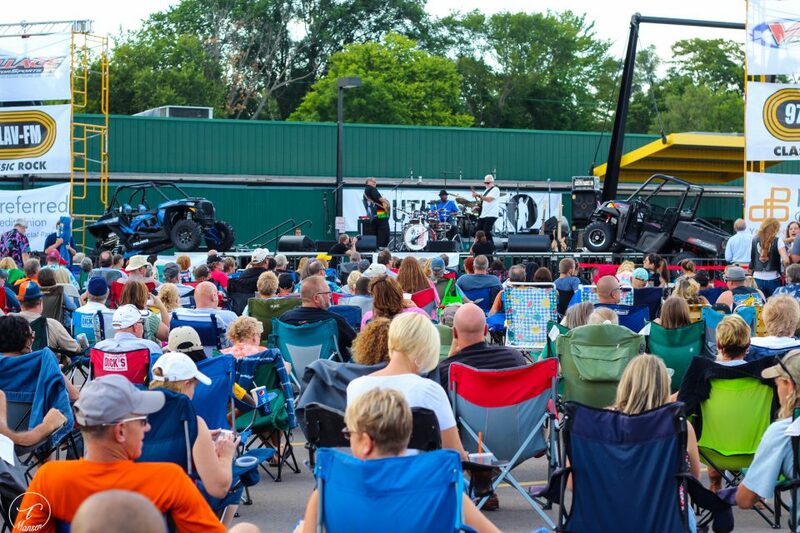 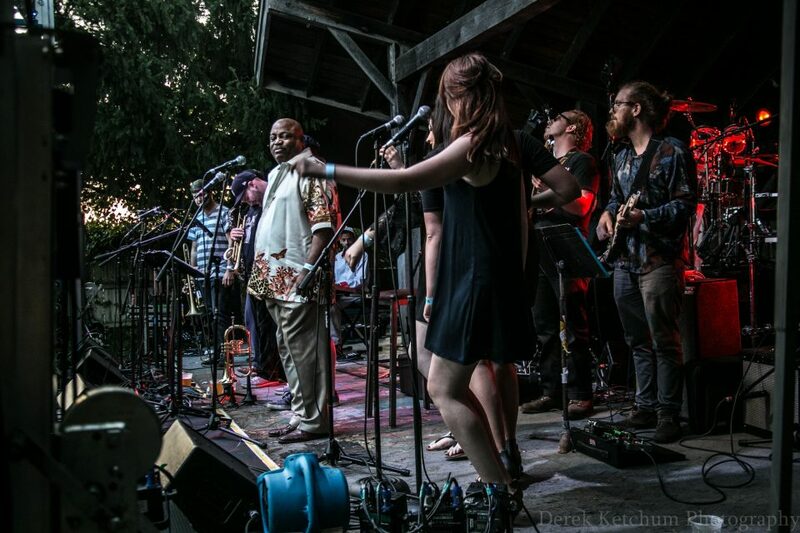 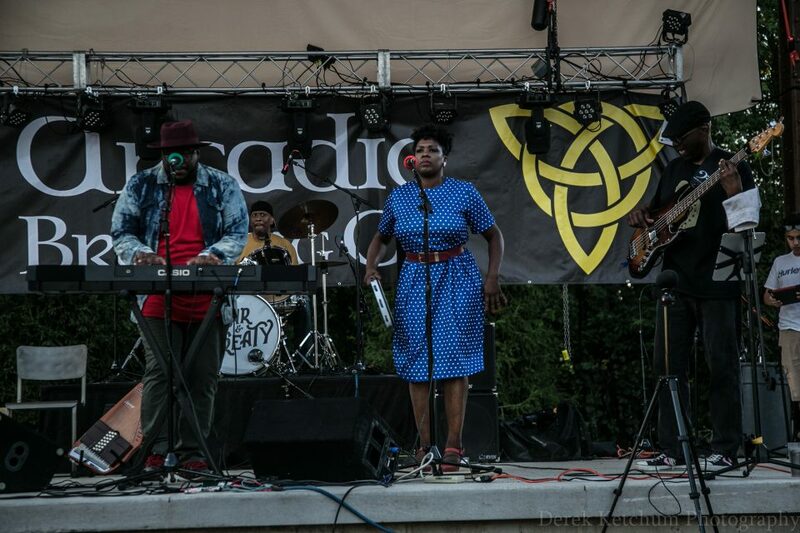 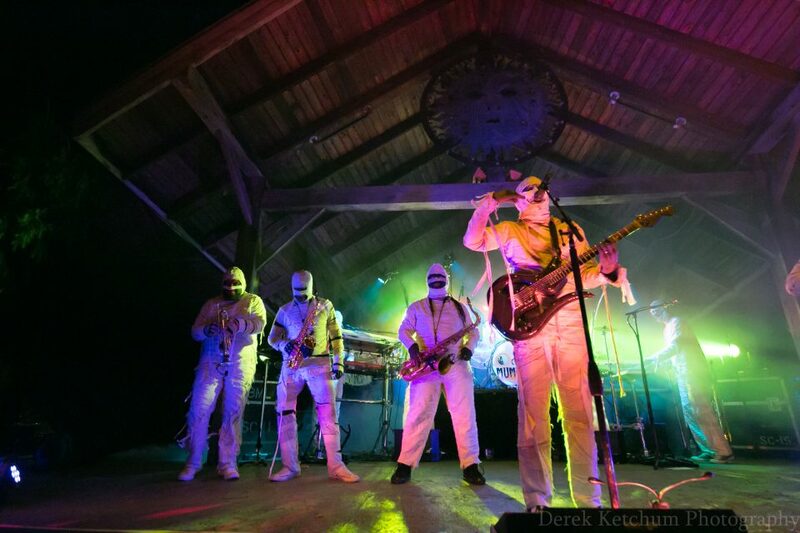 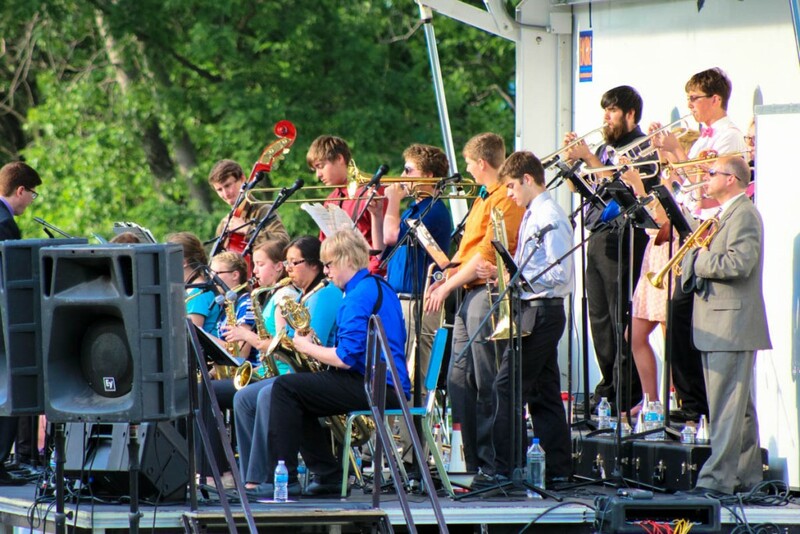 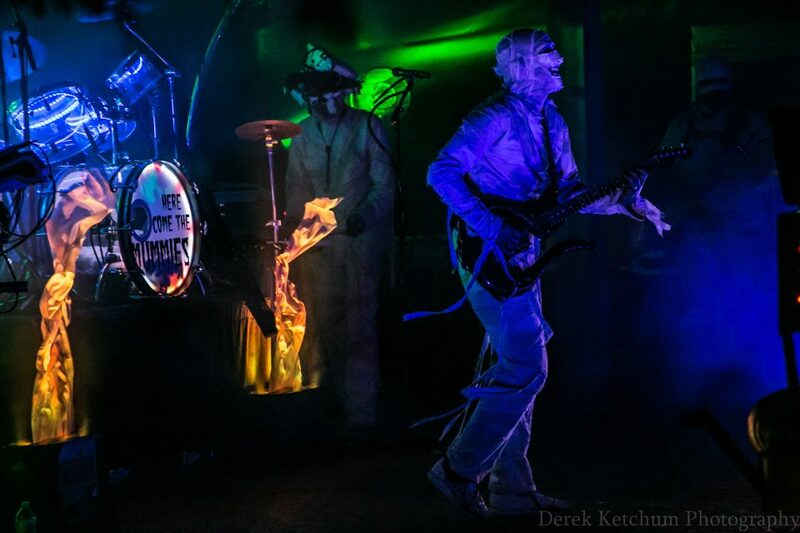 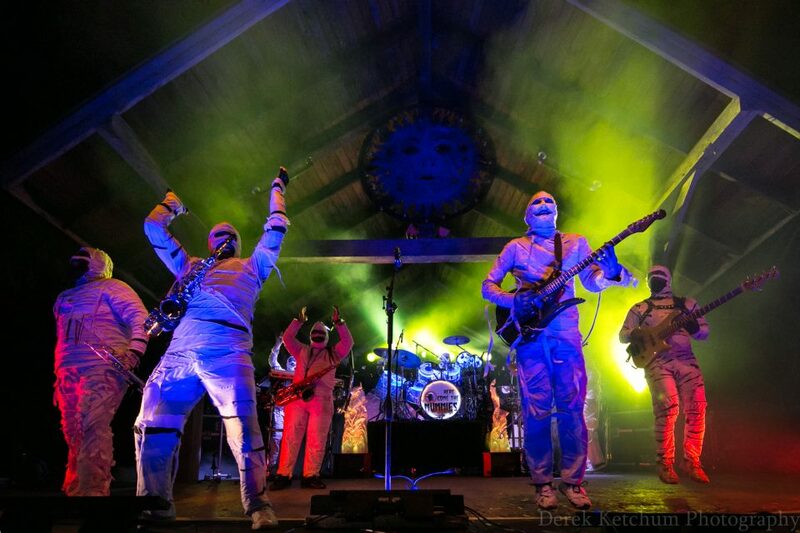 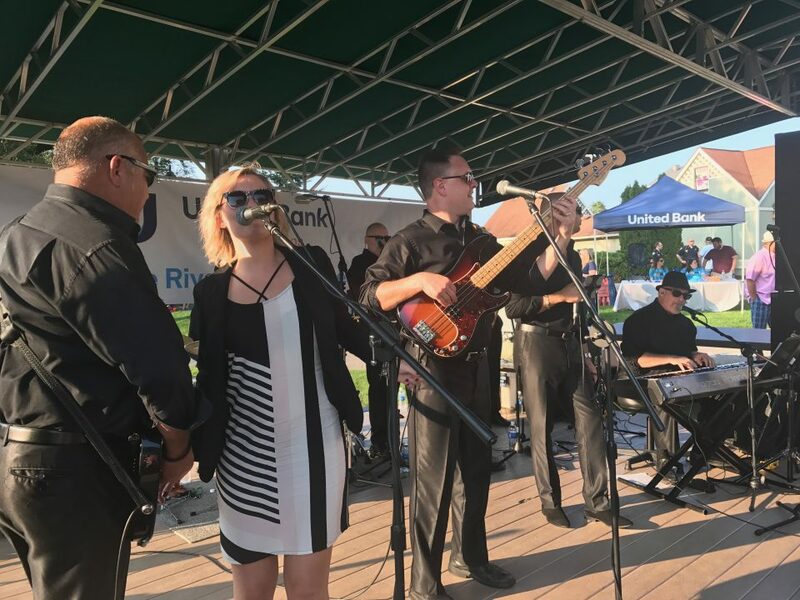 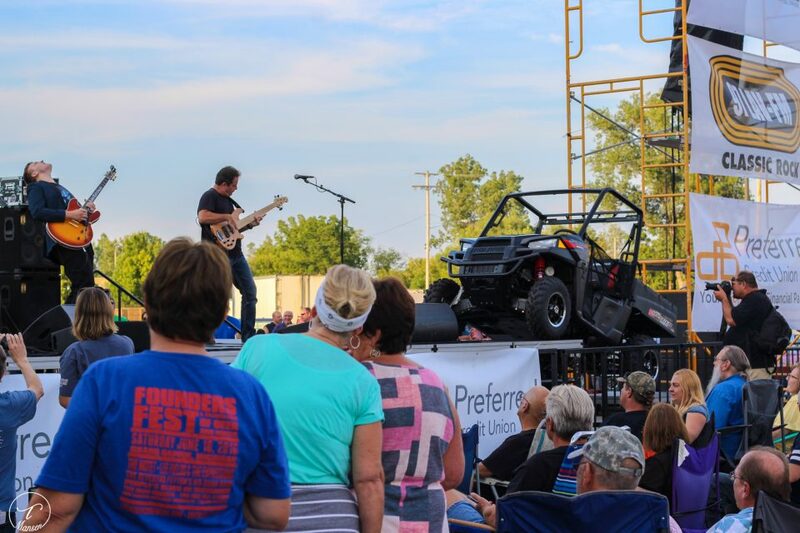 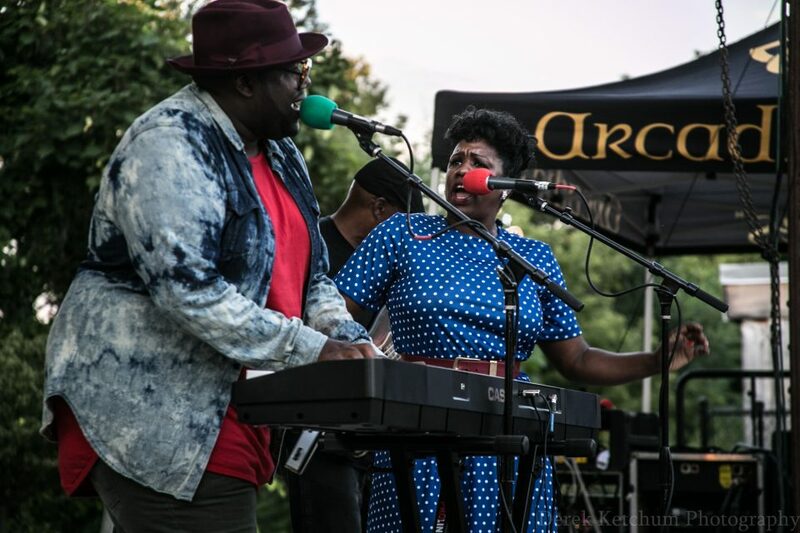 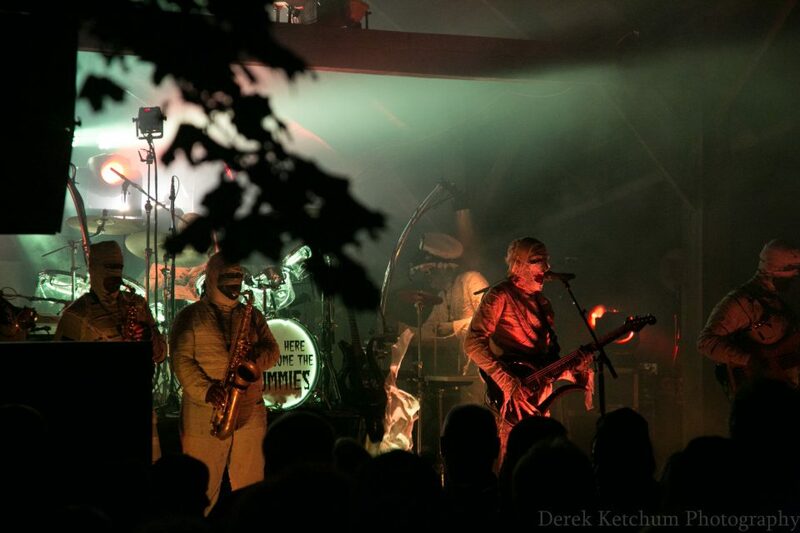 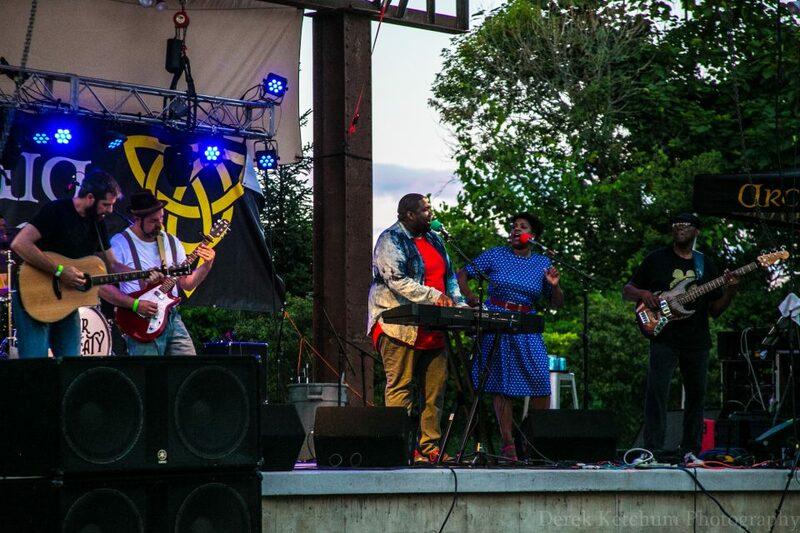 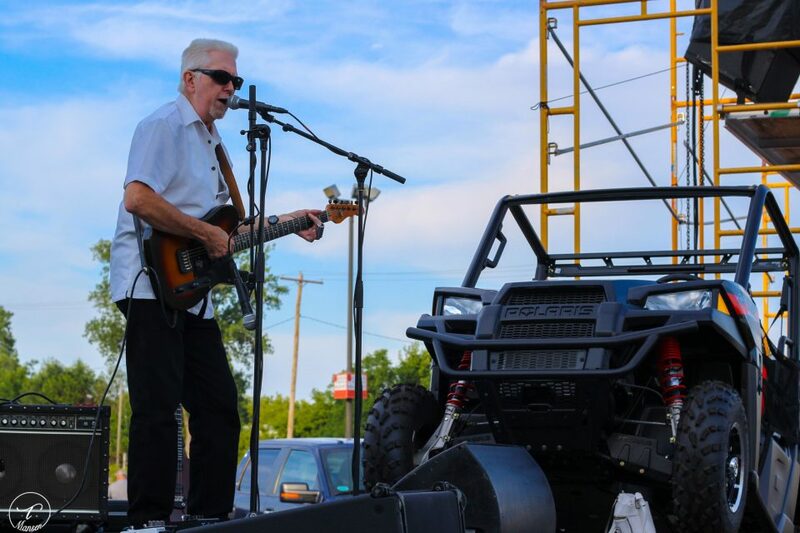 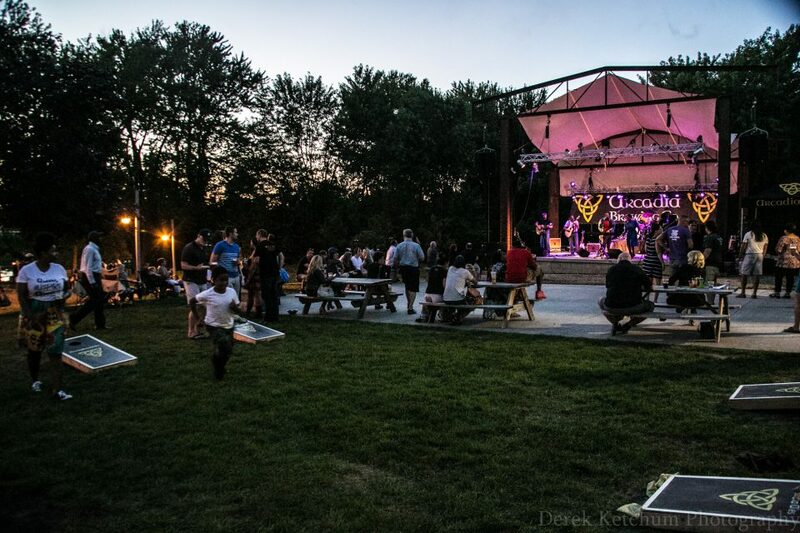 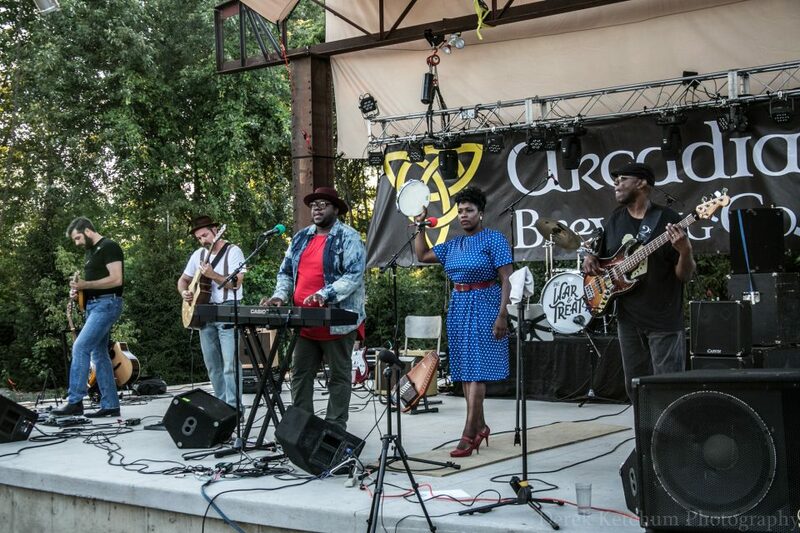 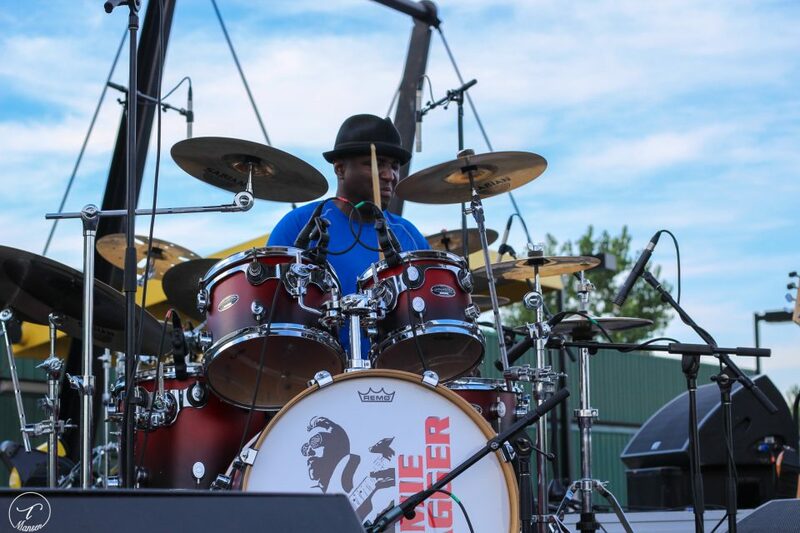 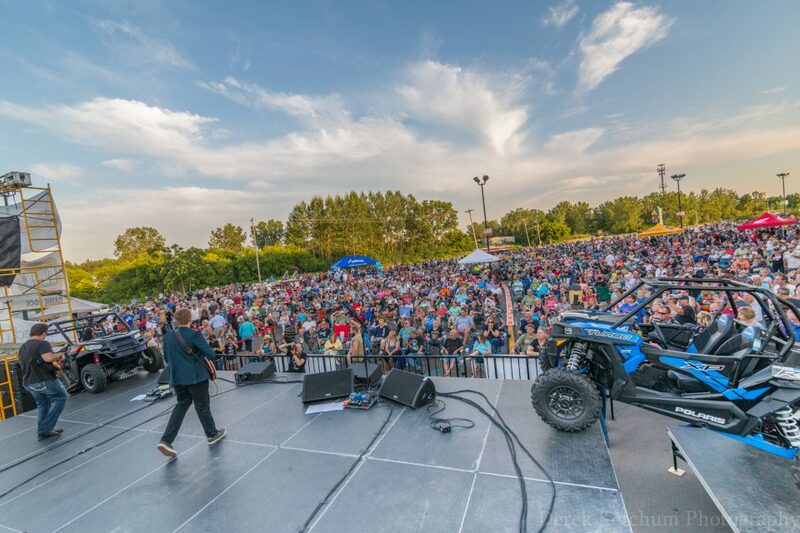 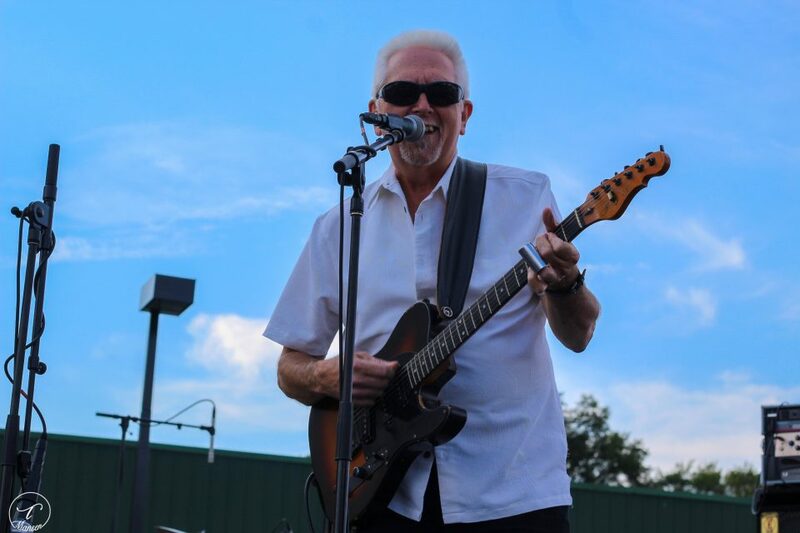 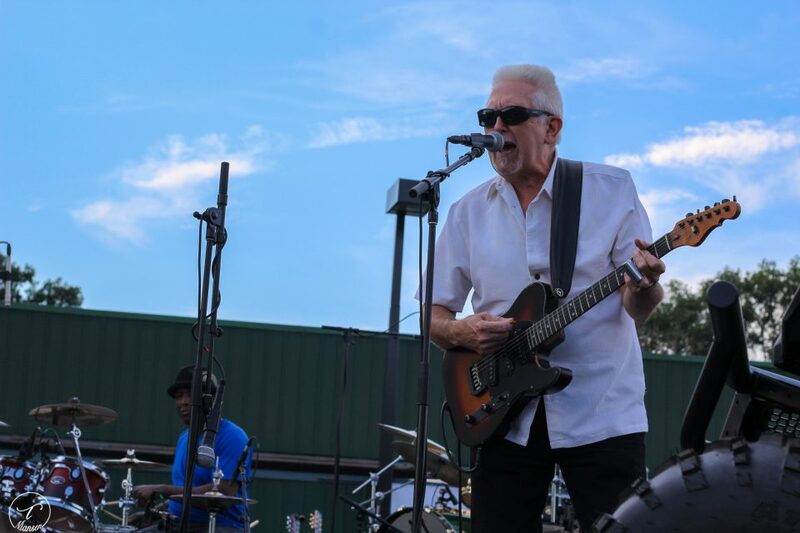 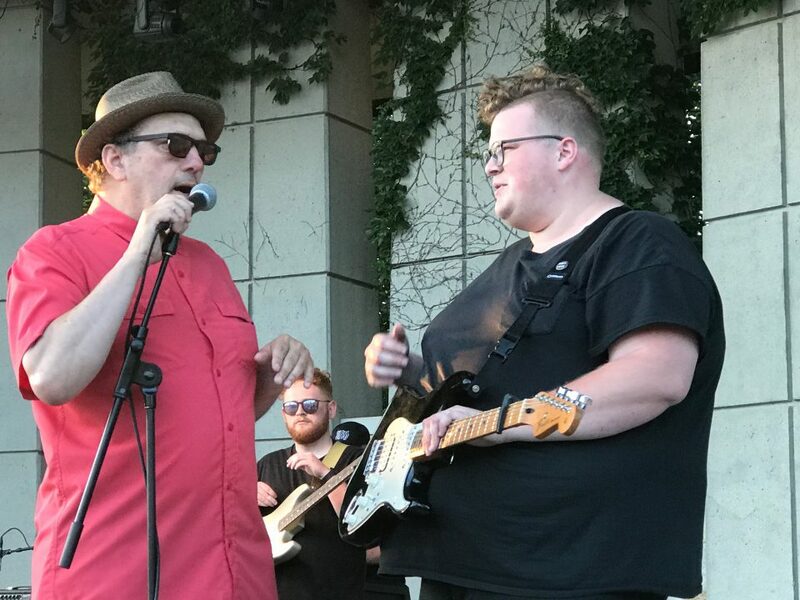 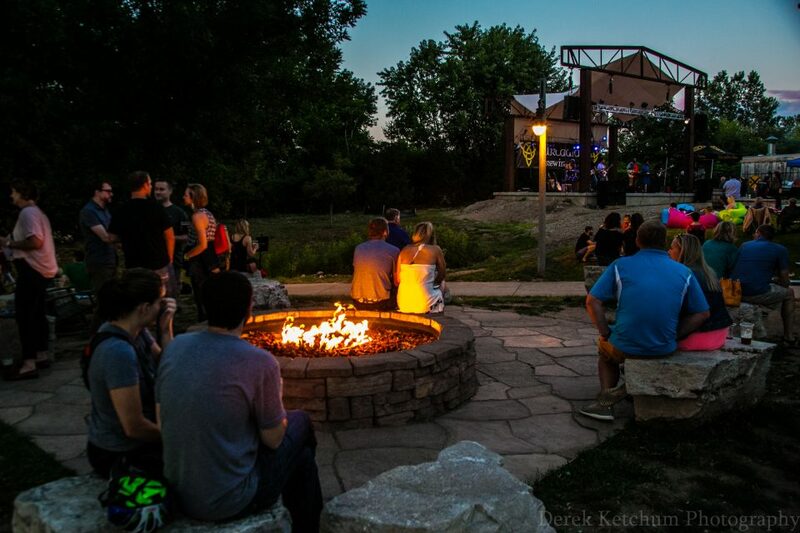 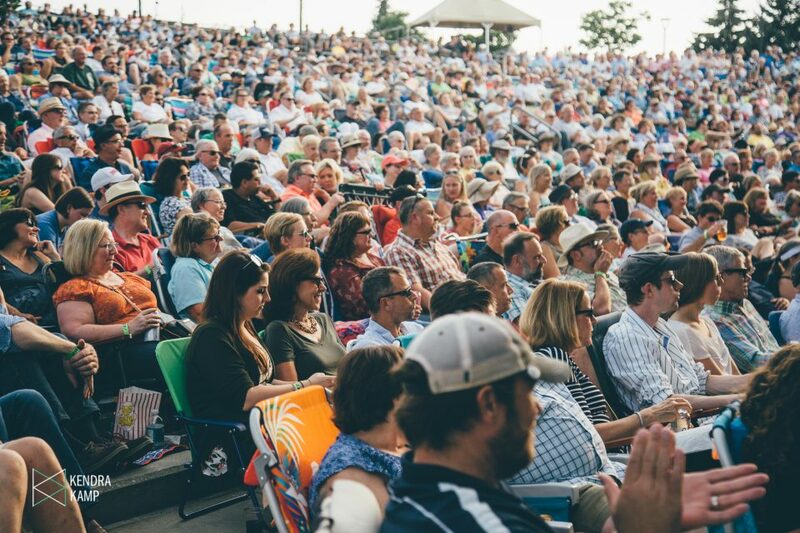 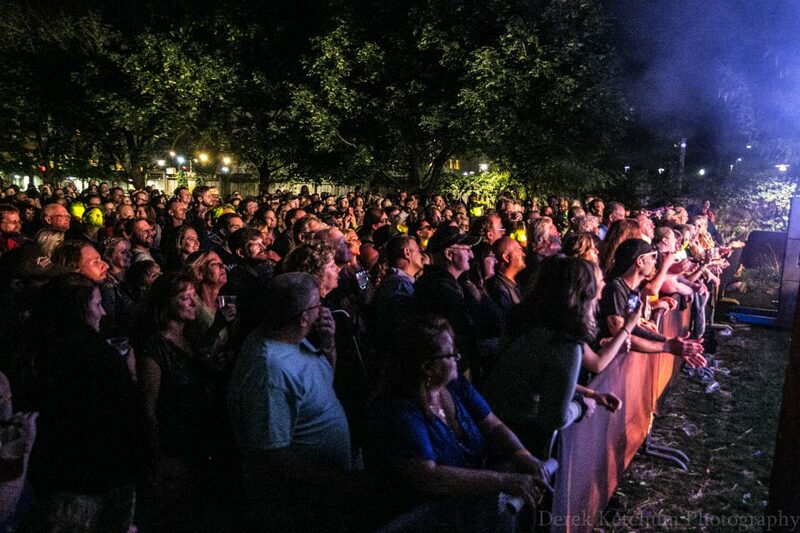 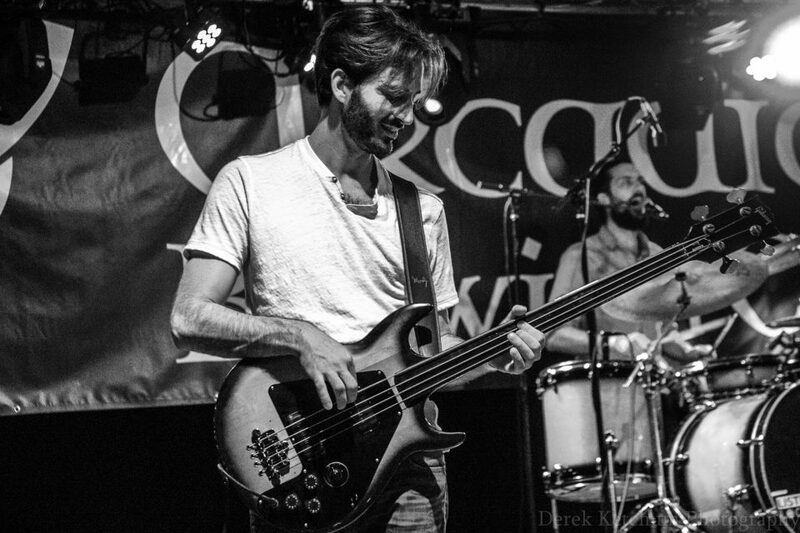 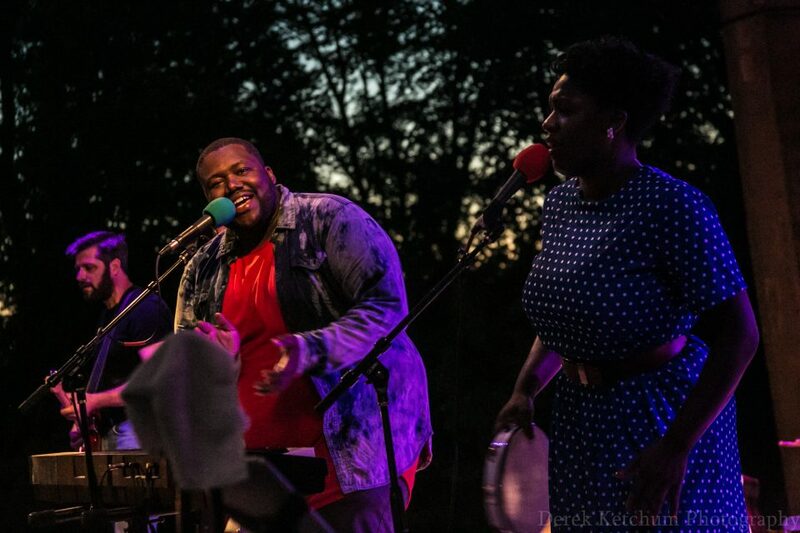 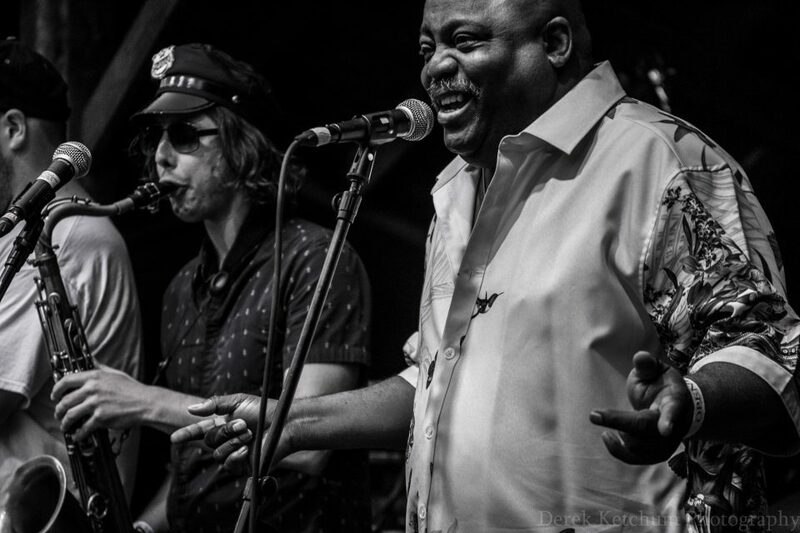 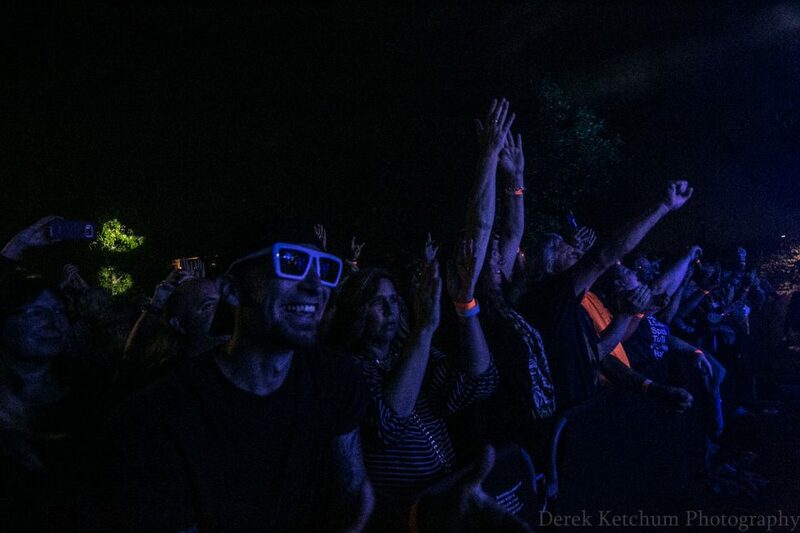 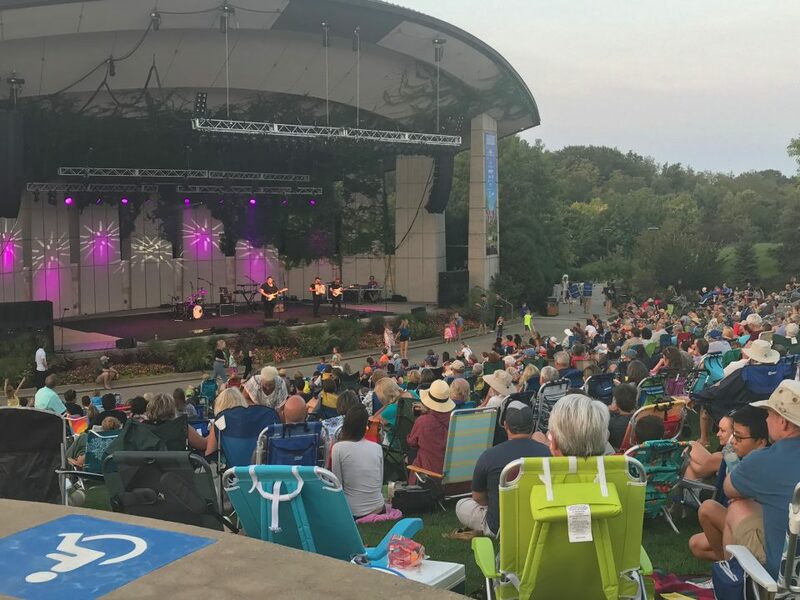 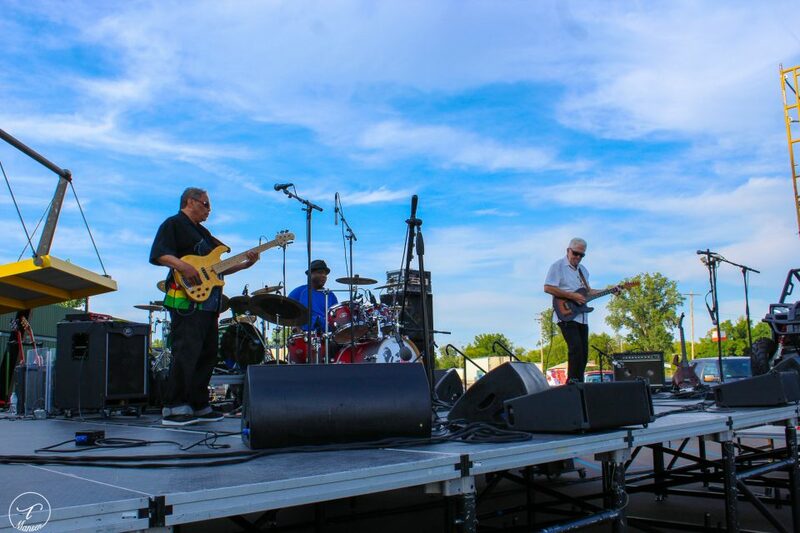 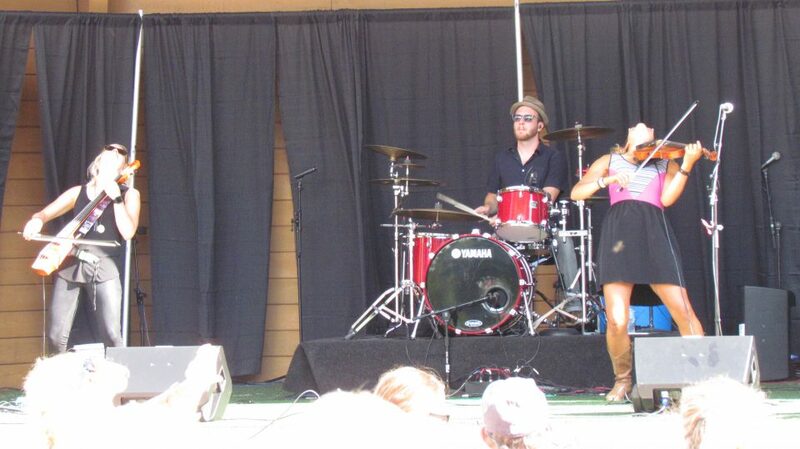 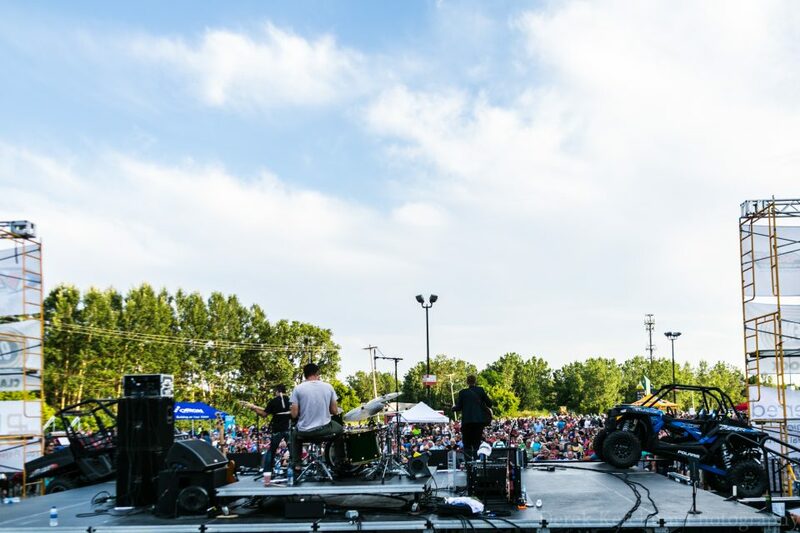 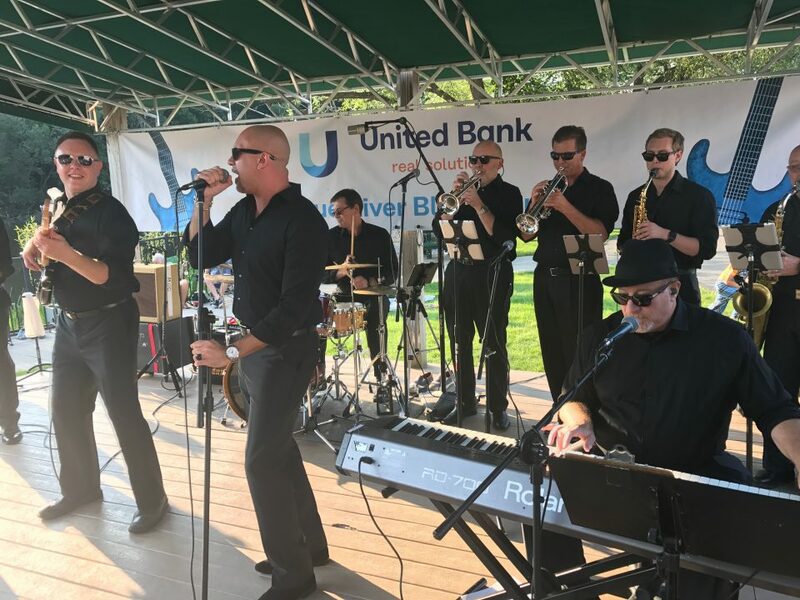 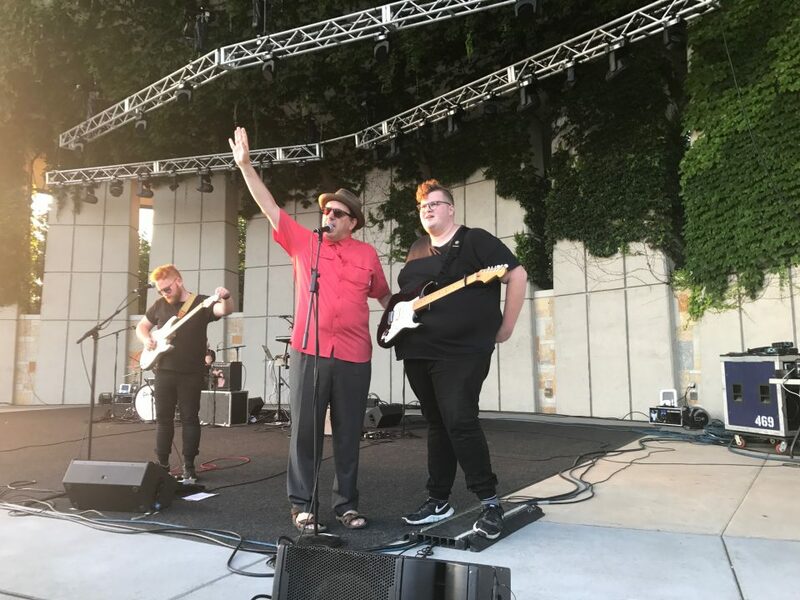 On a Tuesday night, record crowds cheered not only The Soul Syndicate at Rockford’s Rogue River After-the-Blues Series but Benjaman James and Michigander at Frederik Meijer Gardens & Sculpture Park for the Tuesday Evening Music Club. 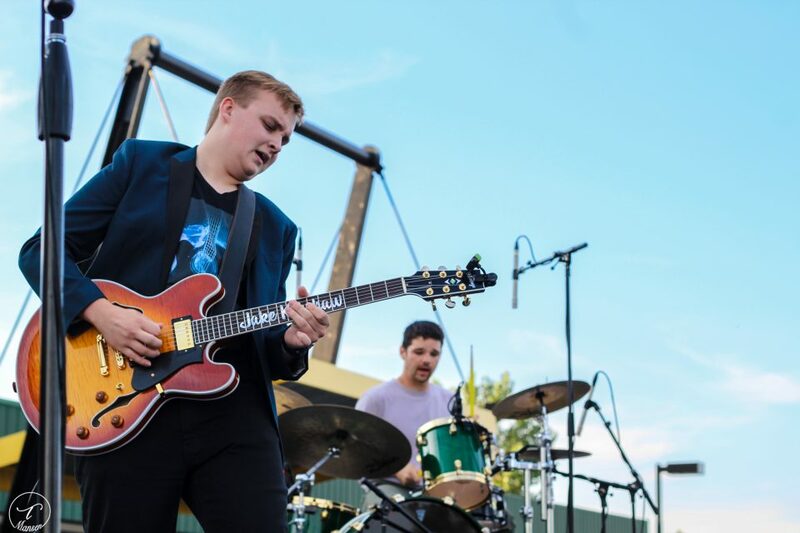 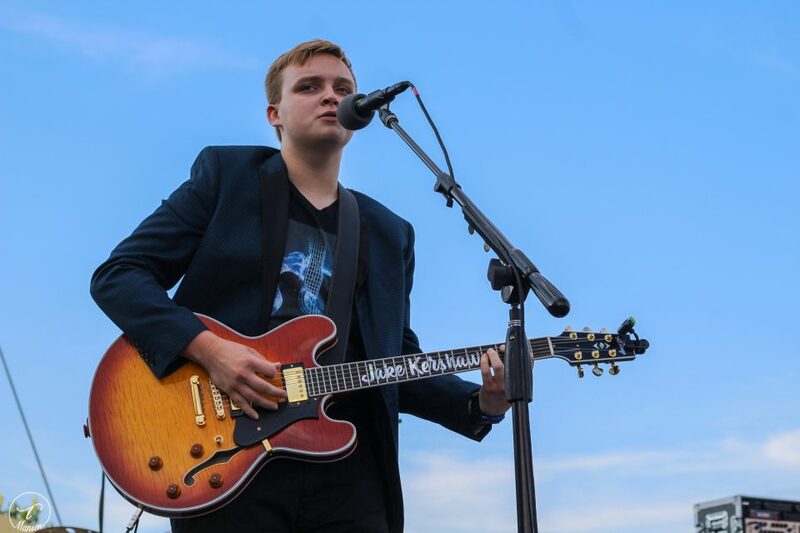 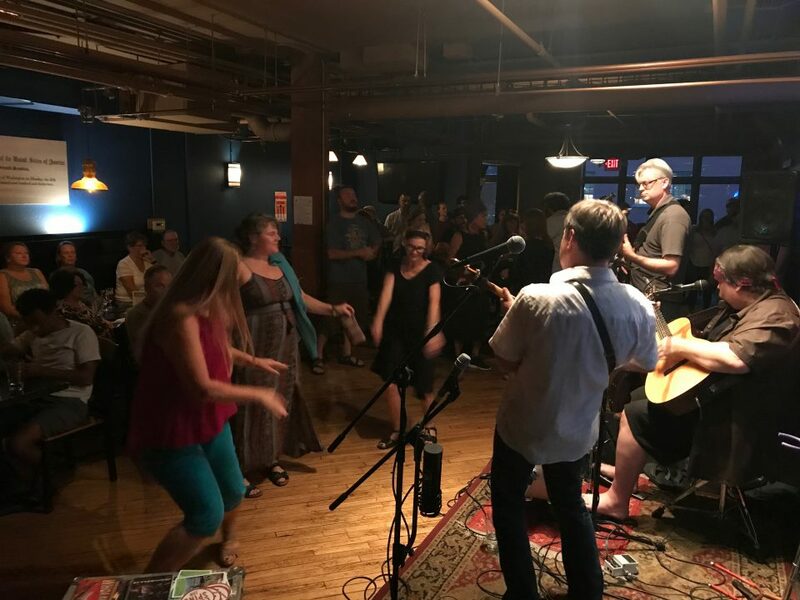 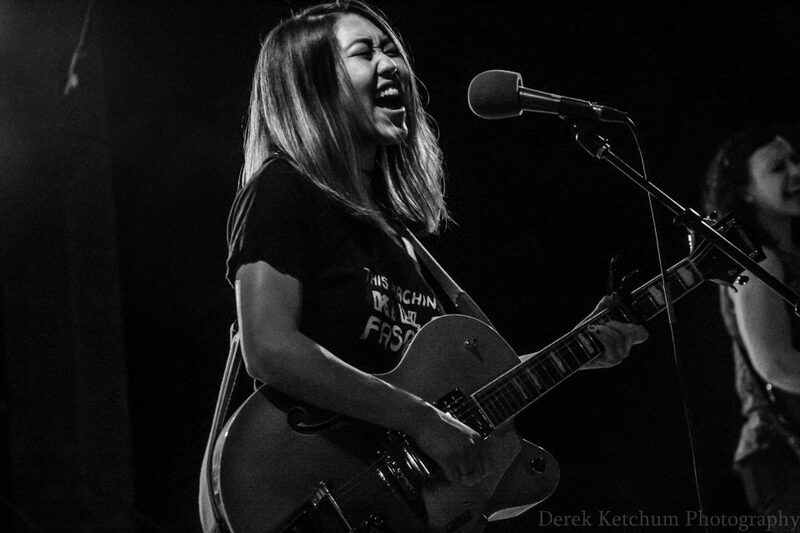 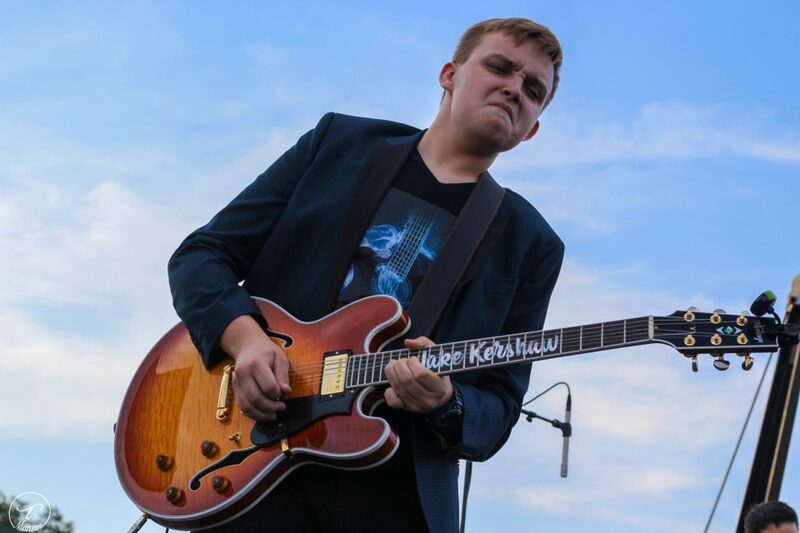 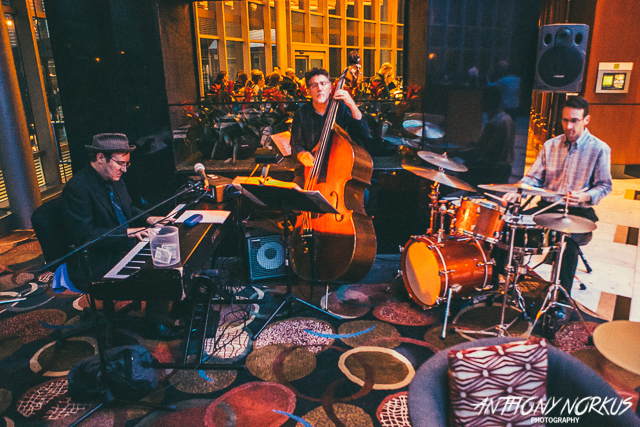 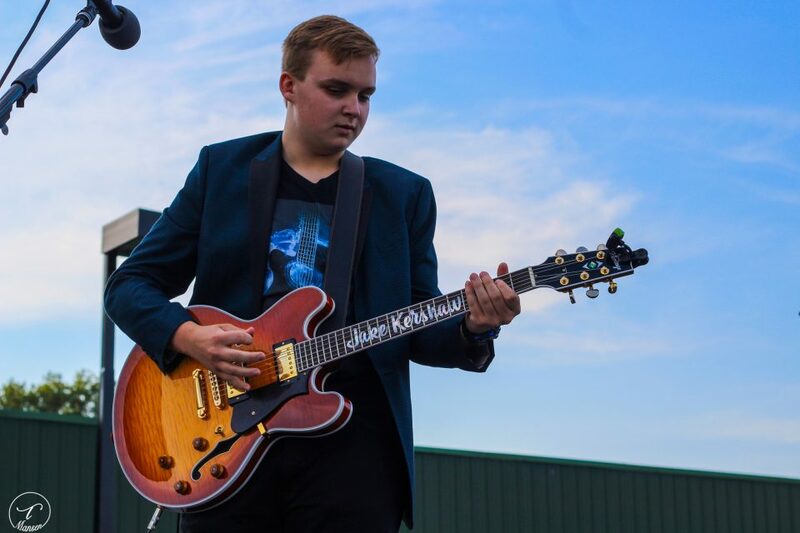 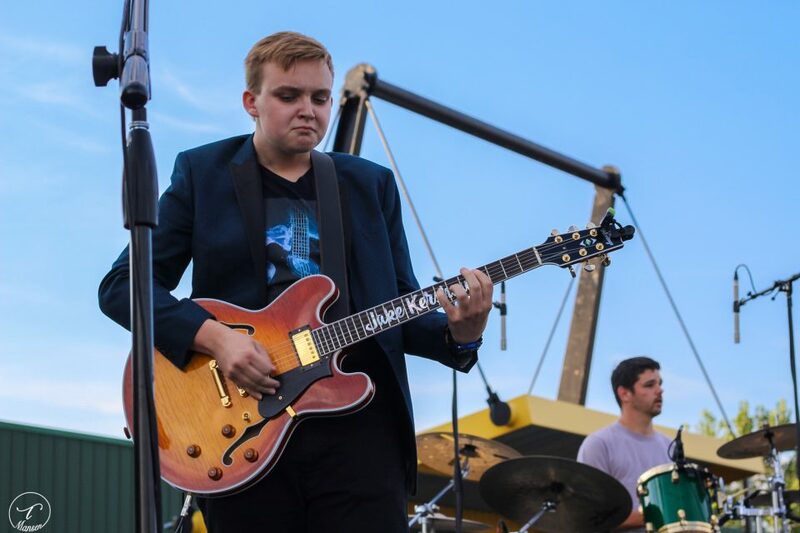 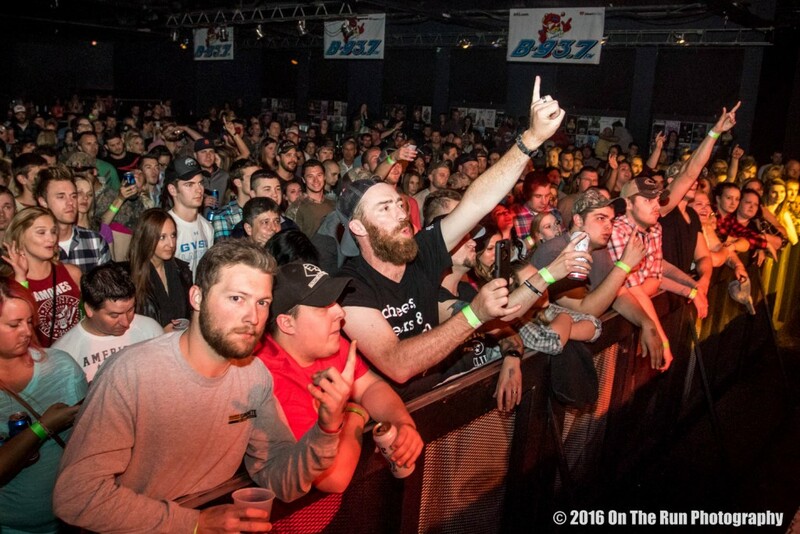 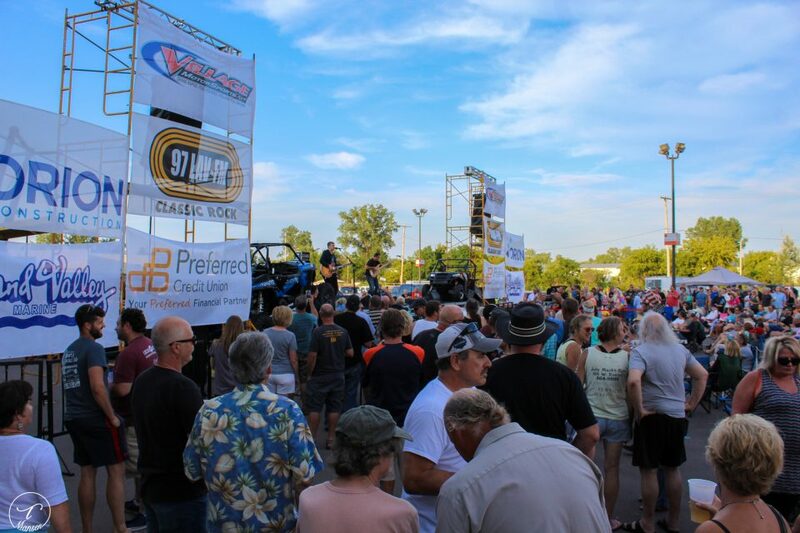 On Wednesday night, overflow crowds reveled in the blues-rock chutzpah of young guitarist Jake Kershaw and veteran bluesman Jimmie Stagger at the 97LAV Summertime Blues show outside Walker’s DeltaPlex Arena (an audience of about 3,000) and in the upbeat bluegrass fusion of Grasshoppah at Grand Rapids’ SpeakEZ Lounge for Local Spins Wednesdays (part of a Michigan reunion tour that also played Cowpie Music Festival). 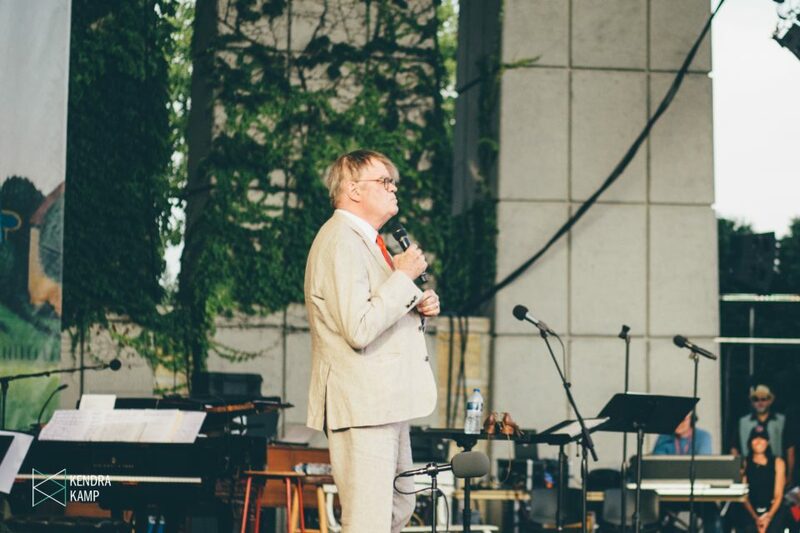 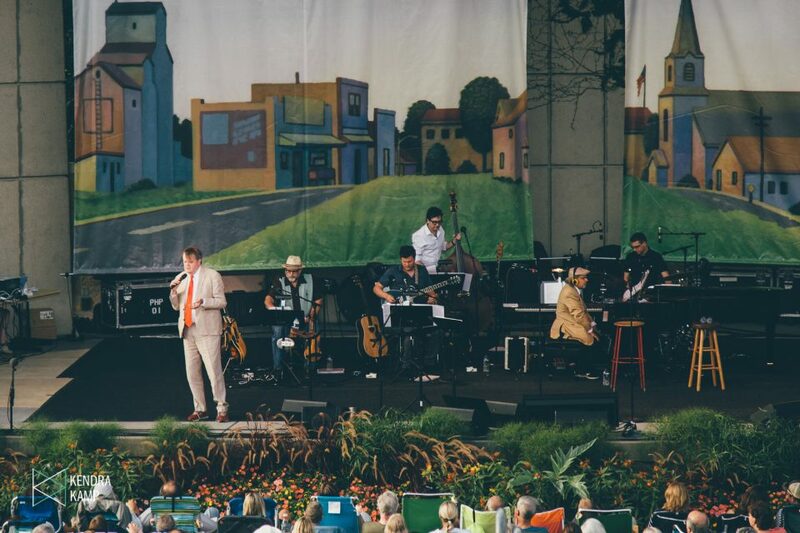 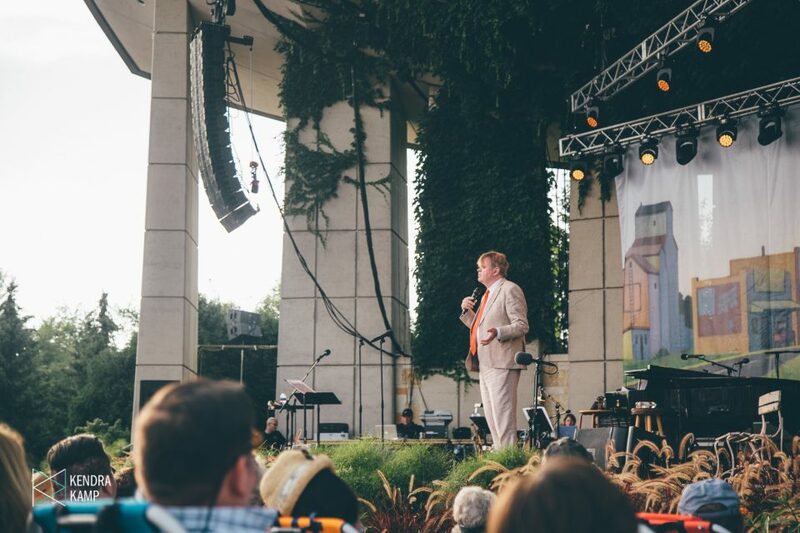 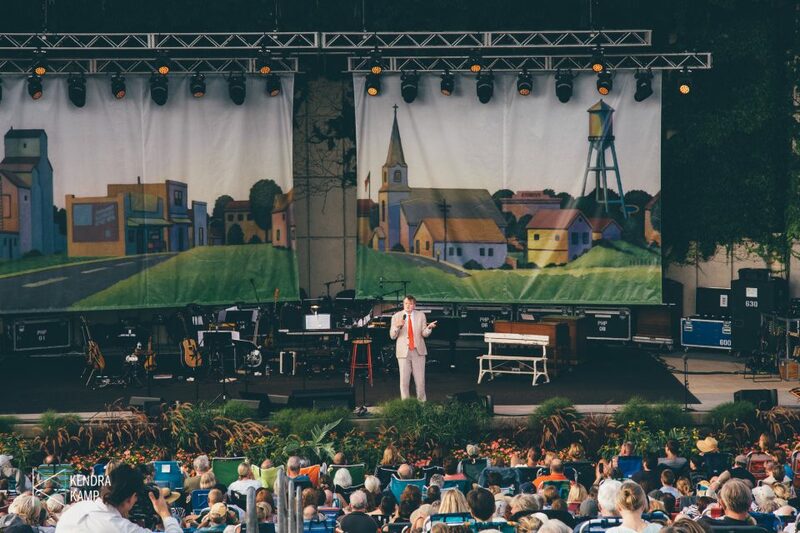 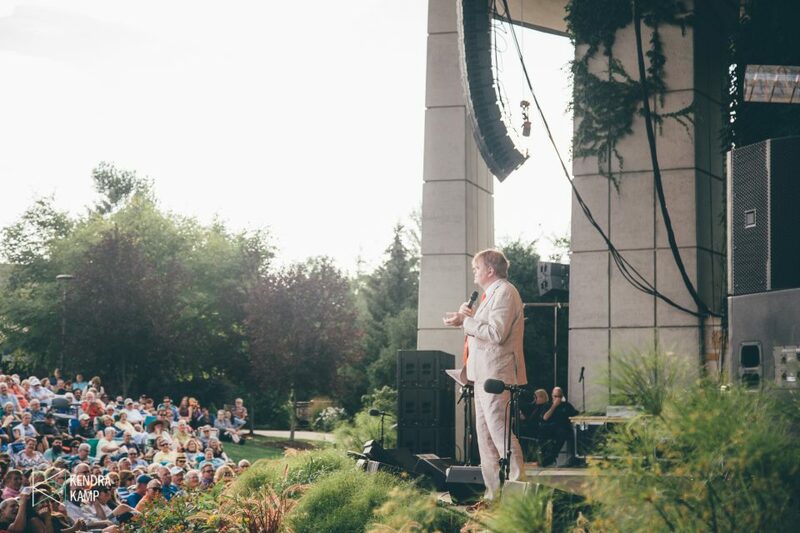 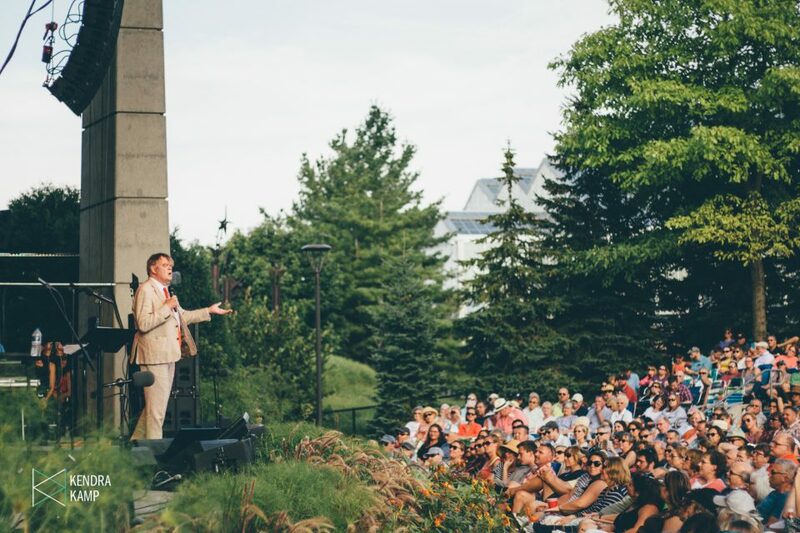 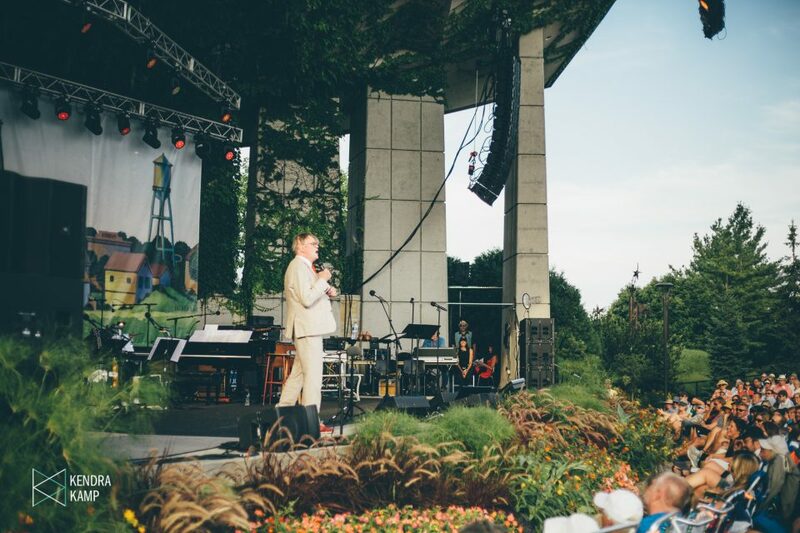 The same night, Garrison Keillor brought his “Prairie Home Love and Comedy” tour to Frederik Meijer Gardens & Sculpture Park. 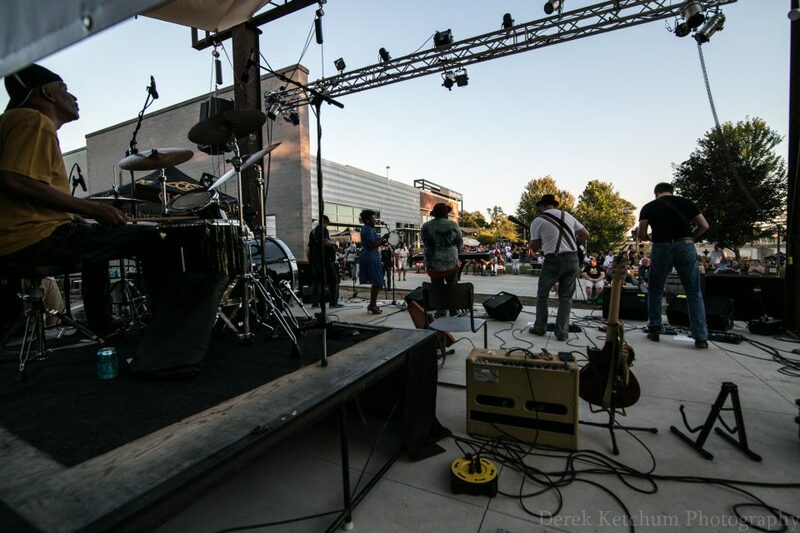 This was just the beginning in a week that saw a flurry of concerts and festivals, including Saturday’s Sparta Celtic Festival in northern Kent County, Arcadia Ales’ Riversedge Music Series with The Crane Wives, Last Gasp Collective and The War & Treaty and more in downtown Kalamazoo, where the Bell’s Brewery Beer Garden hosted a rousing show by Here Come the Mummies and Crime Funk earlier in the week. 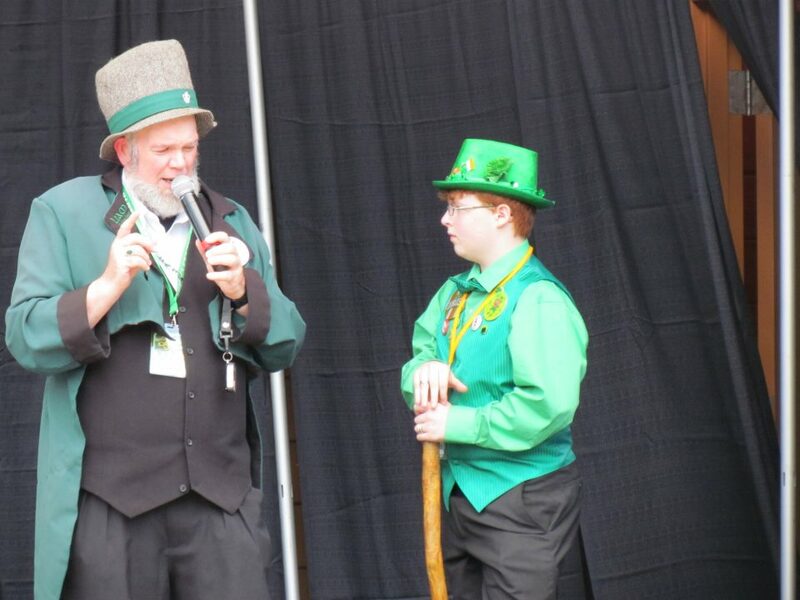 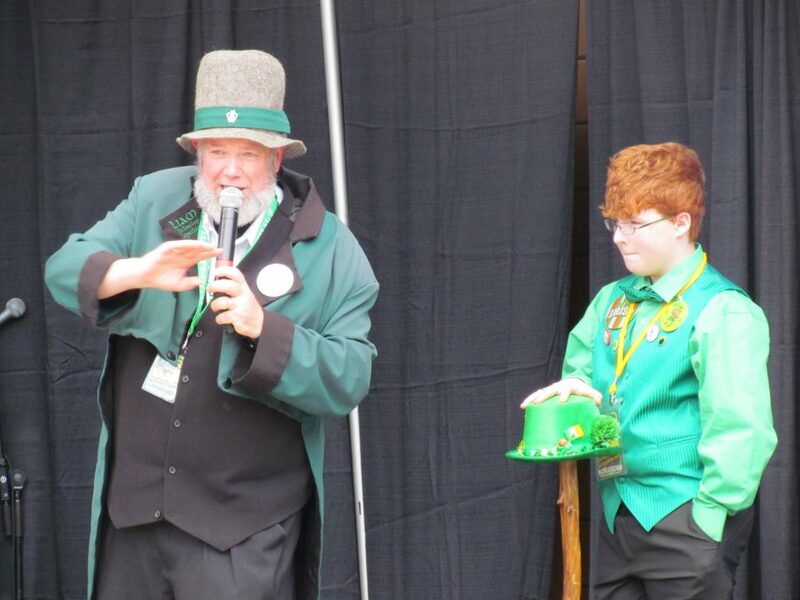 Everyone was Irish at The 2017 Sparta Celtic Festival. 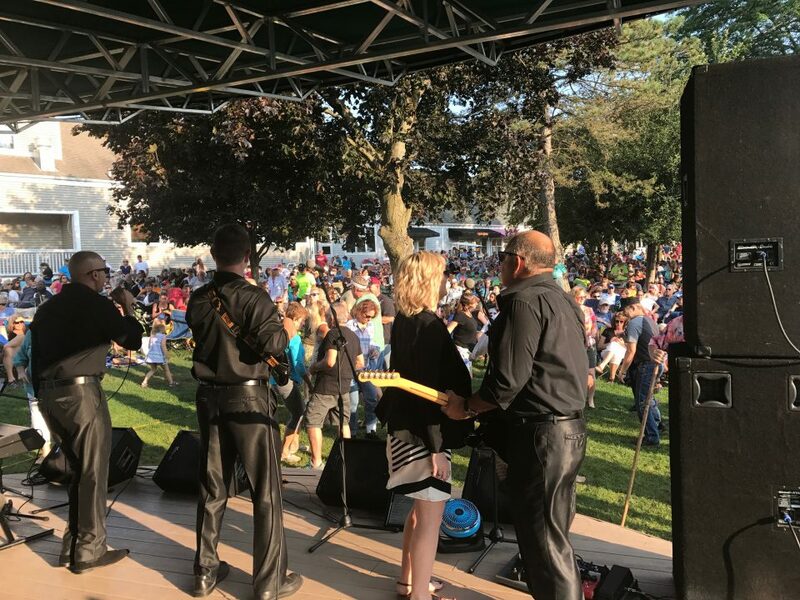 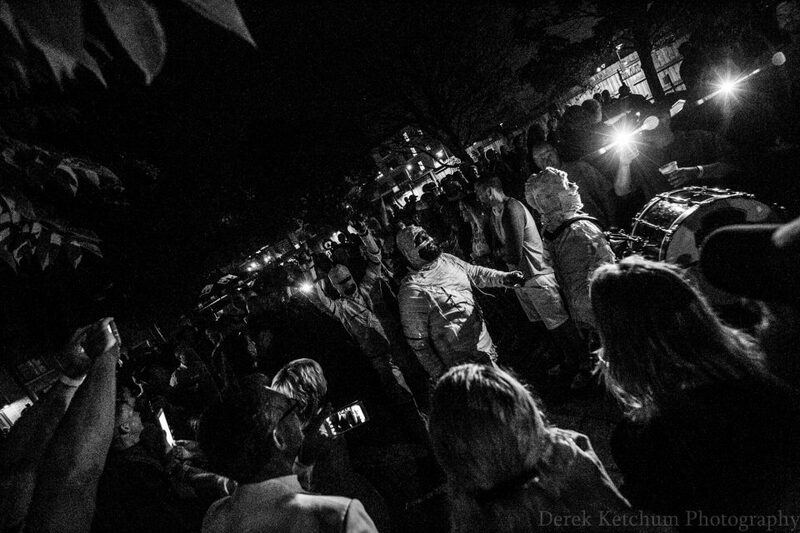 After an opening evening Friday, the event hit its full stride Saturday in Rogers Park in downtown Sparta. 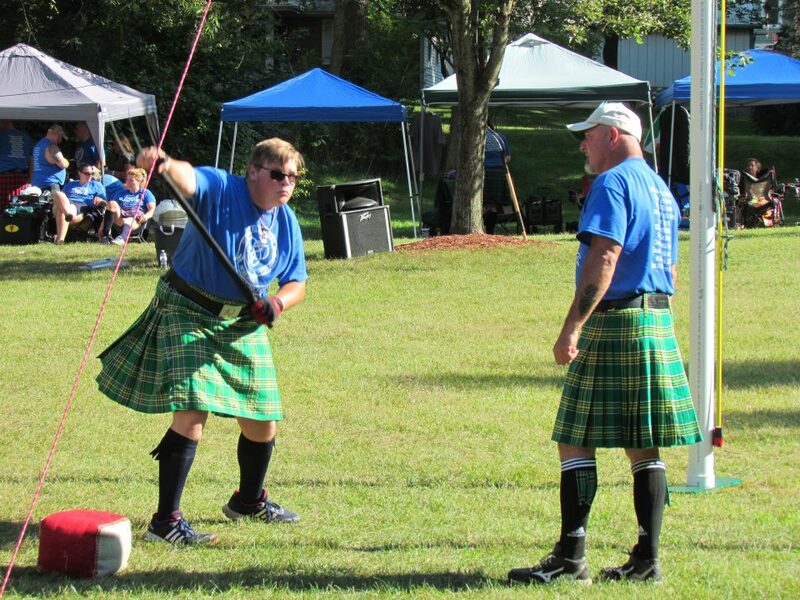 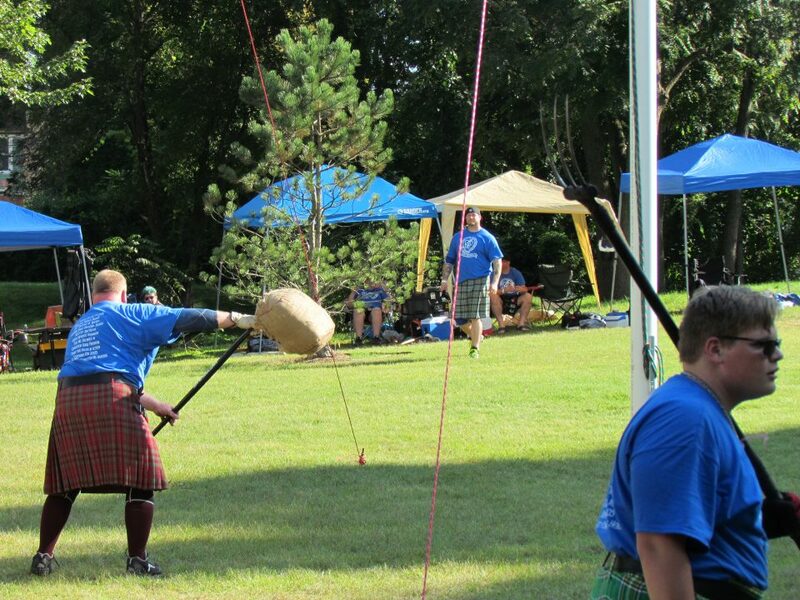 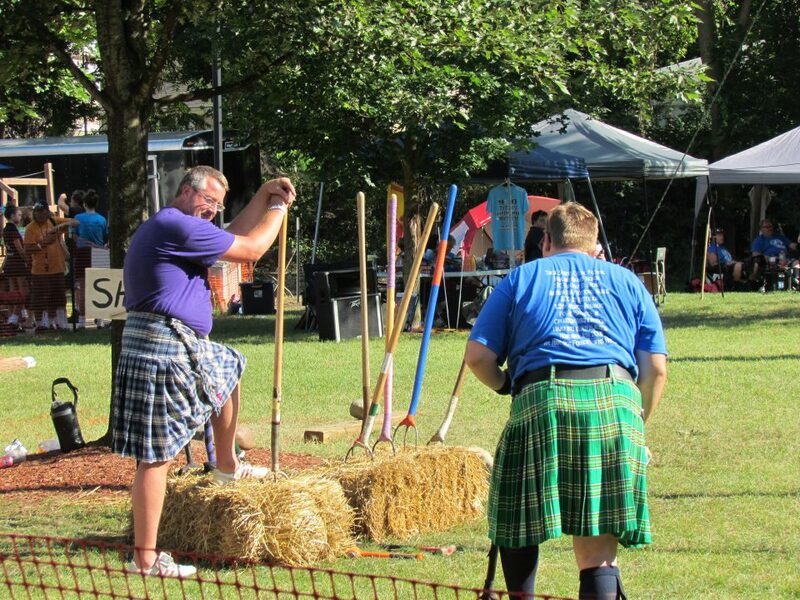 With the sun high over the festivities, visitors were treated to an impressive array of booths and activities – from local artists and vendors to a kids’ activity area, as well as an area where practiced competitors compete in a variety of authentic Highland Games of strength and skill. 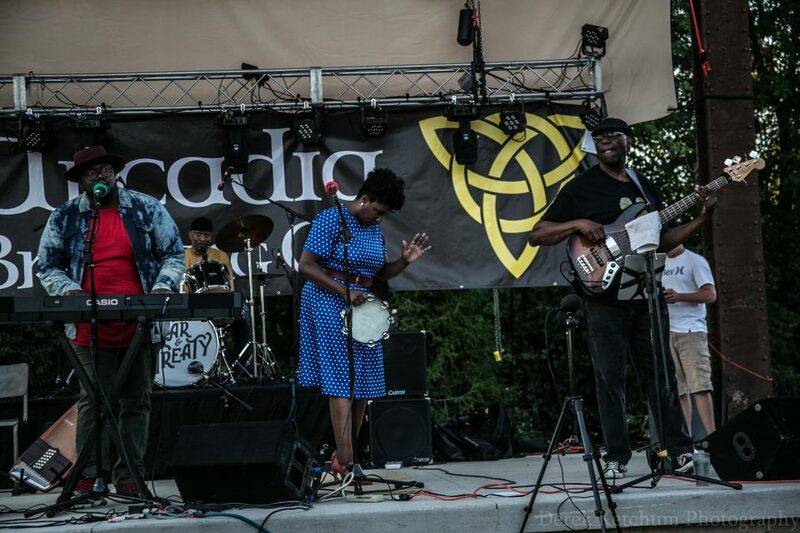 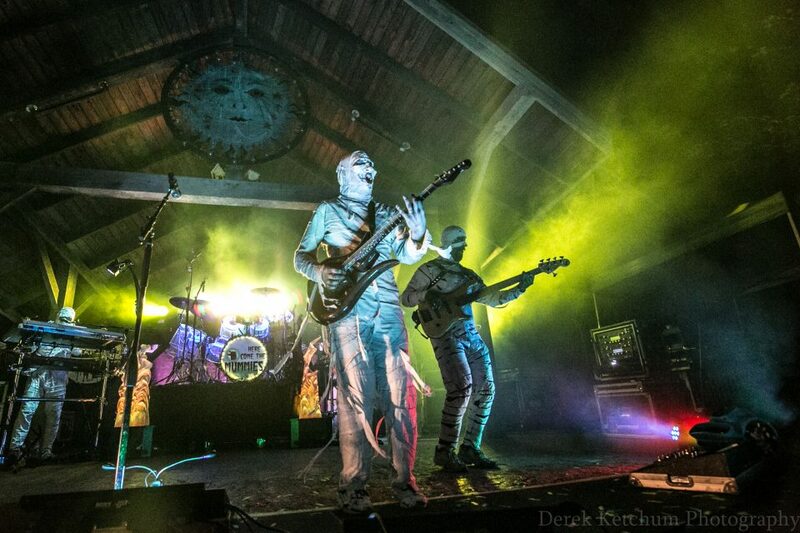 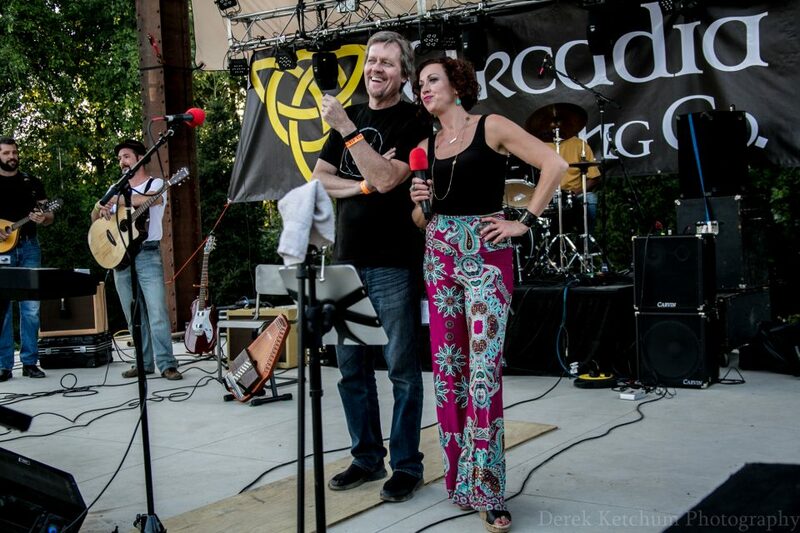 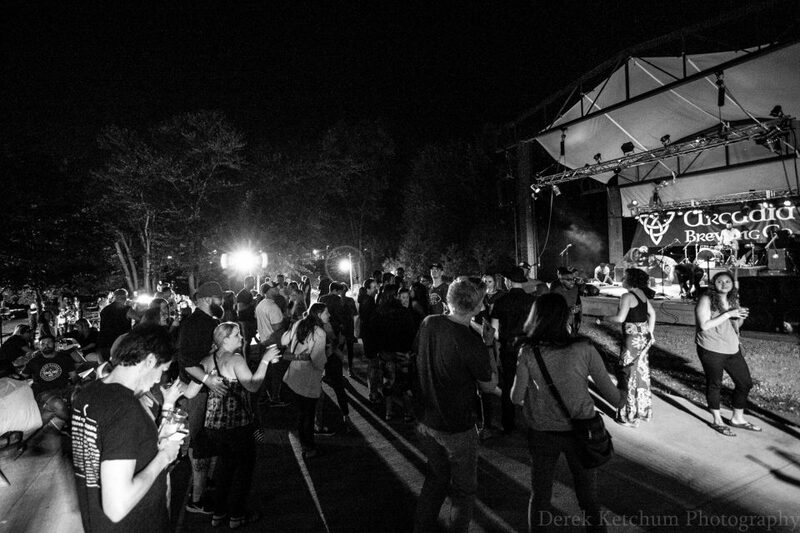 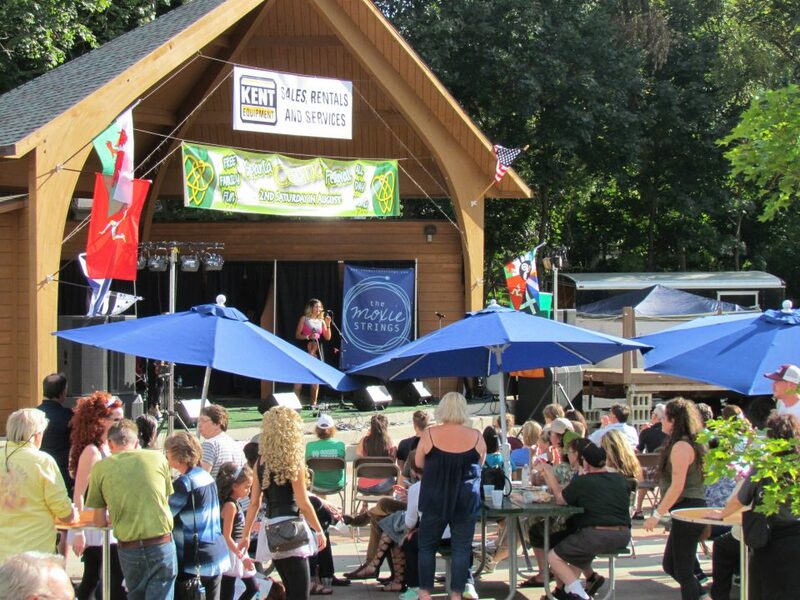 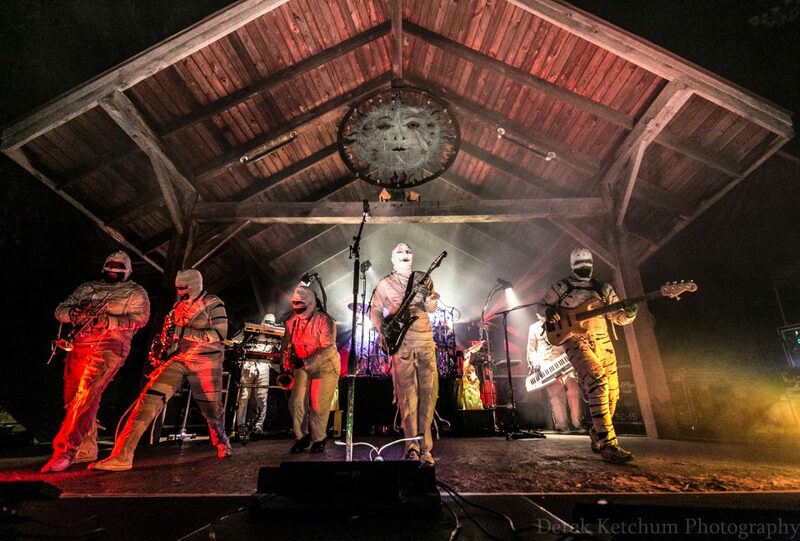 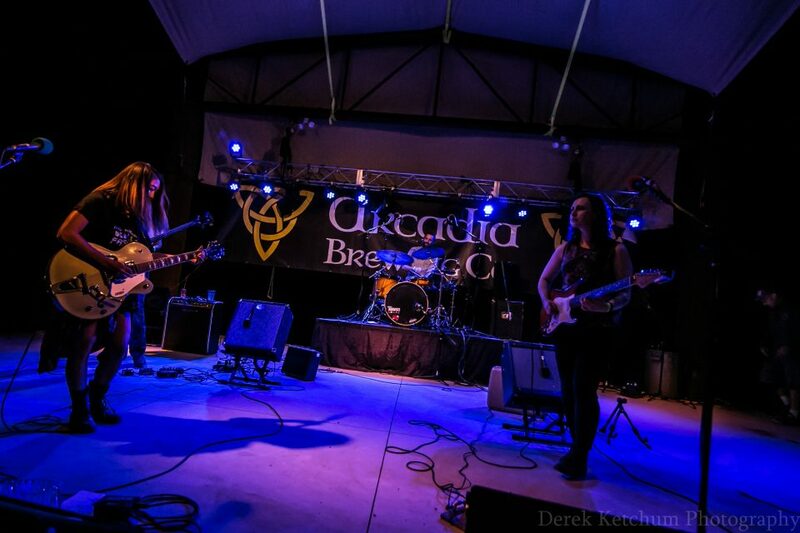 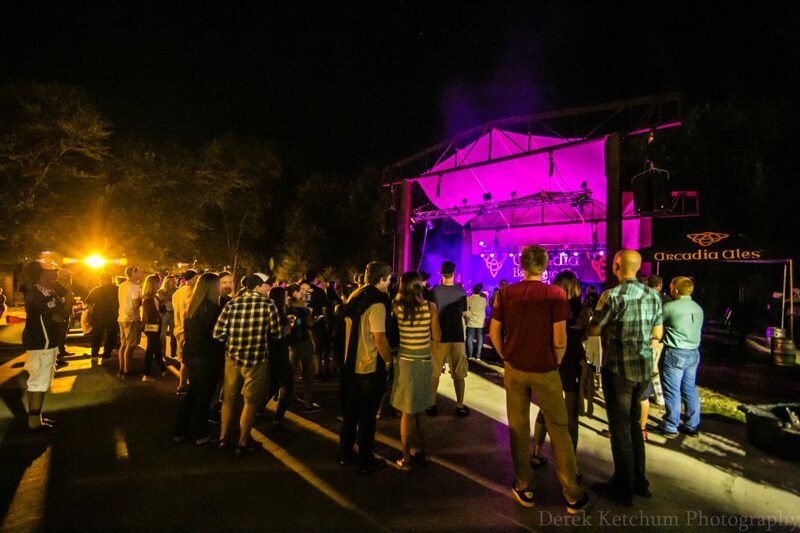 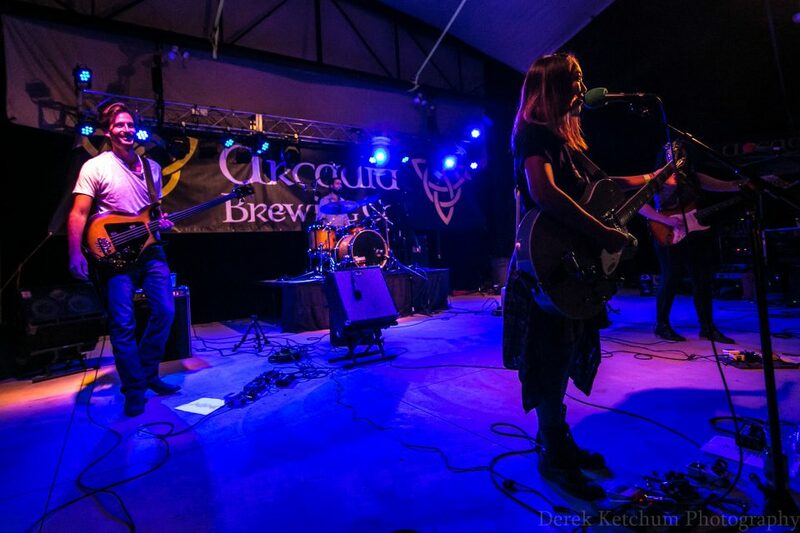 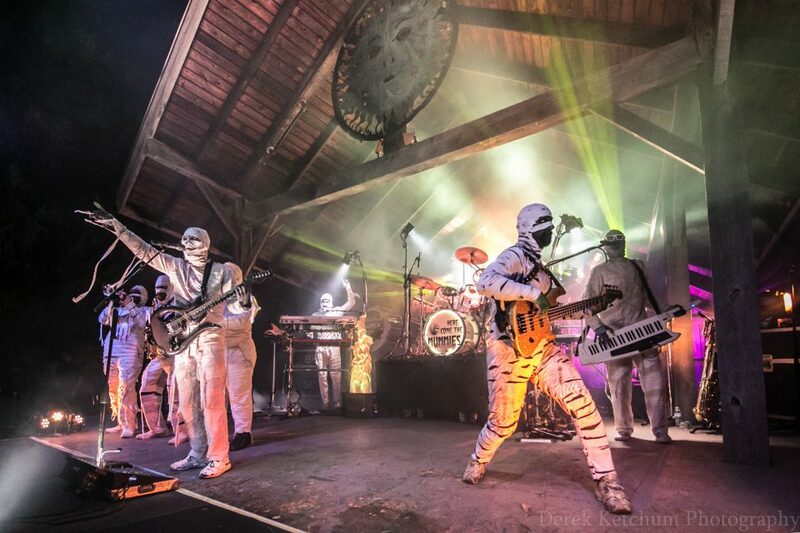 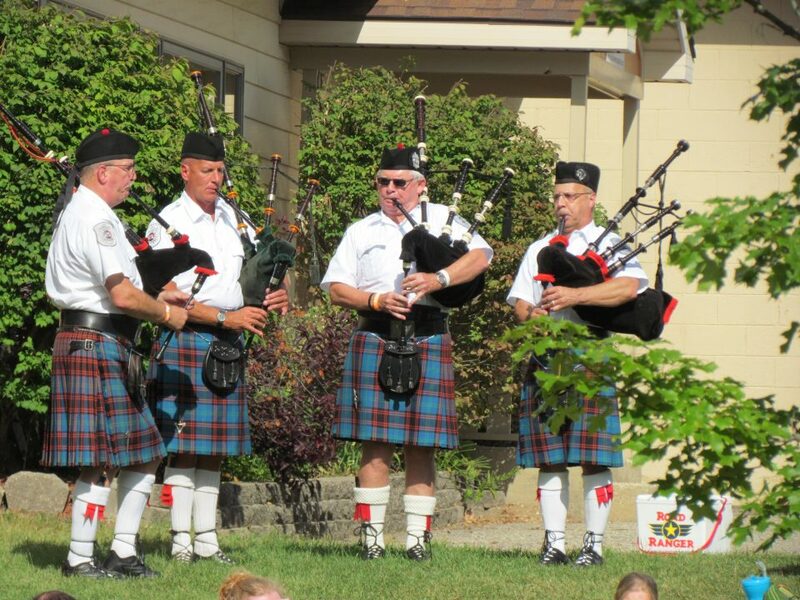 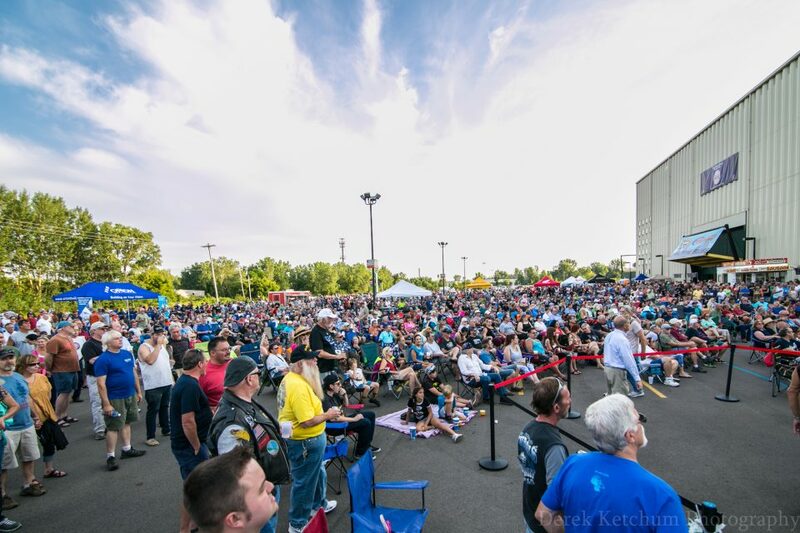 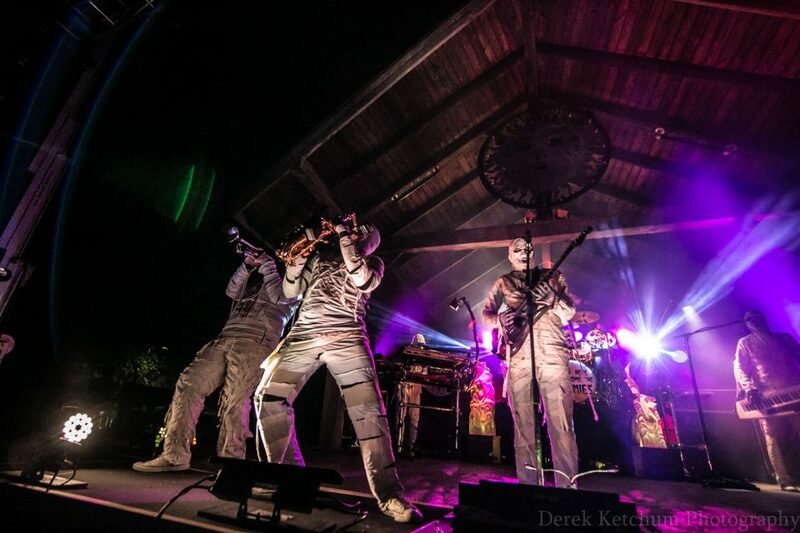 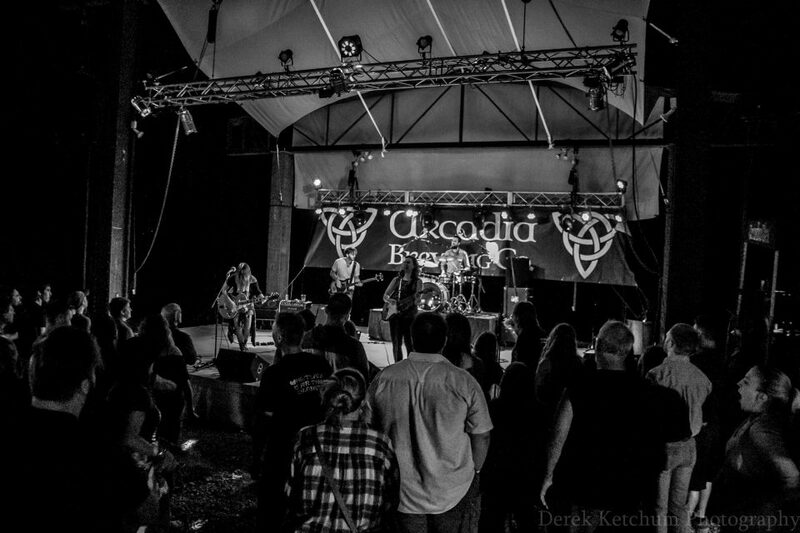 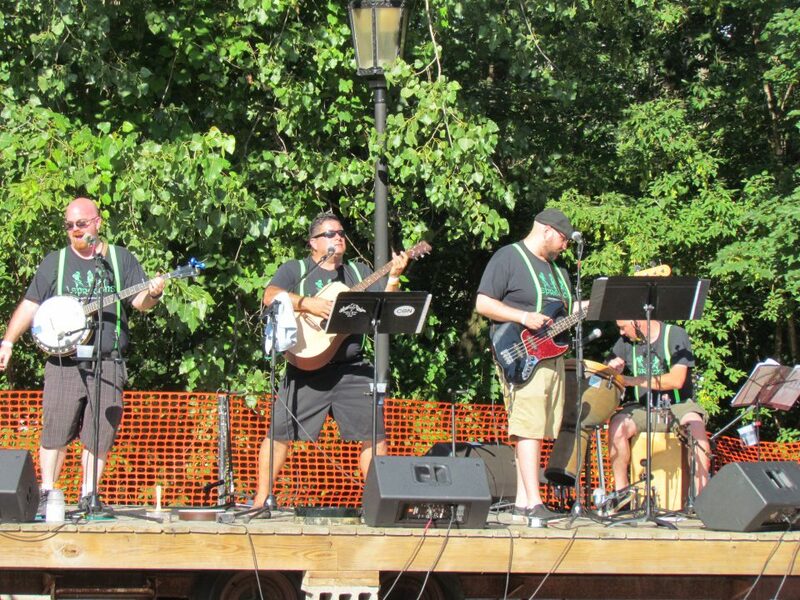 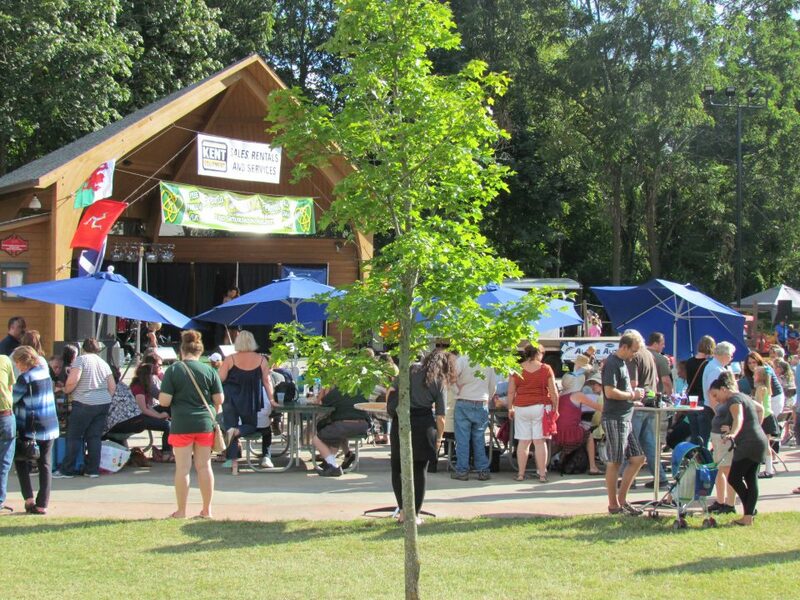 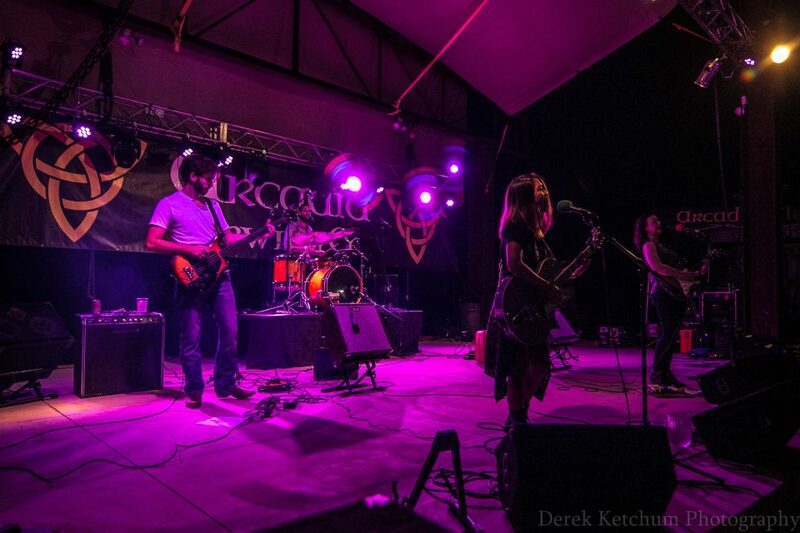 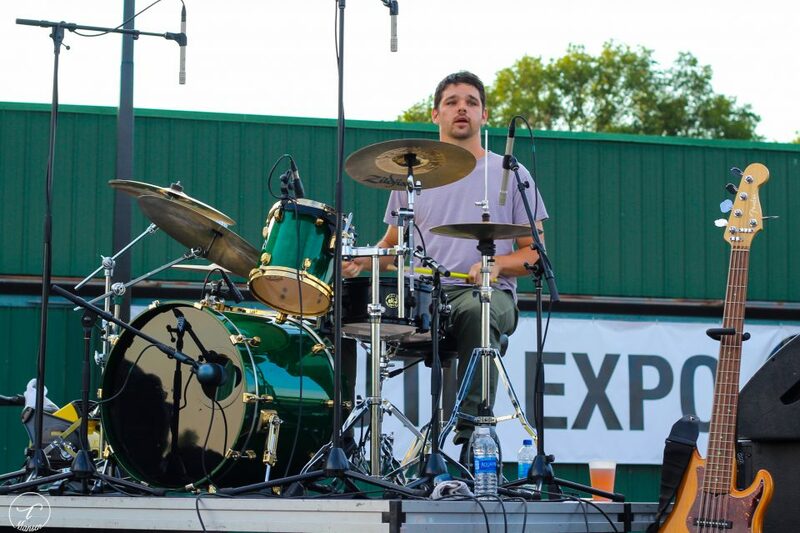 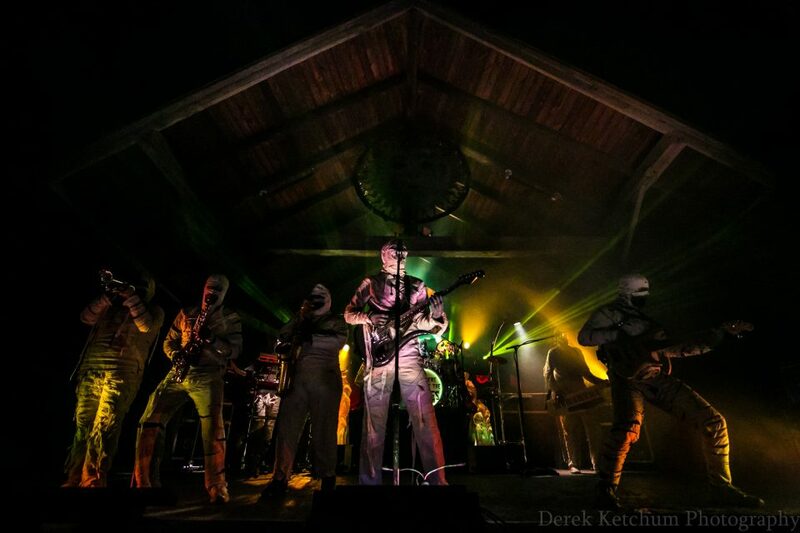 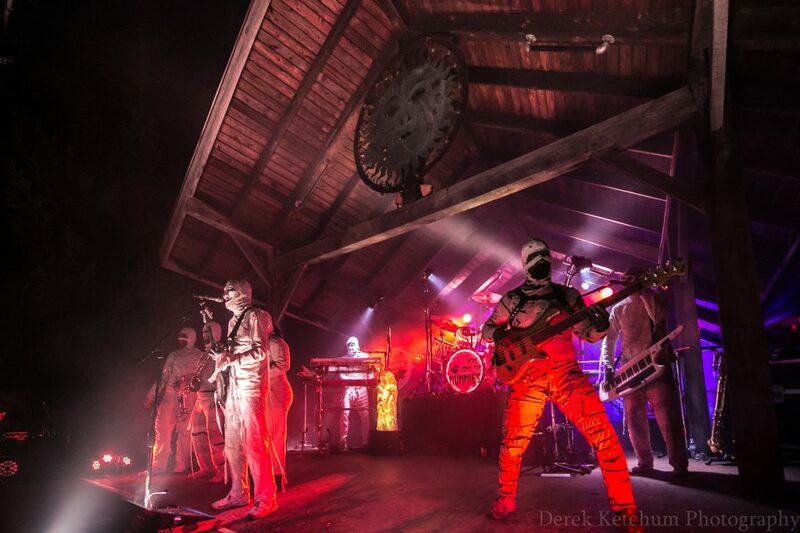 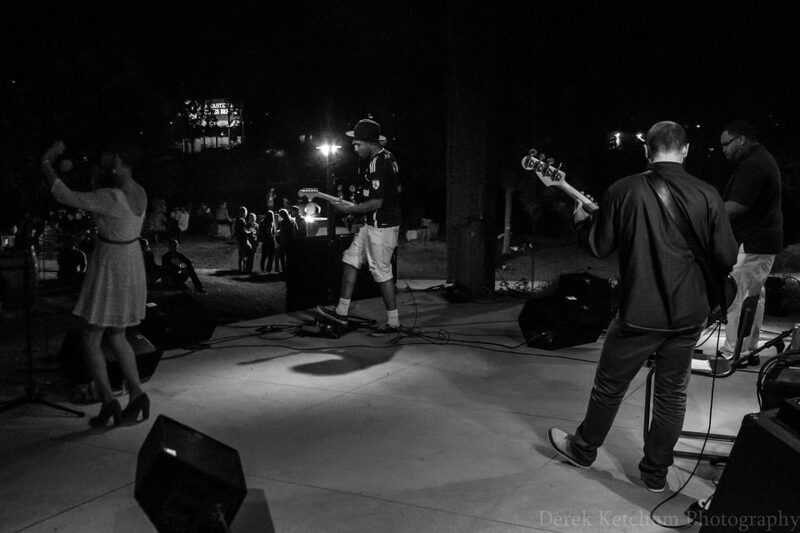 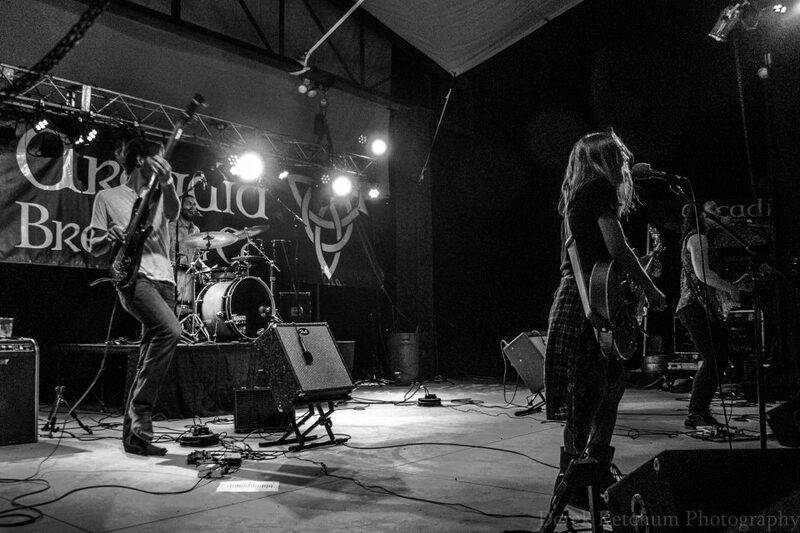 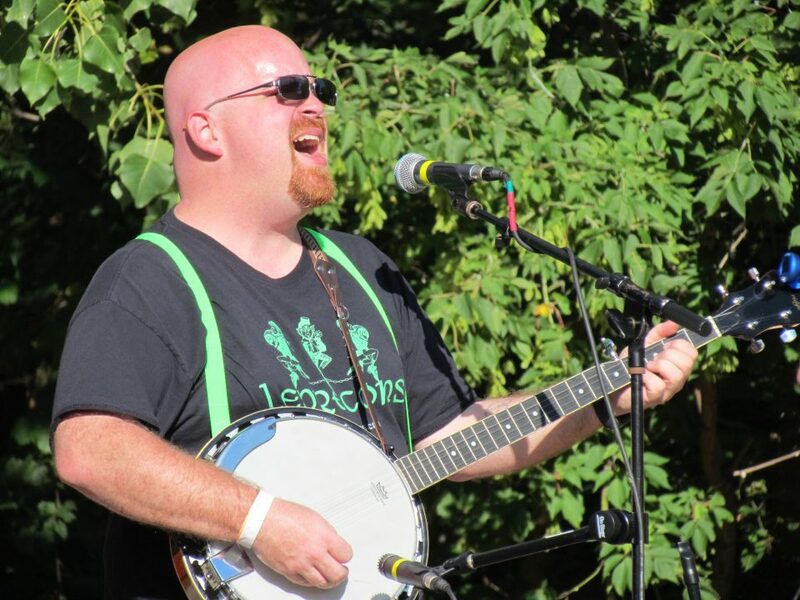 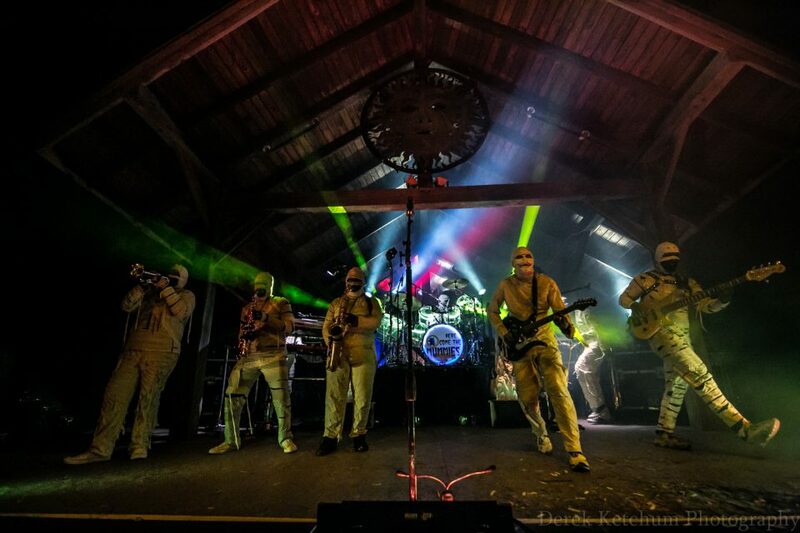 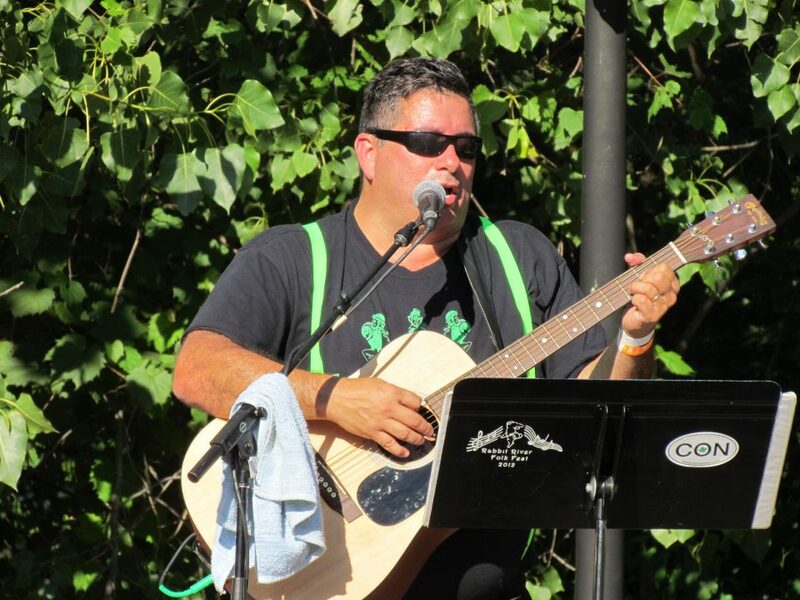 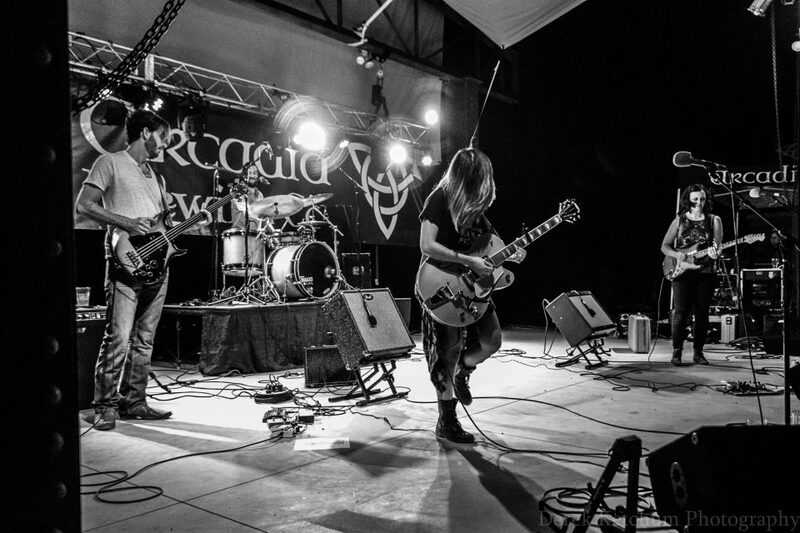 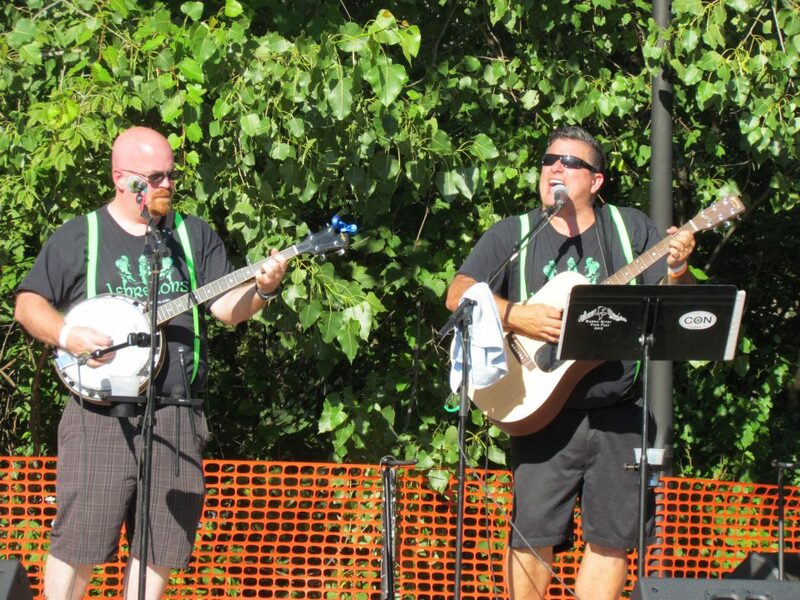 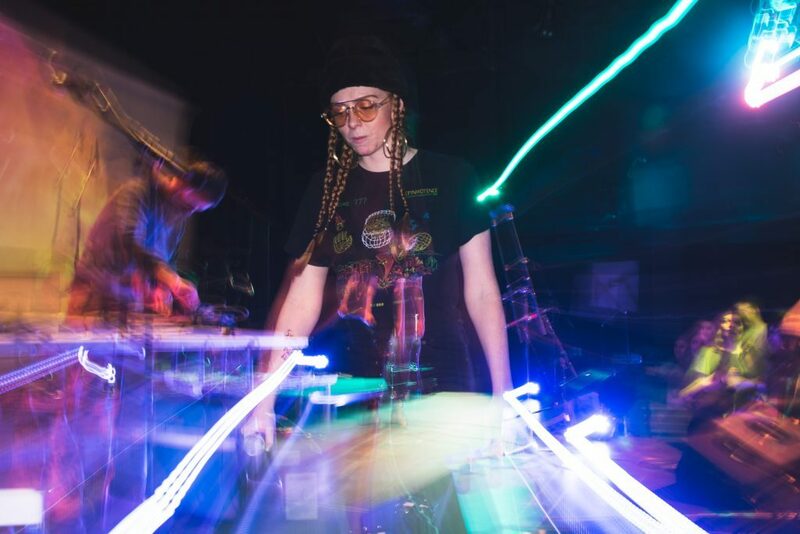 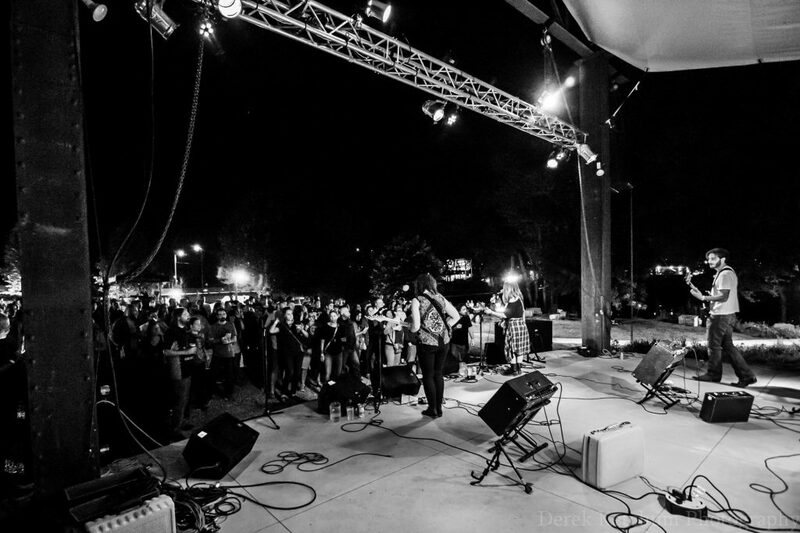 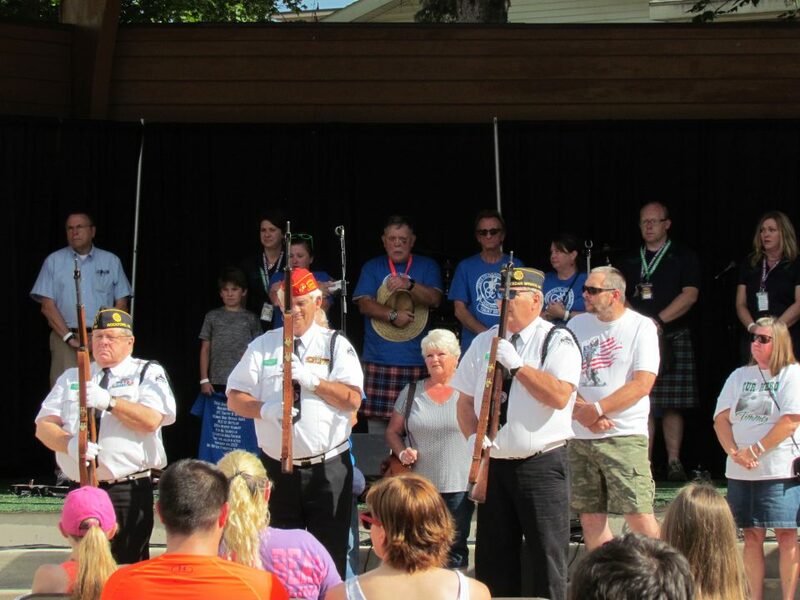 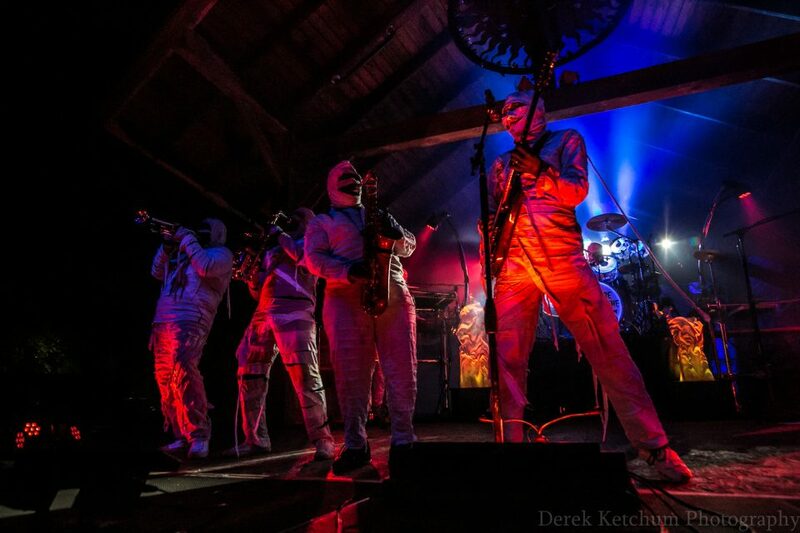 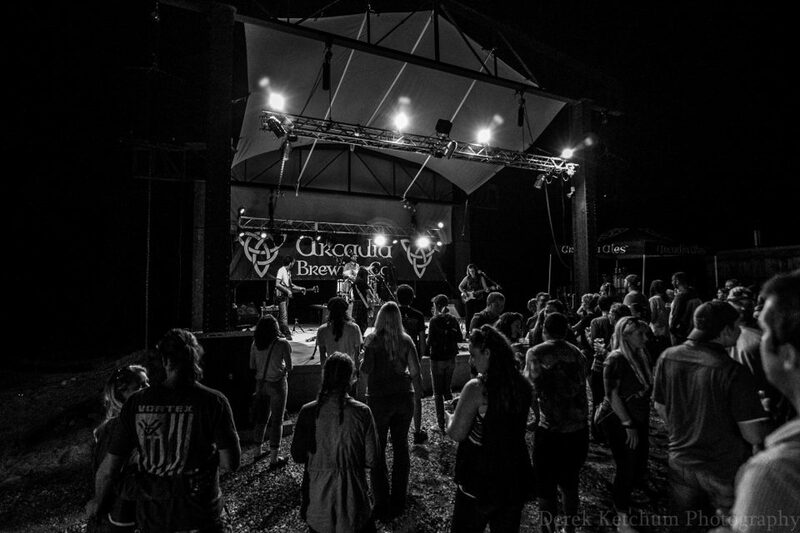 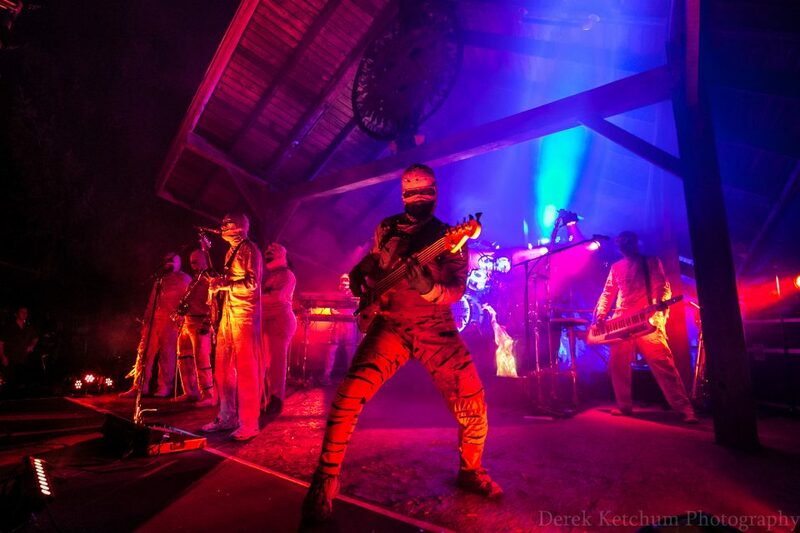 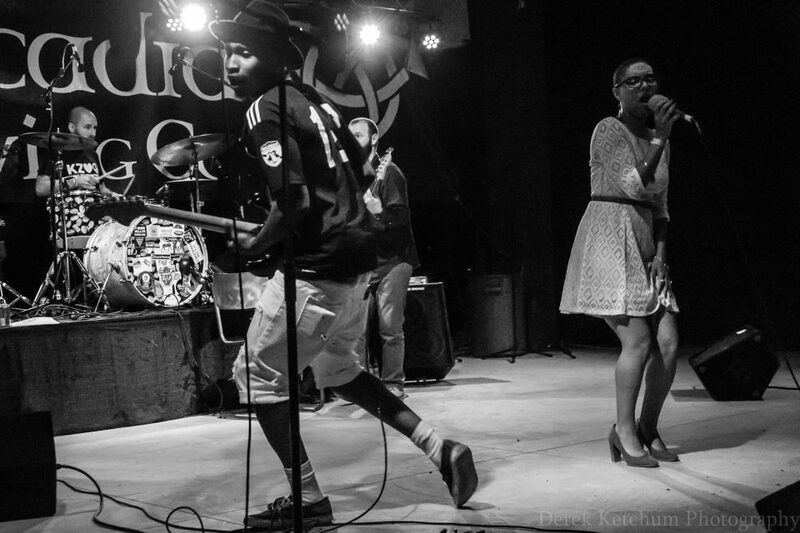 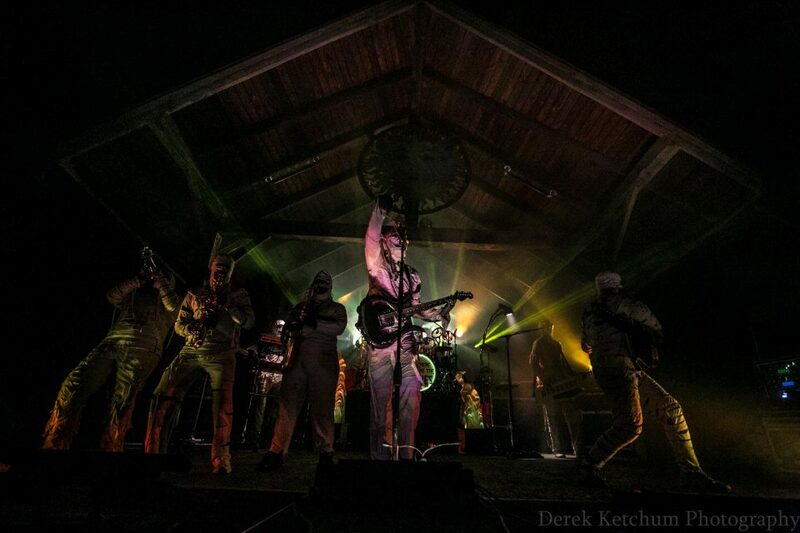 To top it all off, several stages featured local musicians and bands – all known for their Celtic flair – which entertained the massive crowd, appropriately clad in plenty of green clothing and, in many cases, kilts. 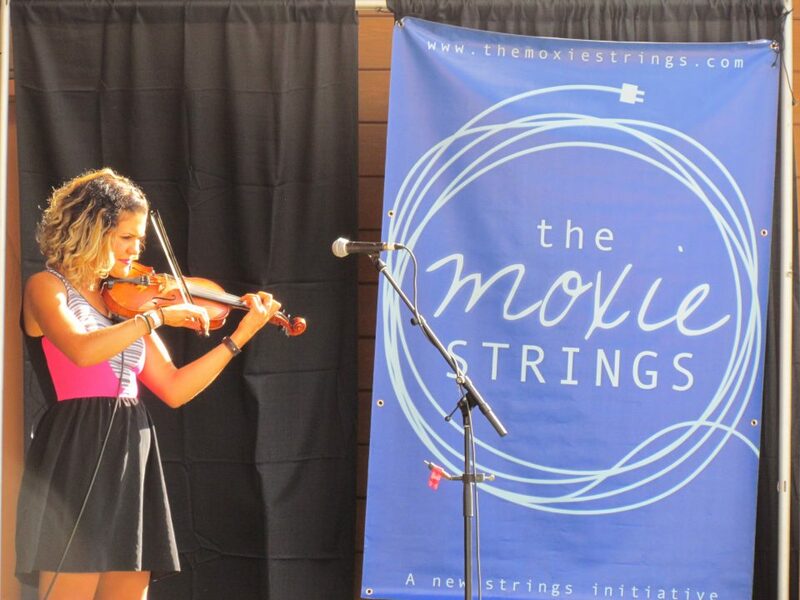 Michigan instrumental powerhouse The Moxie Strings brought the crowd to its feet at the main event stage. 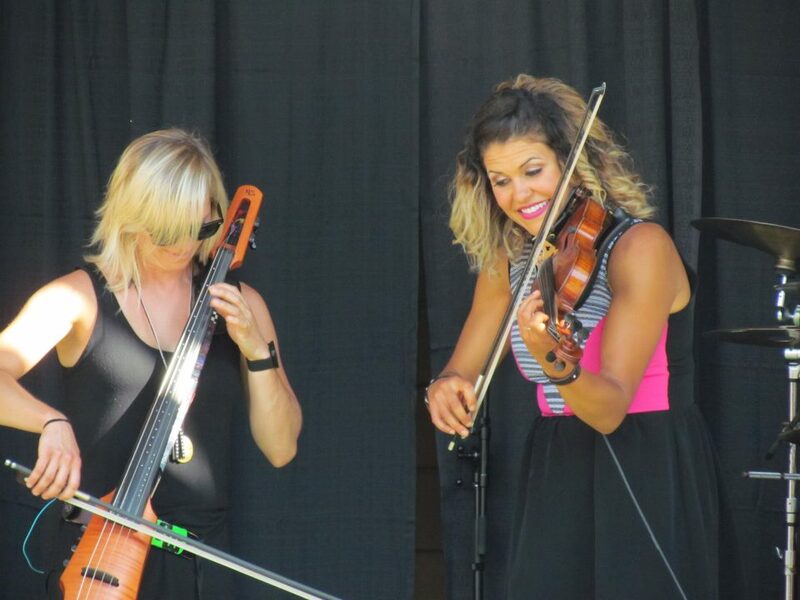 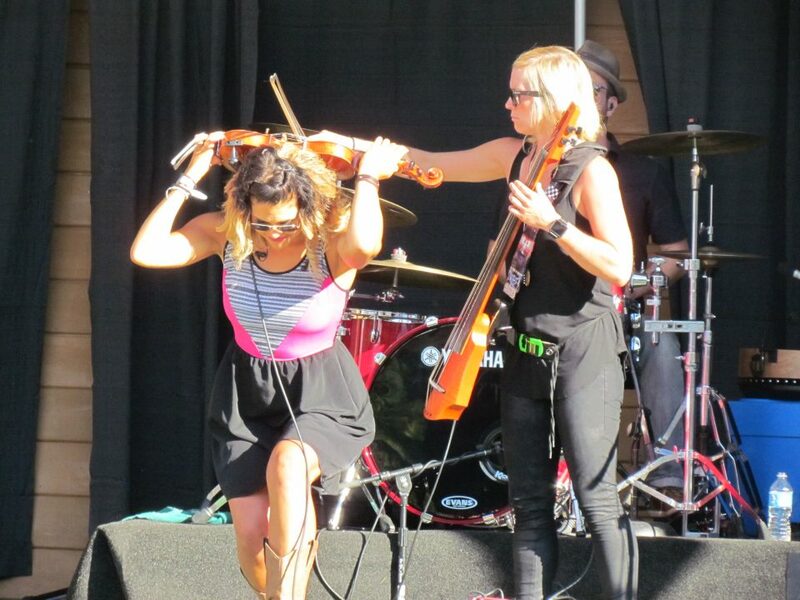 Diana Ladio’s violin work, along with equal parts of performance magic from cellist Alison Lynn and drummer Fritz McGirr, had the crowd clapping along with the song from the first song on. 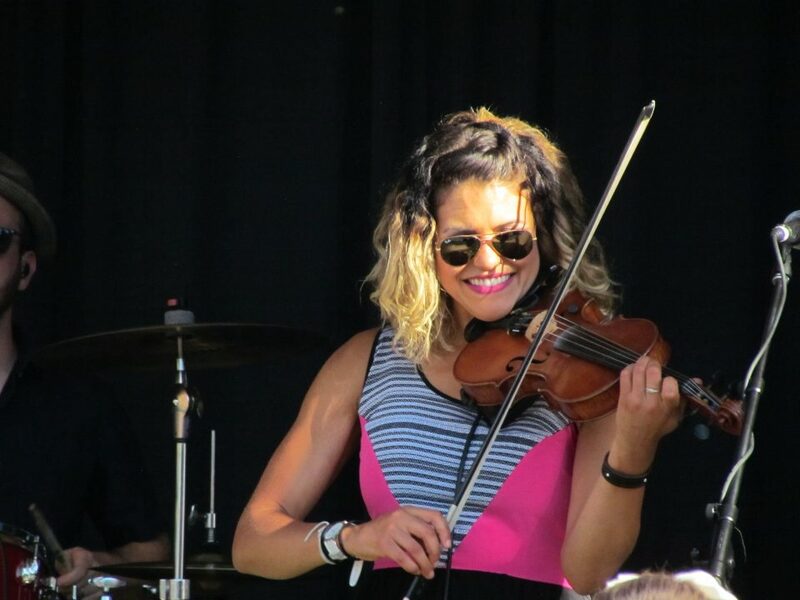 From perfecting blazing fast tunes so fast, it was hard to even keep up with the song tempo, to a beautiful, slow waltz that had dozens of audience members heading up to the stage to dance, the massive crowd loved every note of this fitting tribute to Celtic heritage. 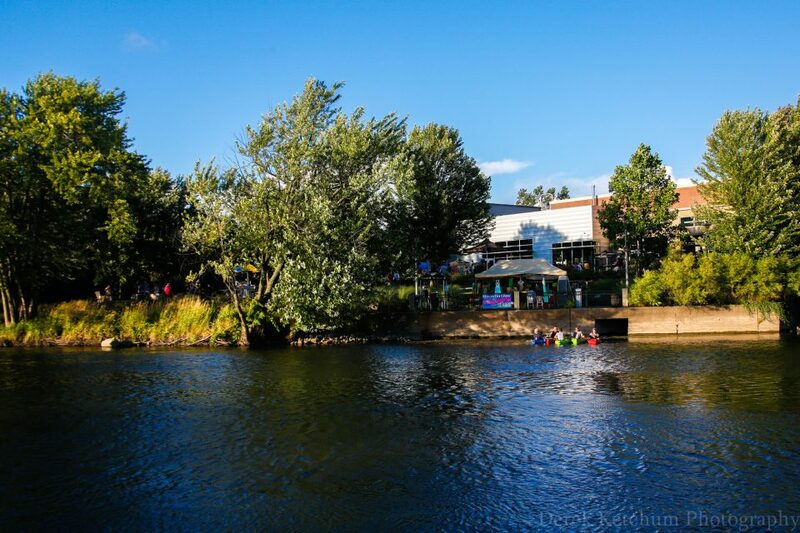 With the sun beaming down on the river in downtown Kalamazoo, the third installation of Arcadia Ales’ Riversedge Summer Music Series drew its biggest crowd yet, boasting heartfelt, heart-pumping performances by The War & Treaty, Last Gasp Collective and The Crane Wives – with the Grand Rapids folk-rock band finishing off the night with a real fan-pleasing flourish.